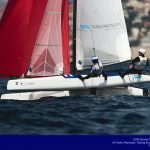 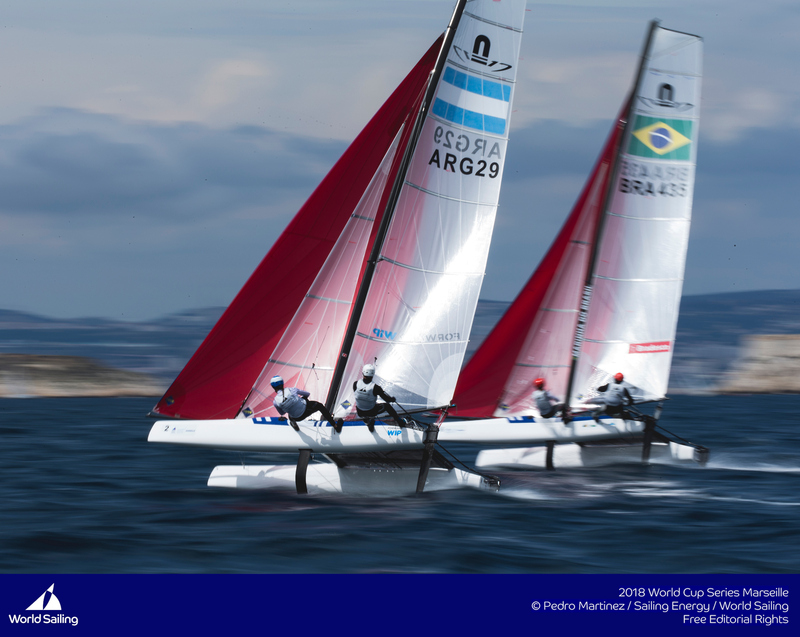 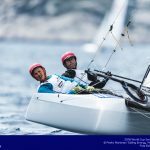 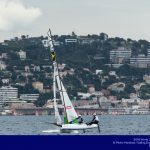 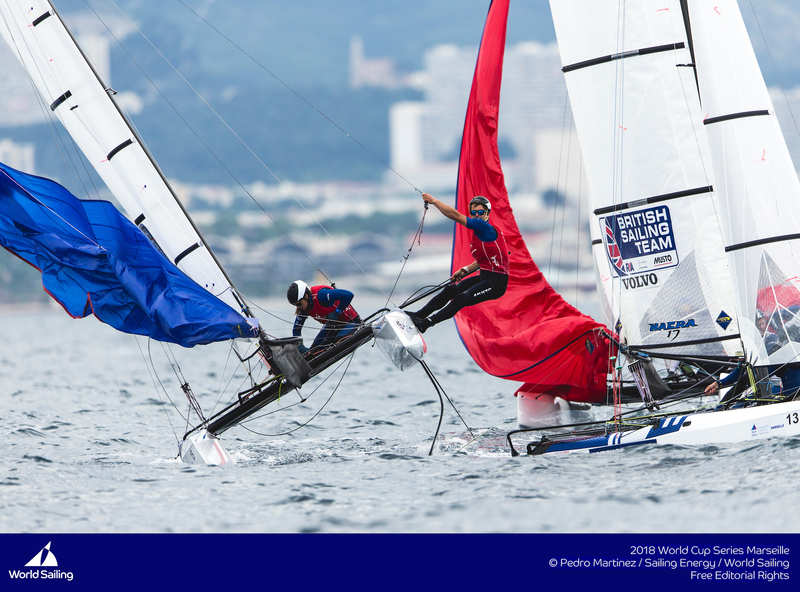 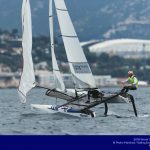 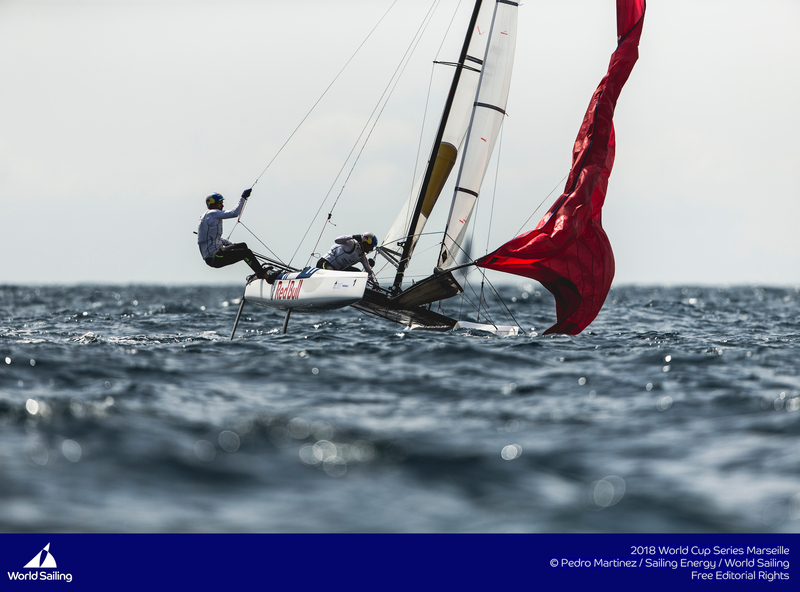 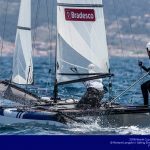 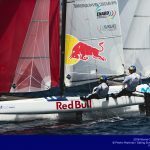 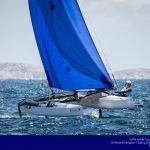 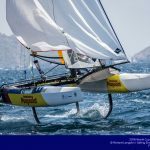 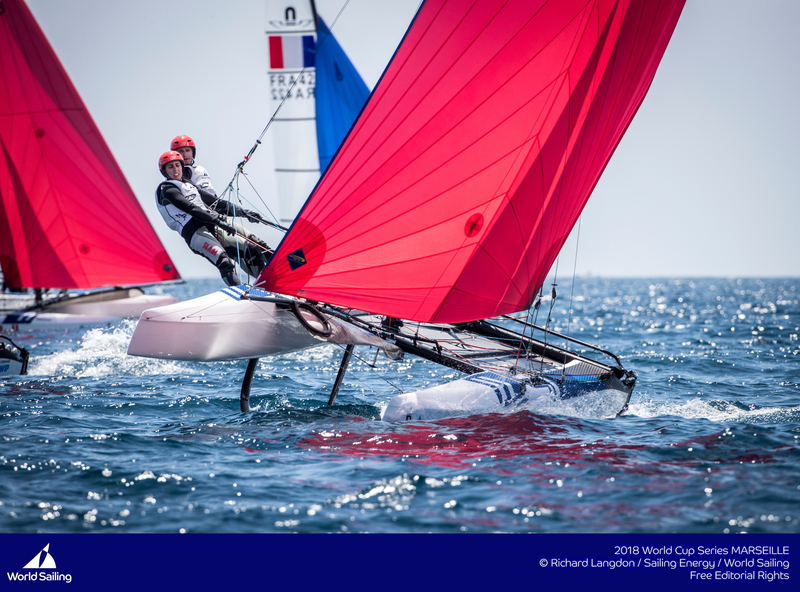 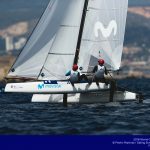 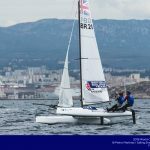 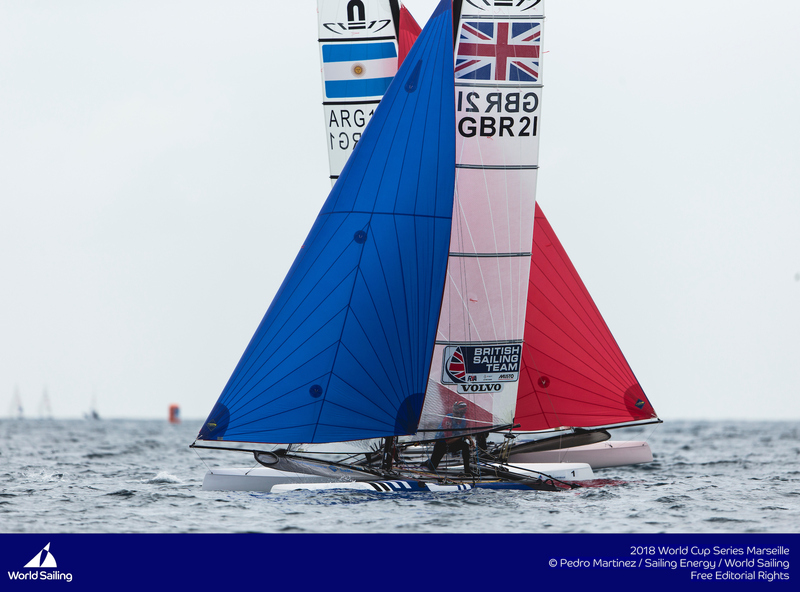 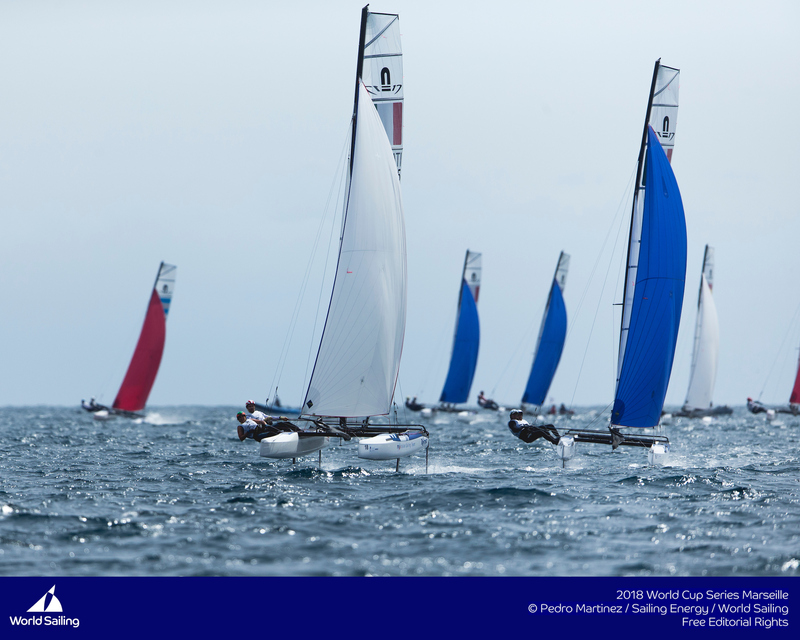 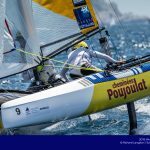 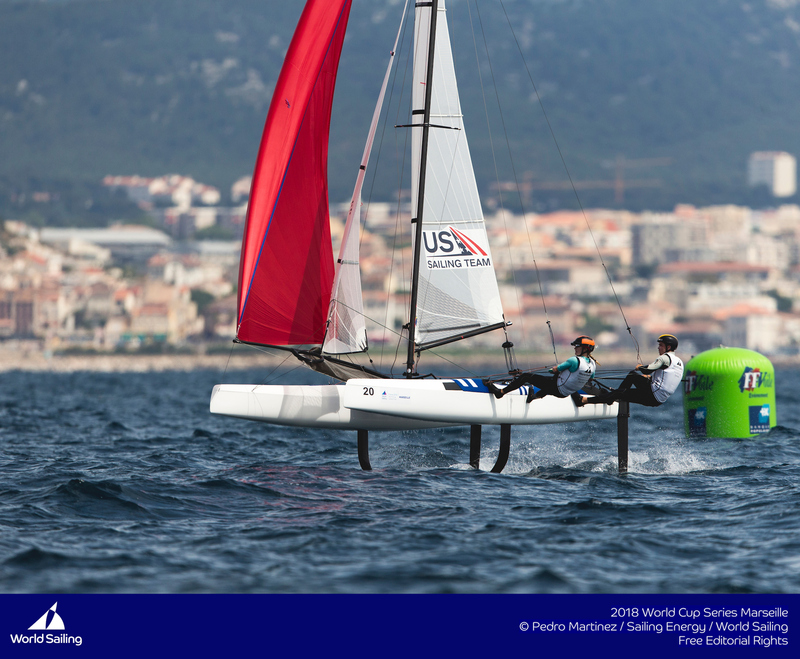 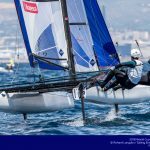 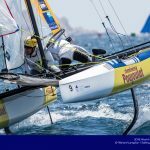 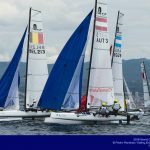 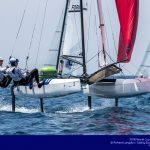 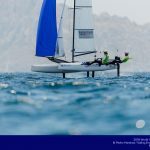 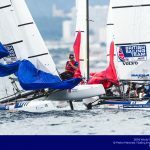 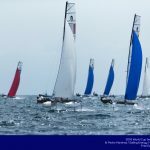 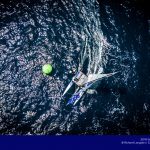 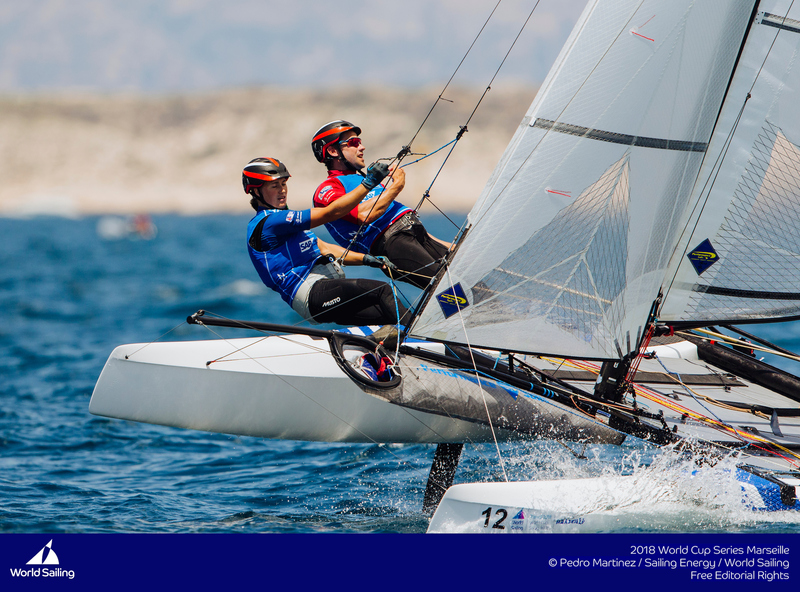 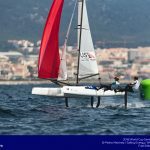 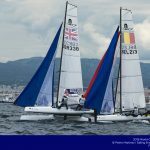 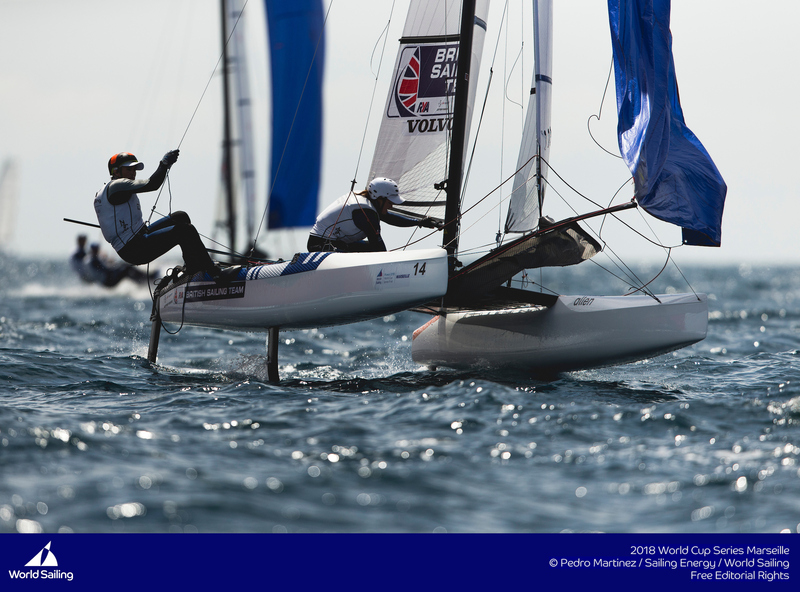 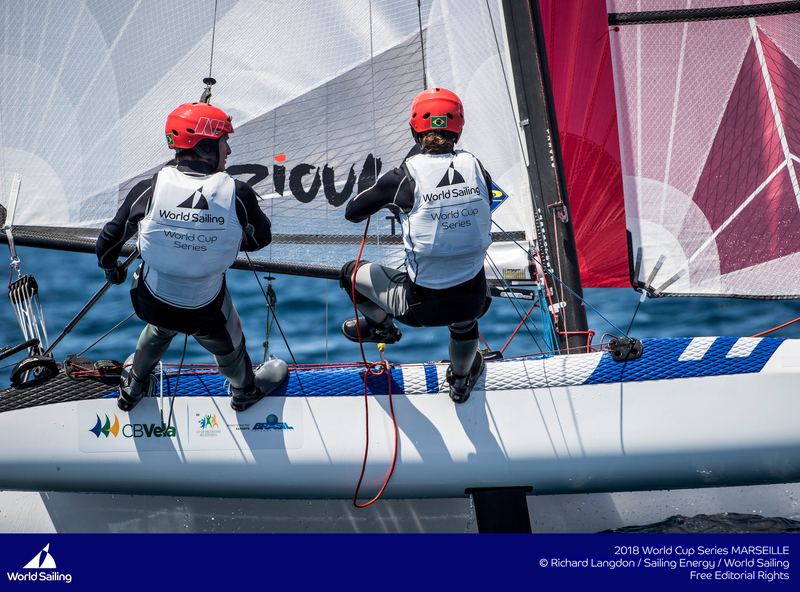 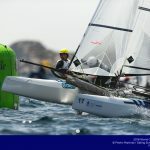 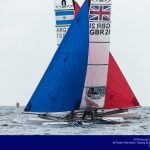 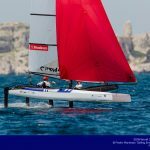 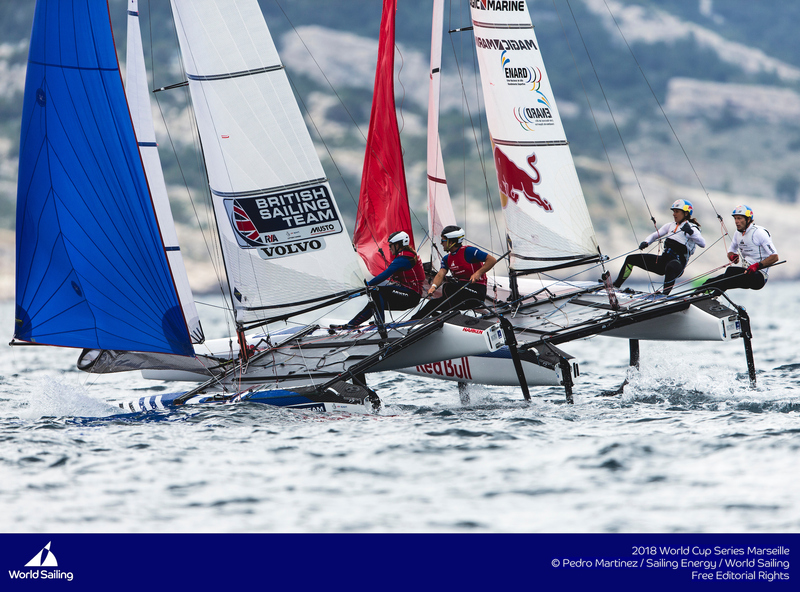 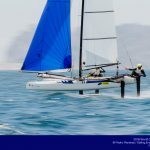 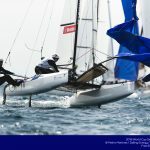 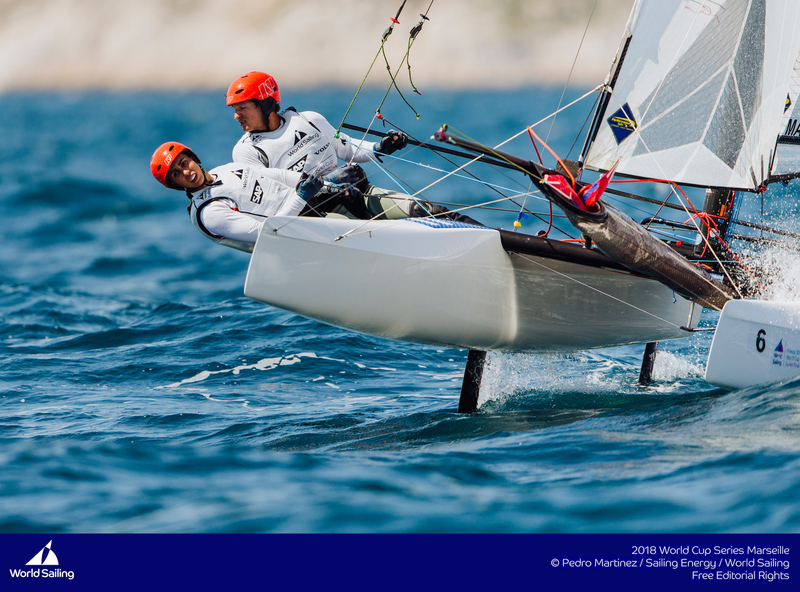 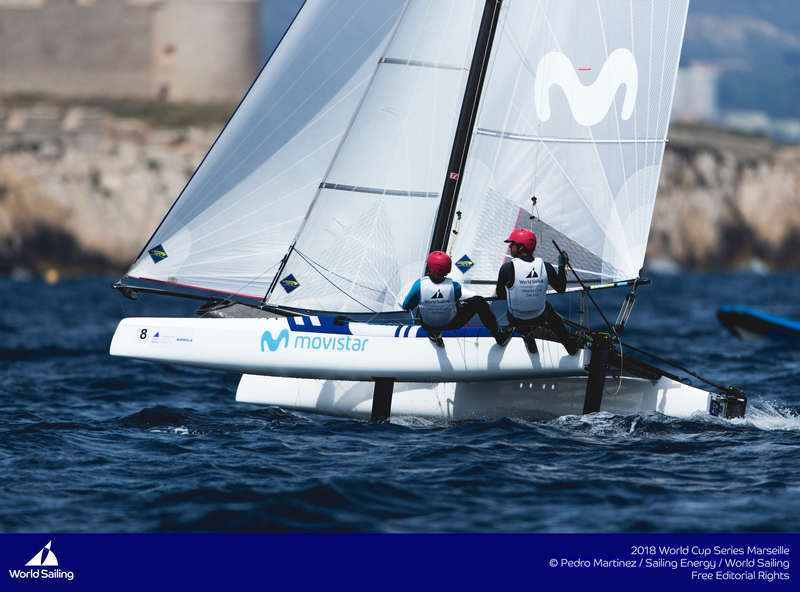 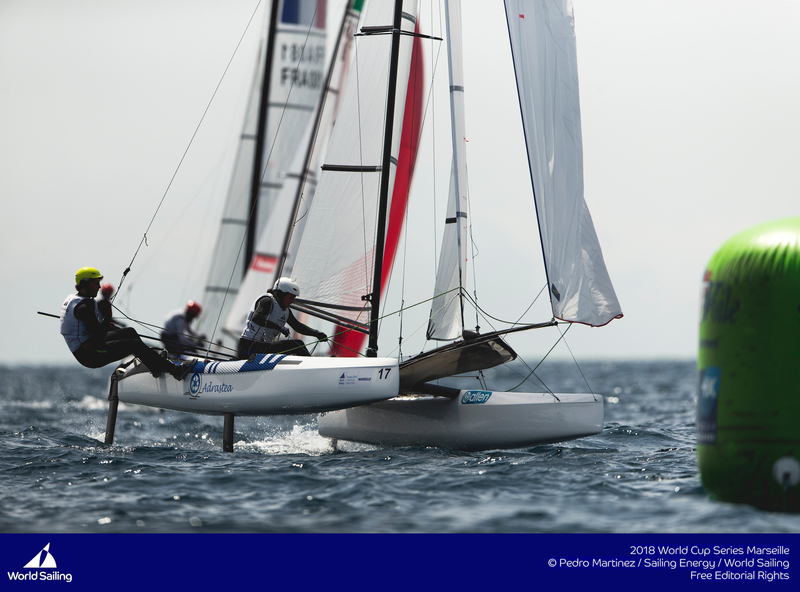 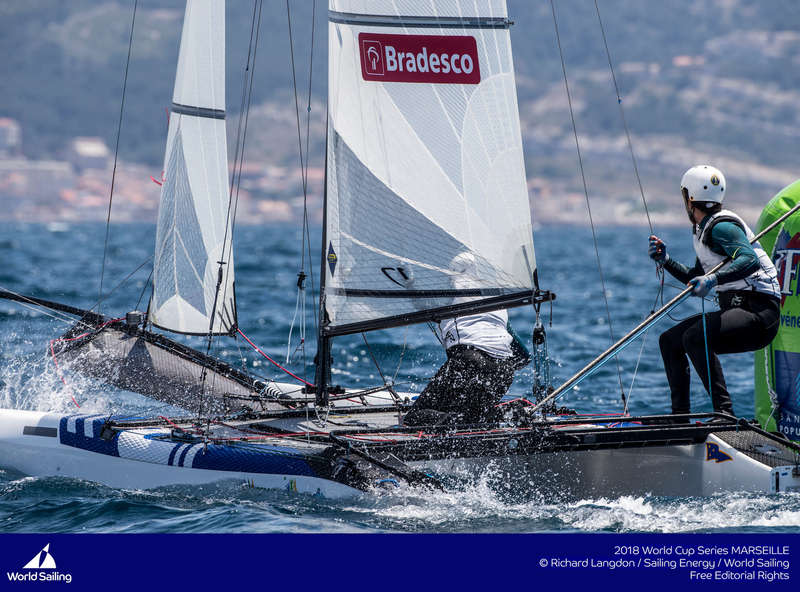 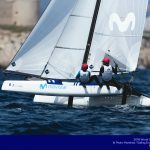 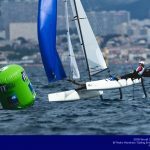 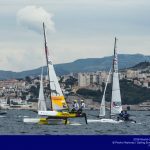 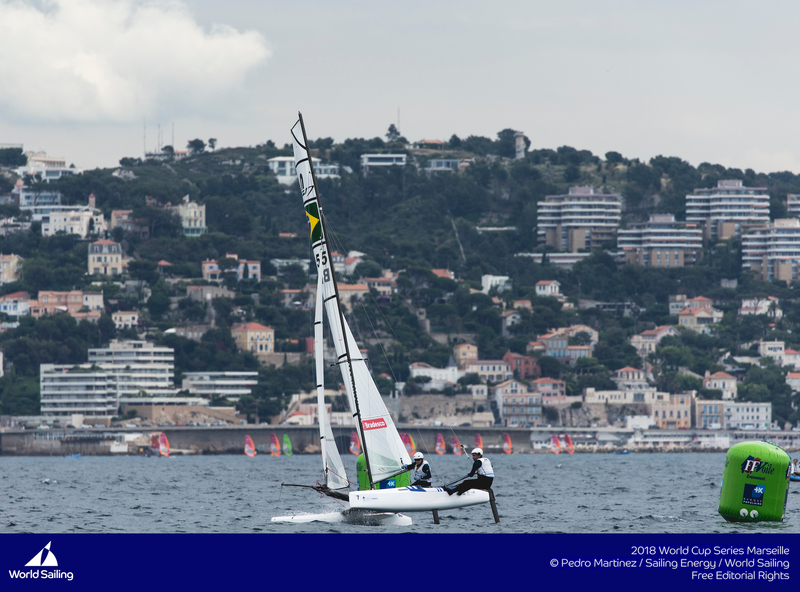 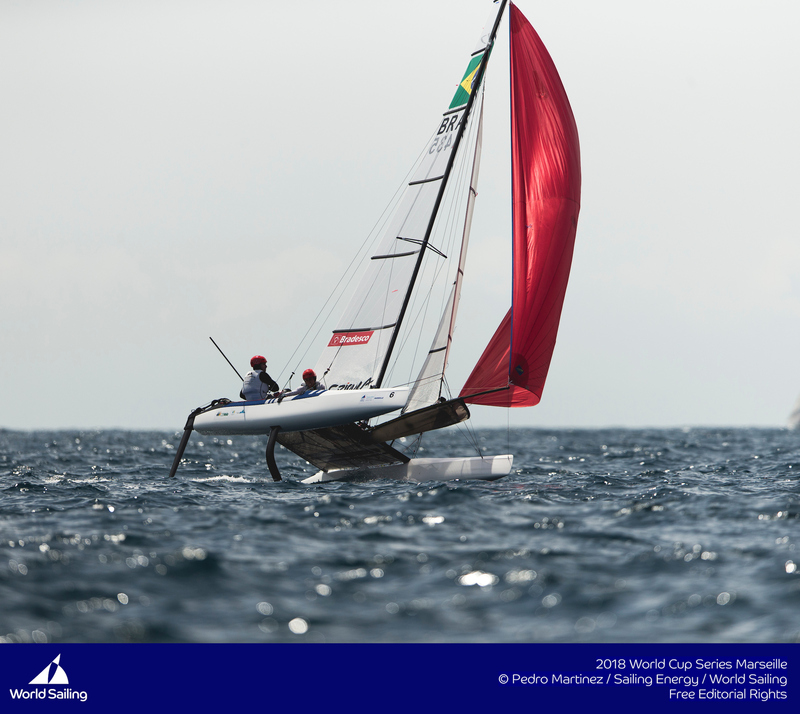 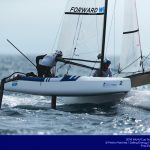 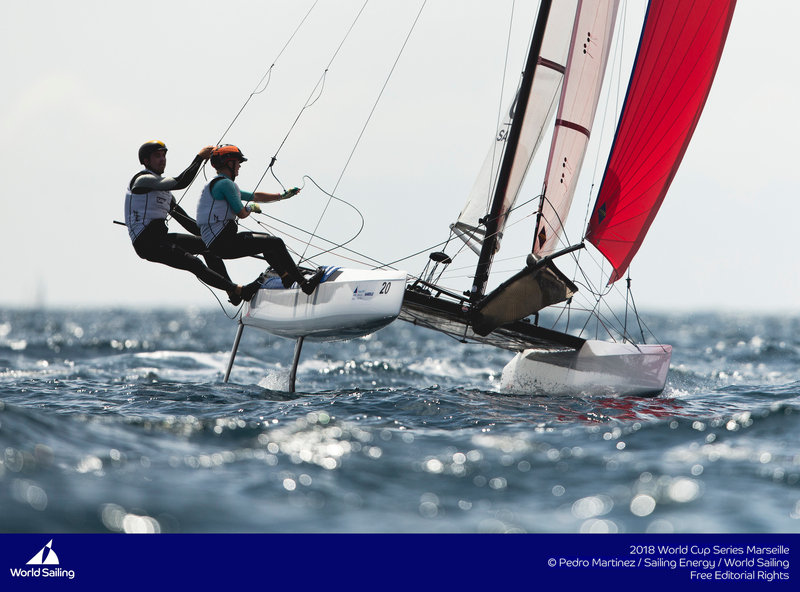 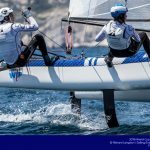 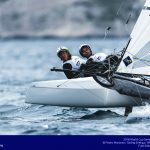 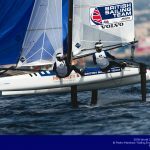 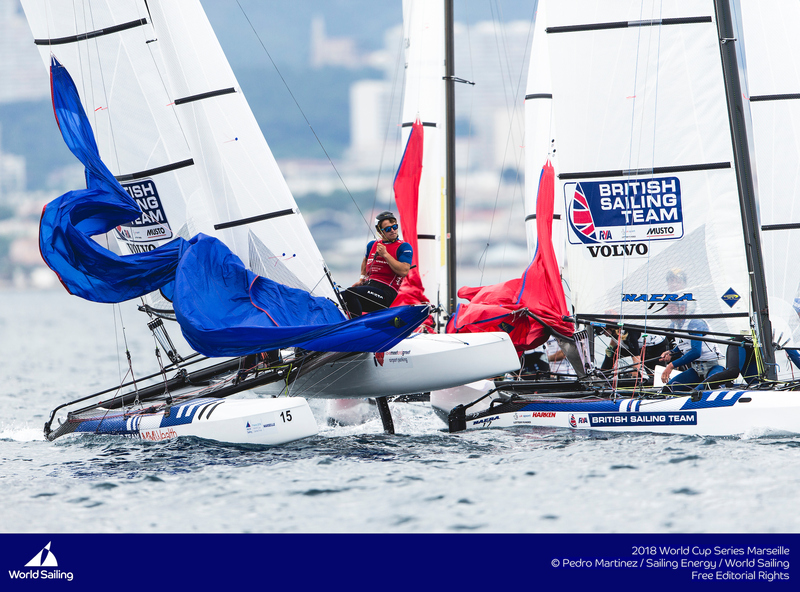 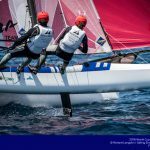 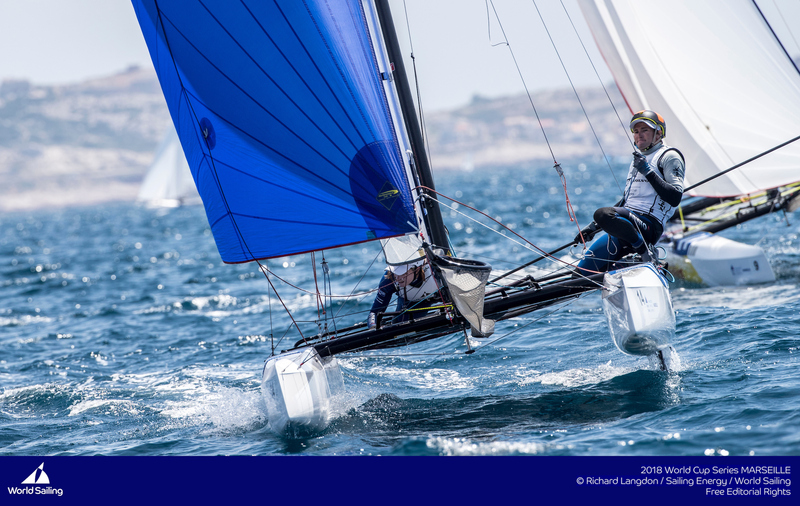 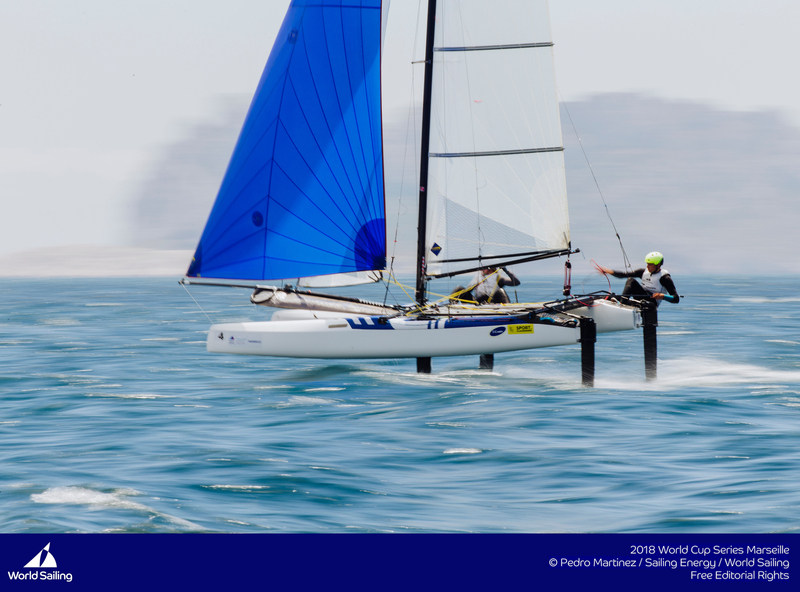 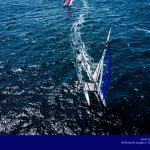 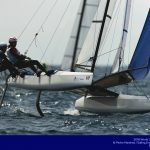 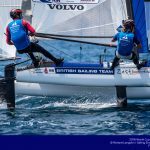 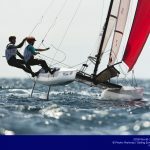 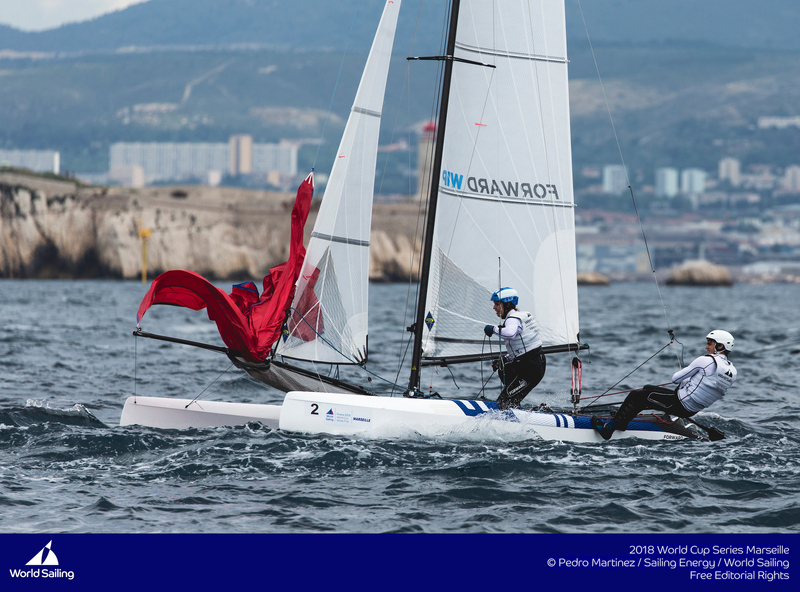 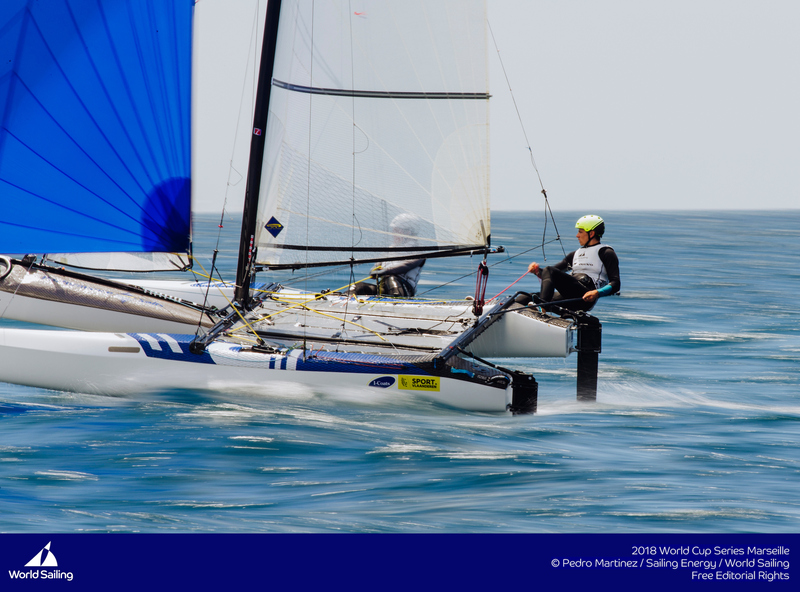 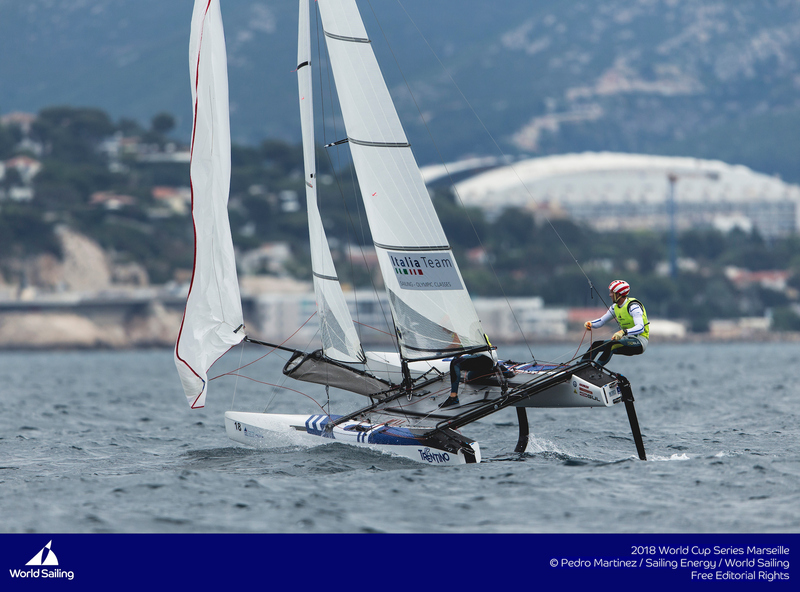 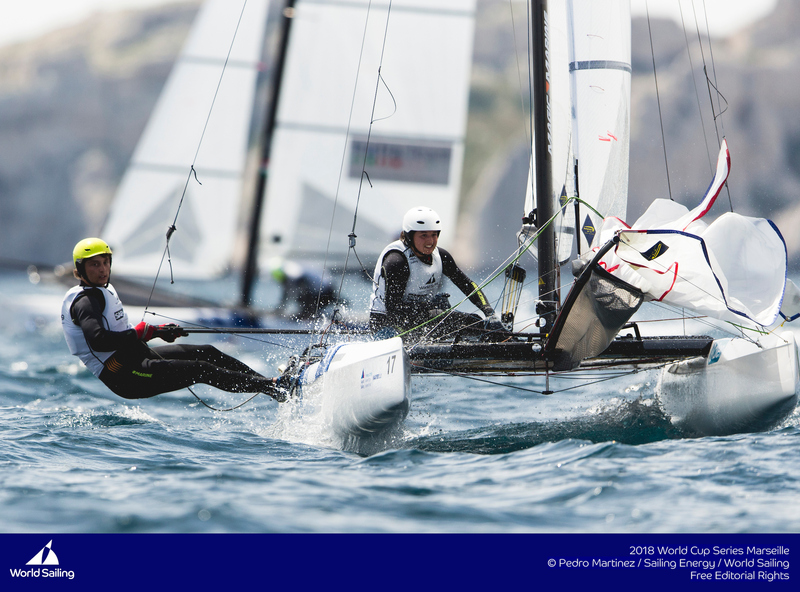 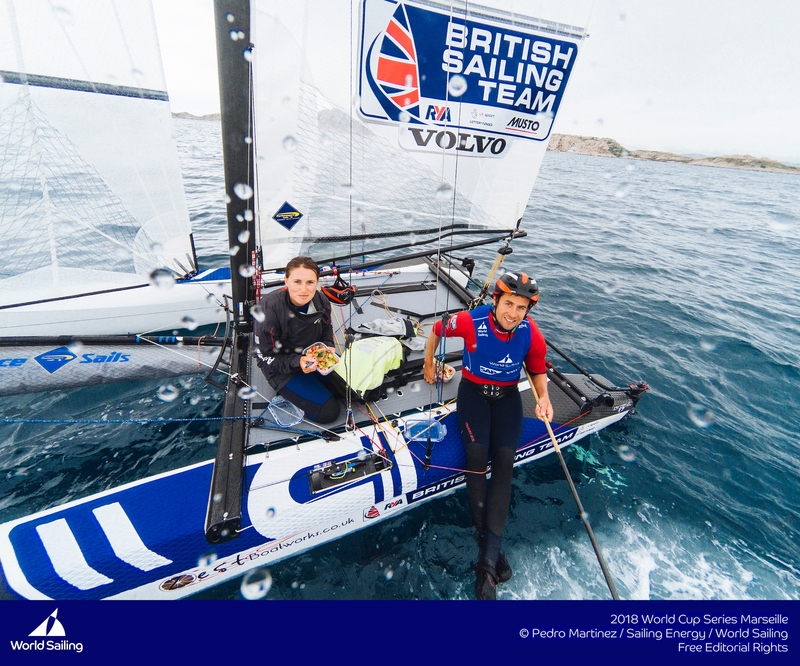 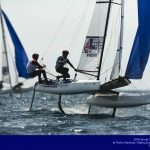 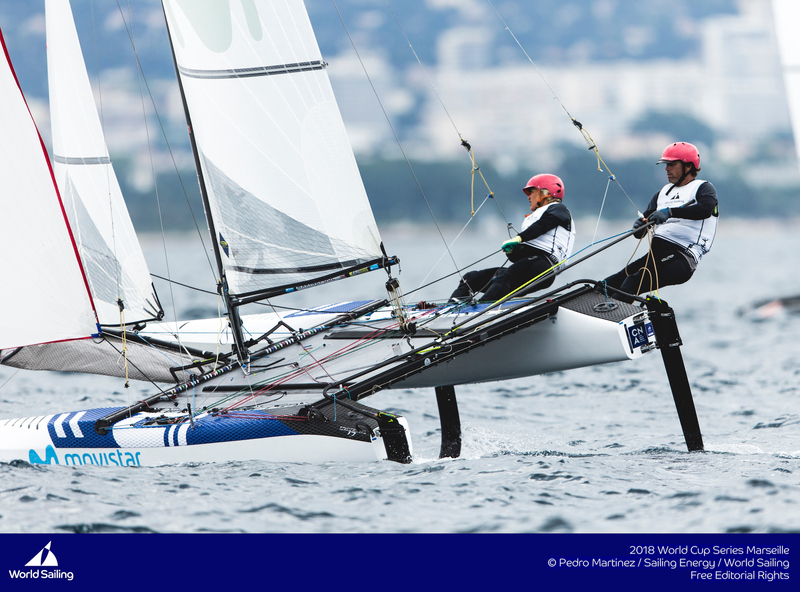 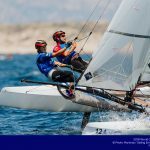 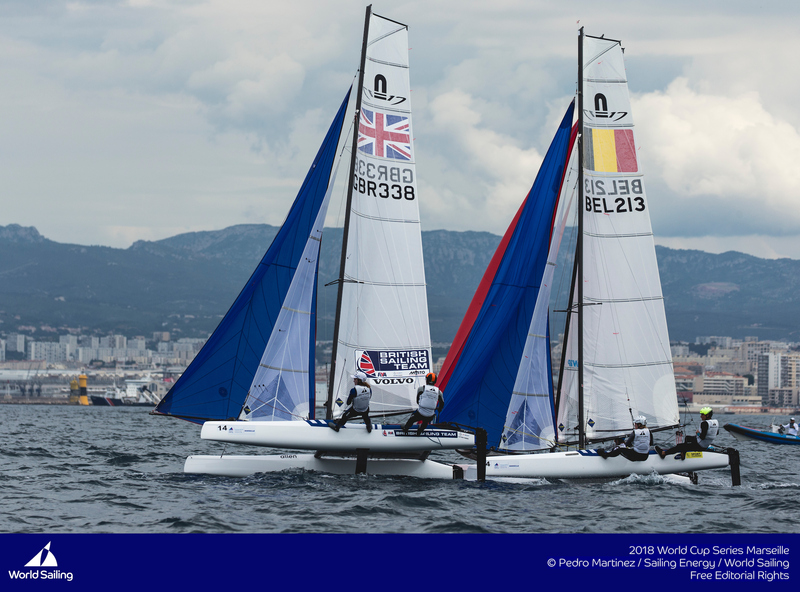 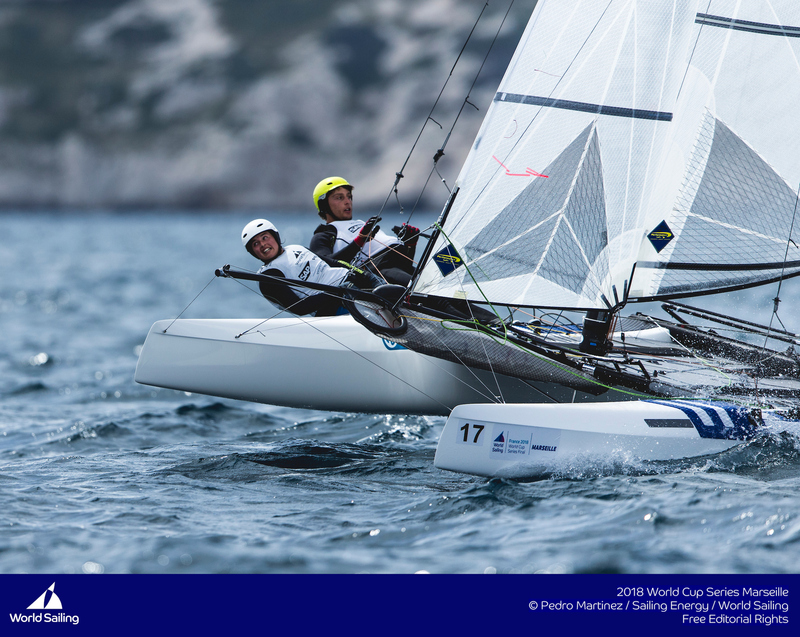 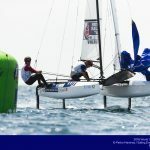 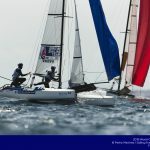 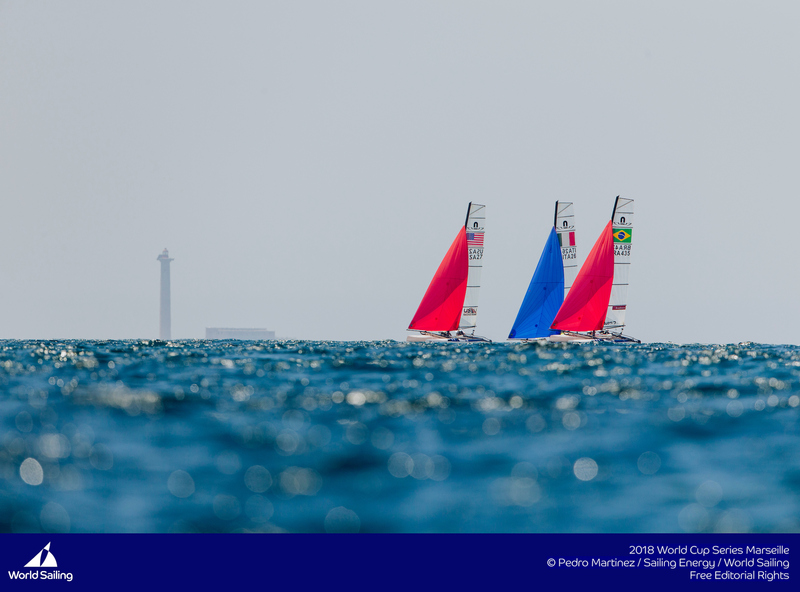 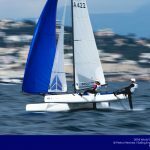 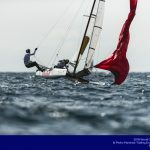 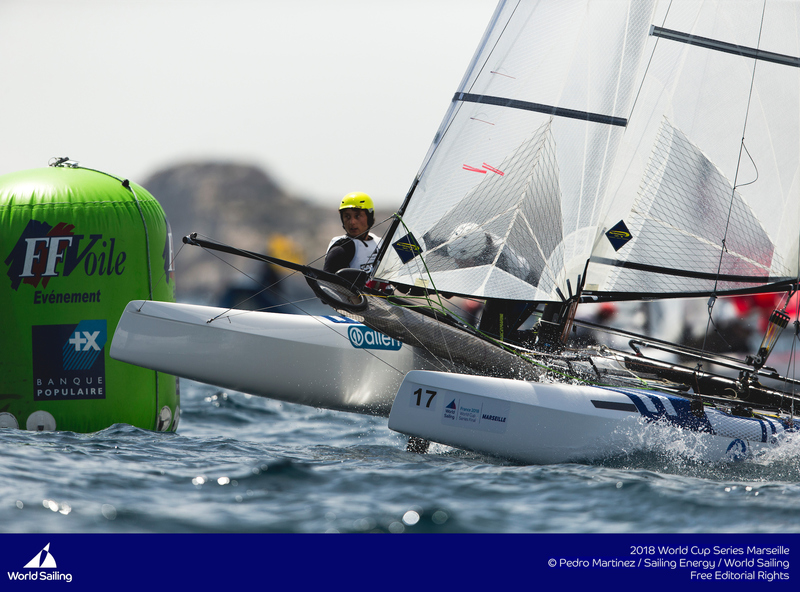 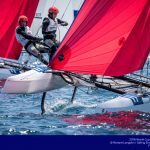 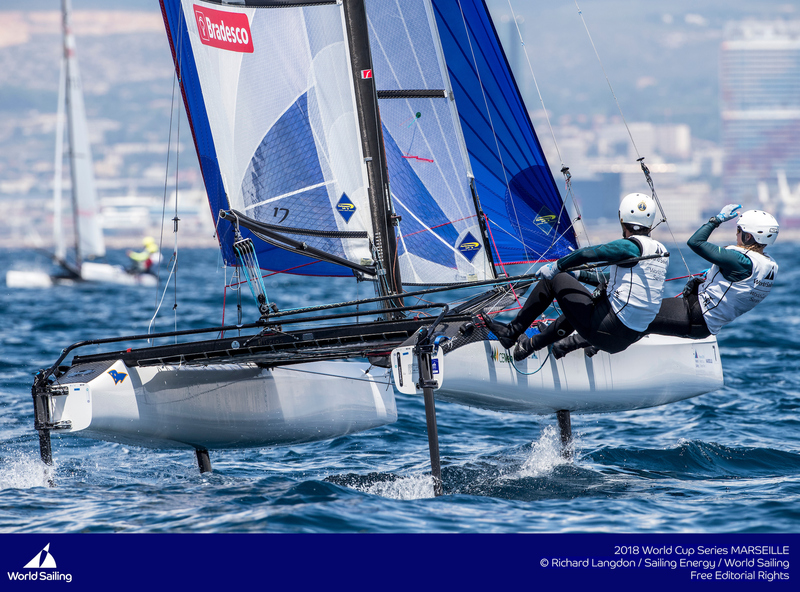 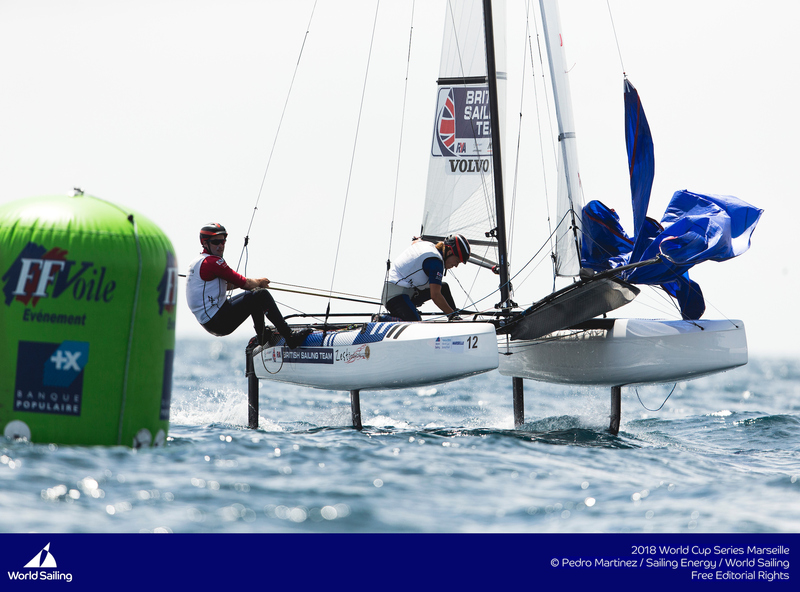 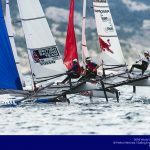 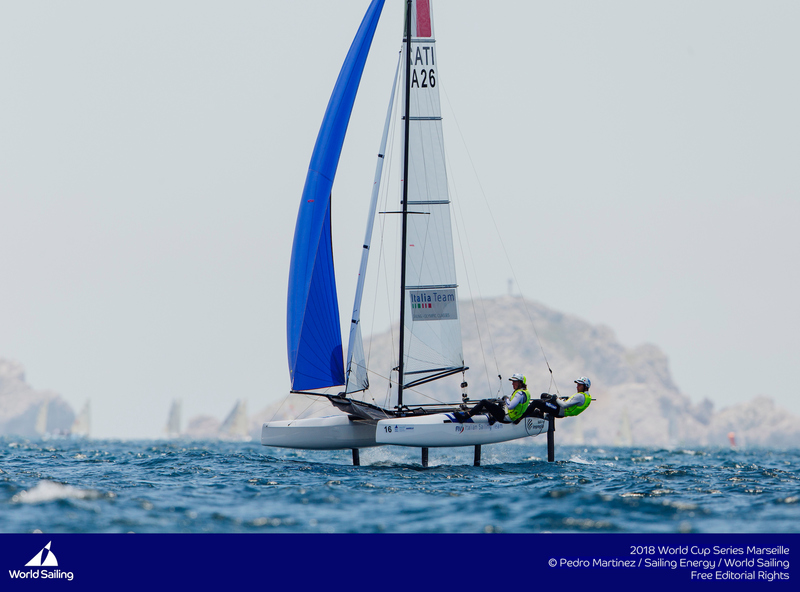 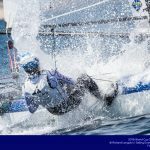 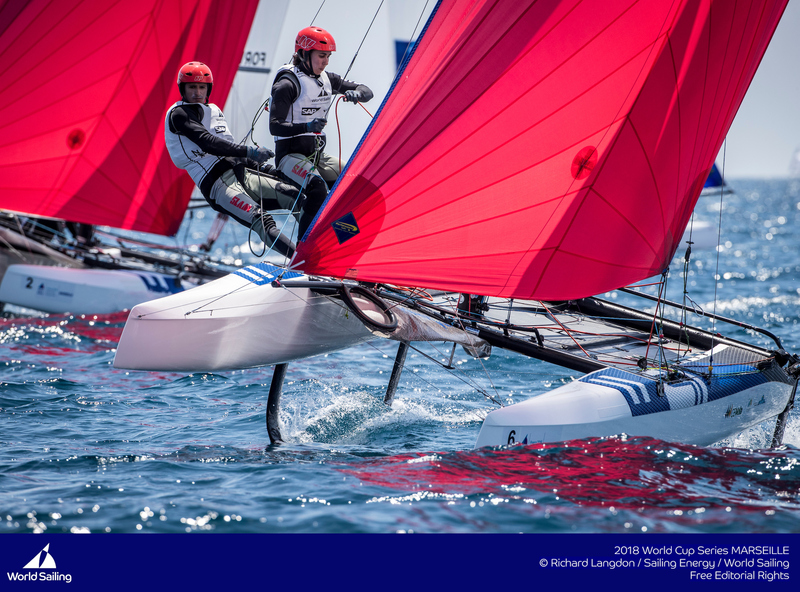 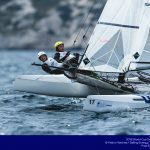 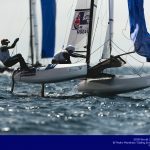 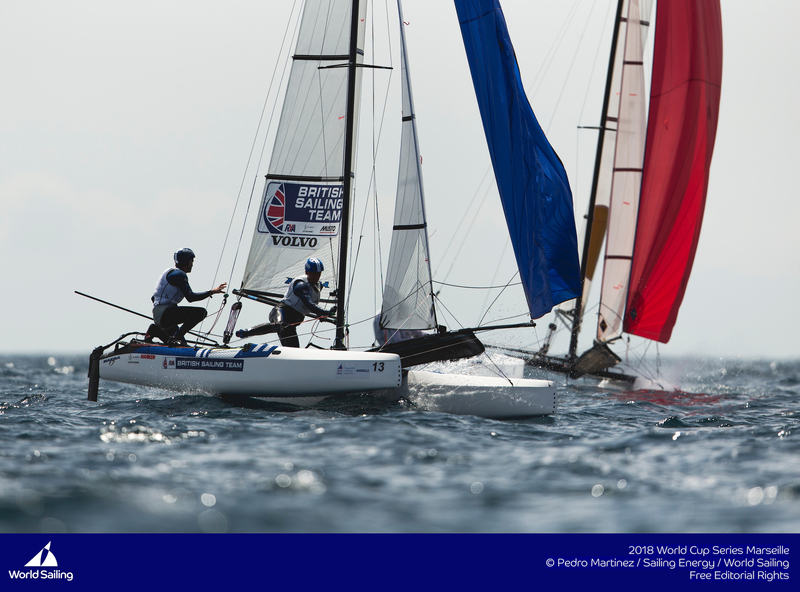 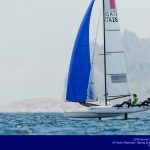 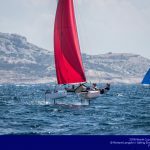 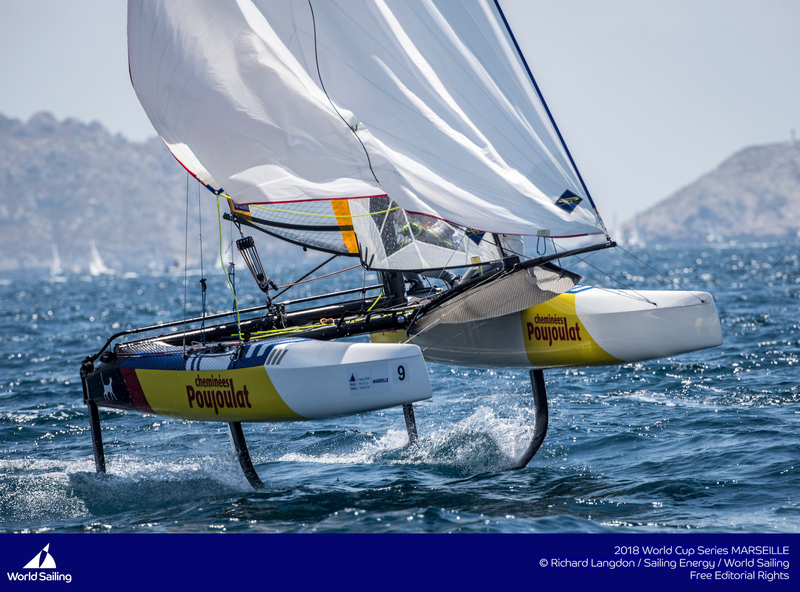 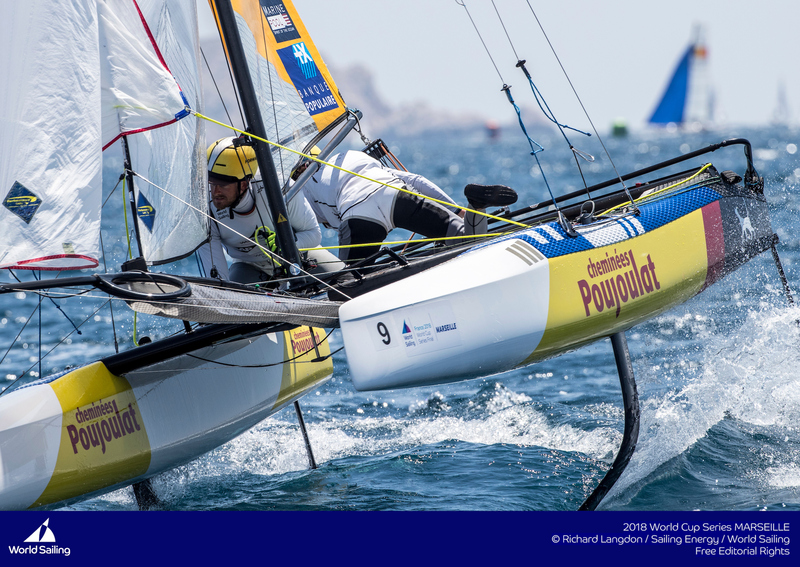 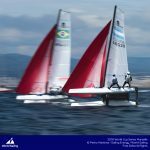 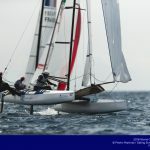 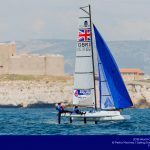 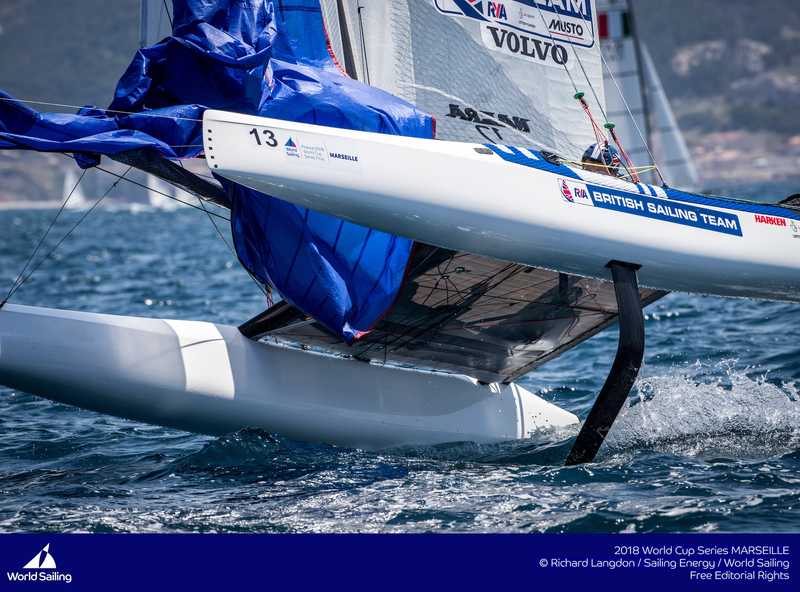 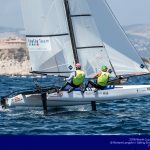 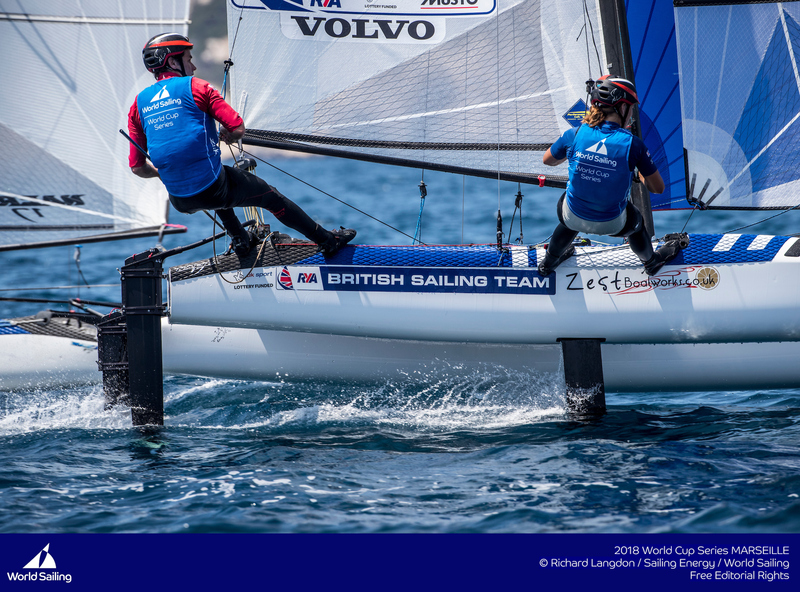 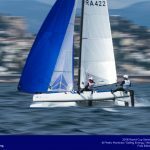 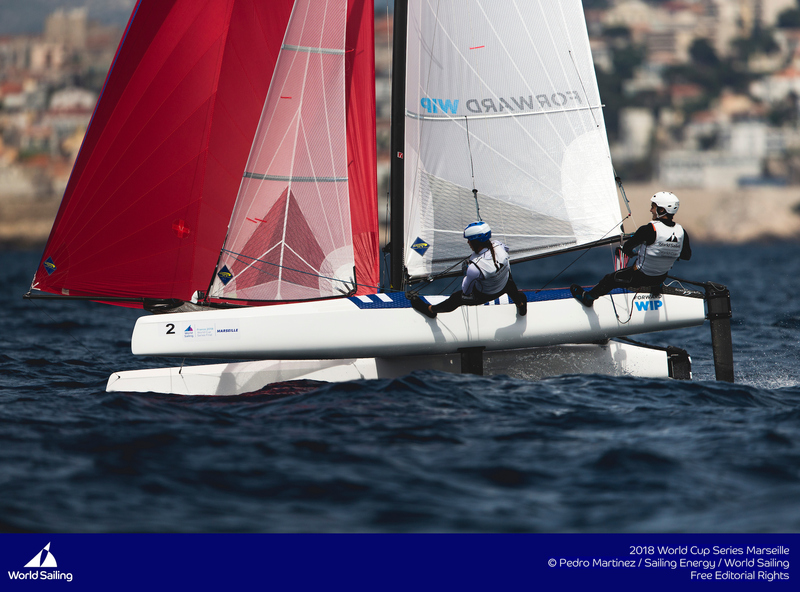 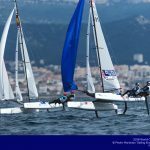 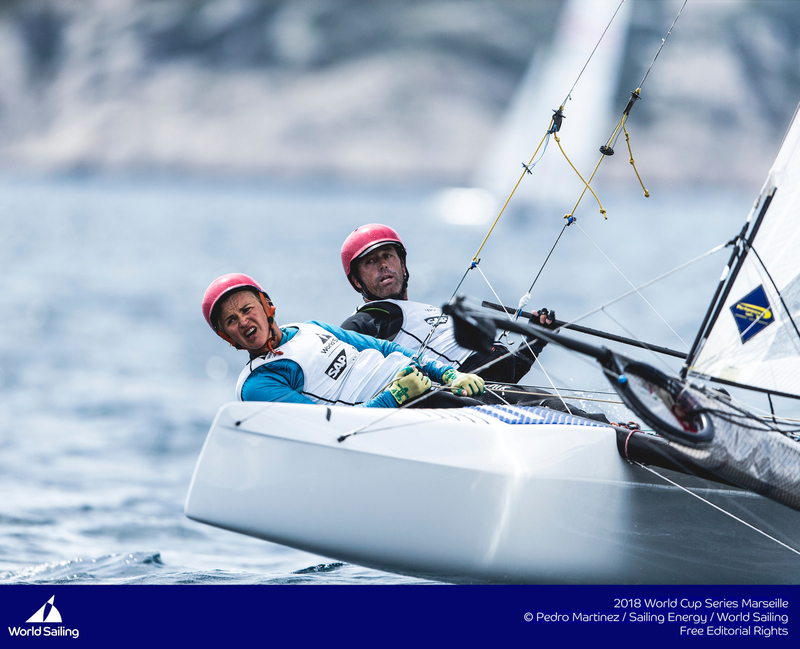 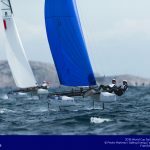 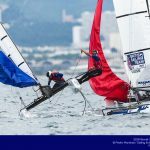 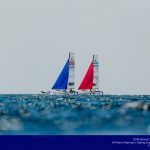 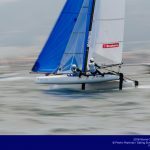 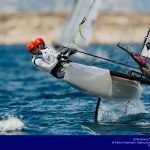 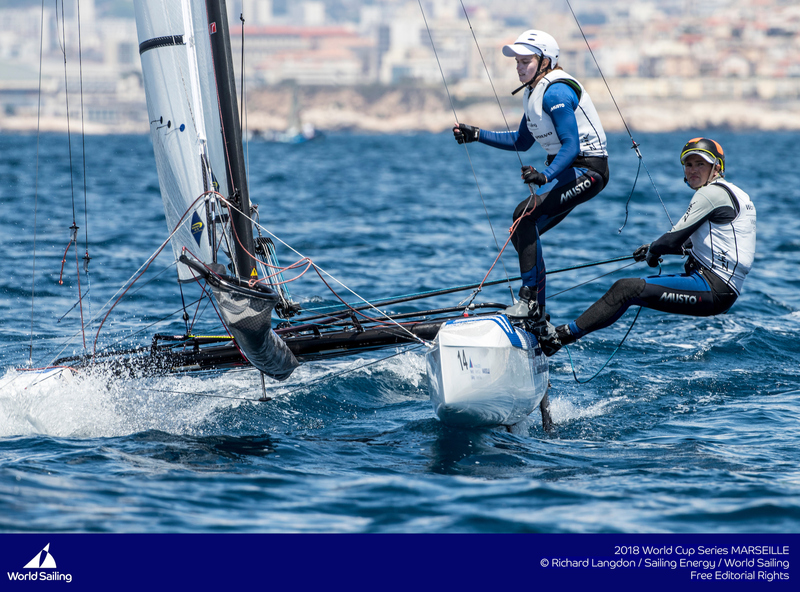 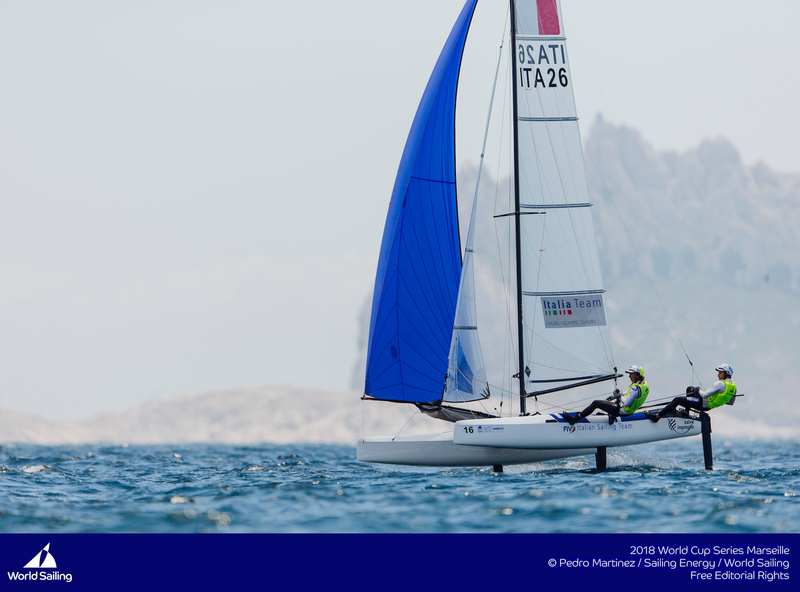 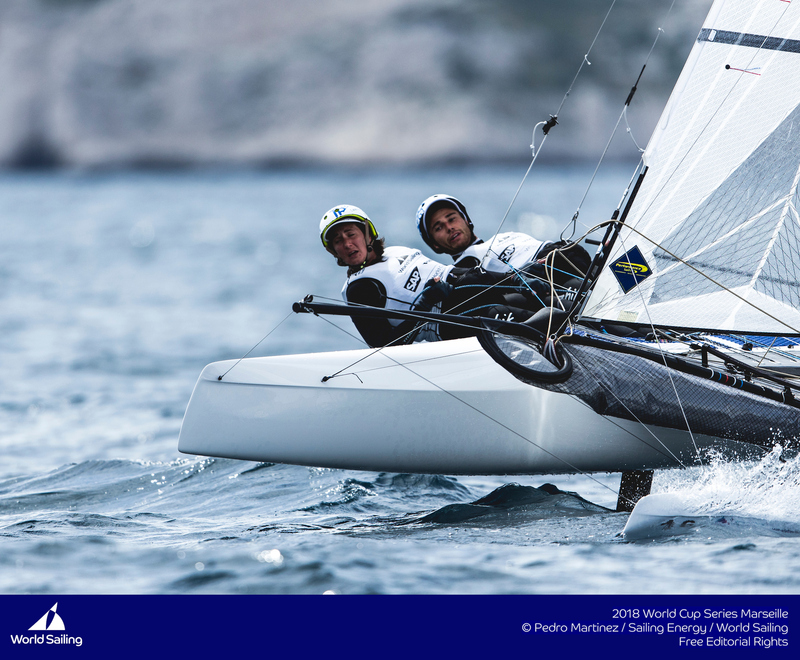 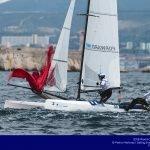 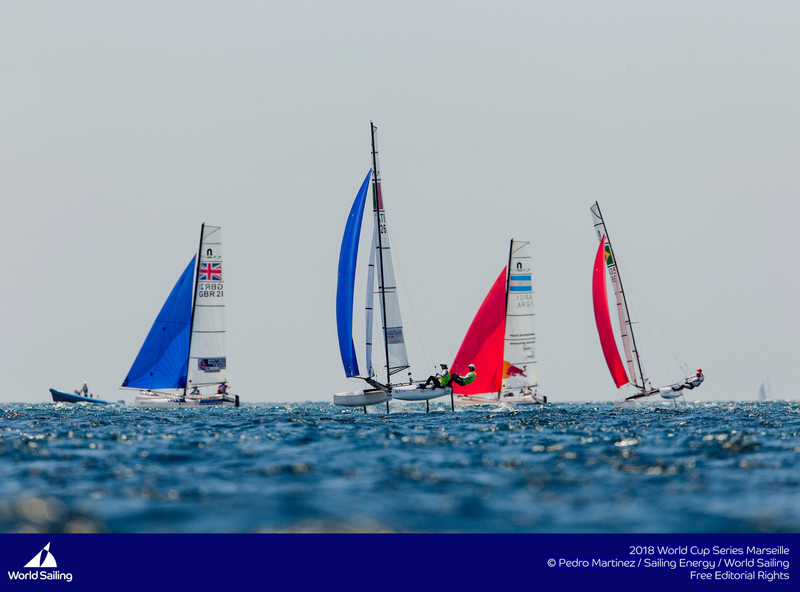 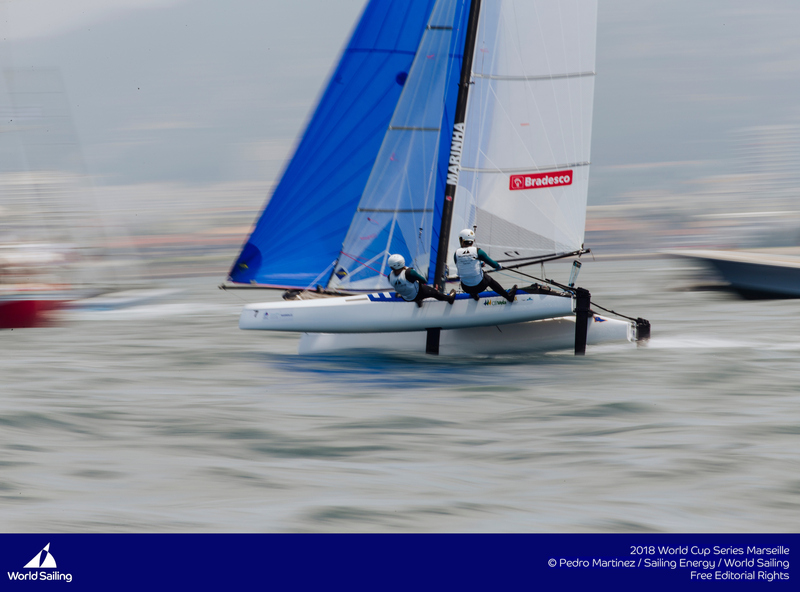 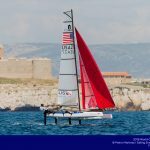 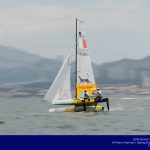 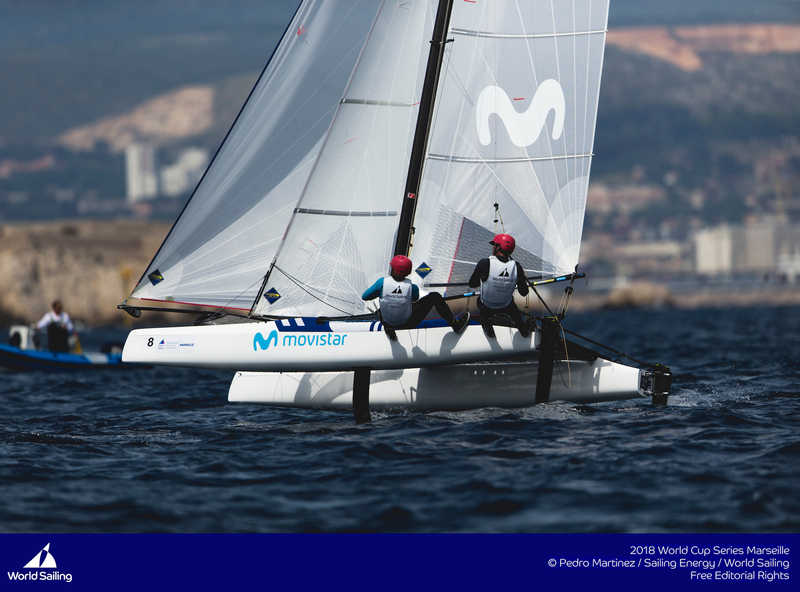 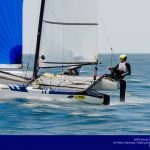 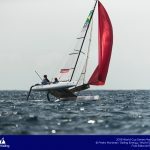 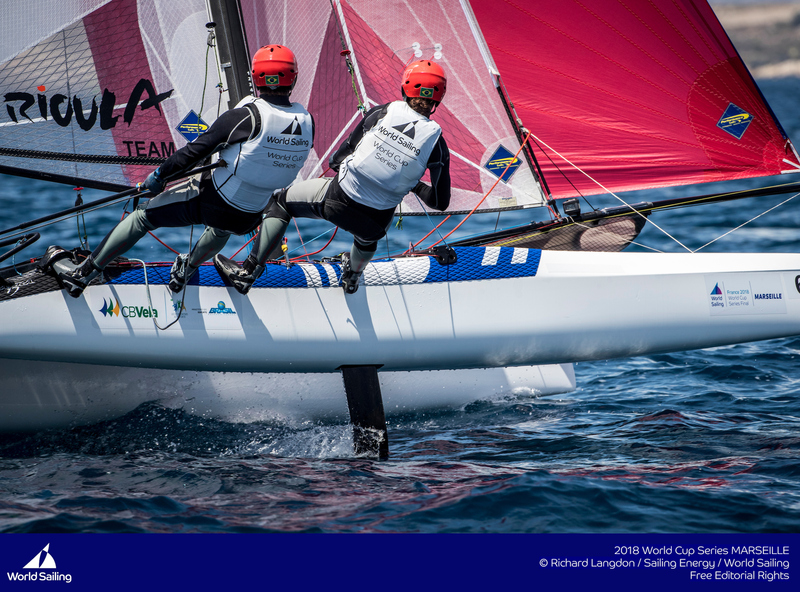 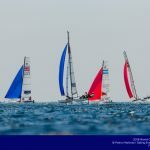 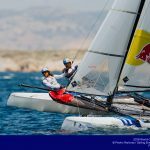 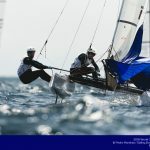 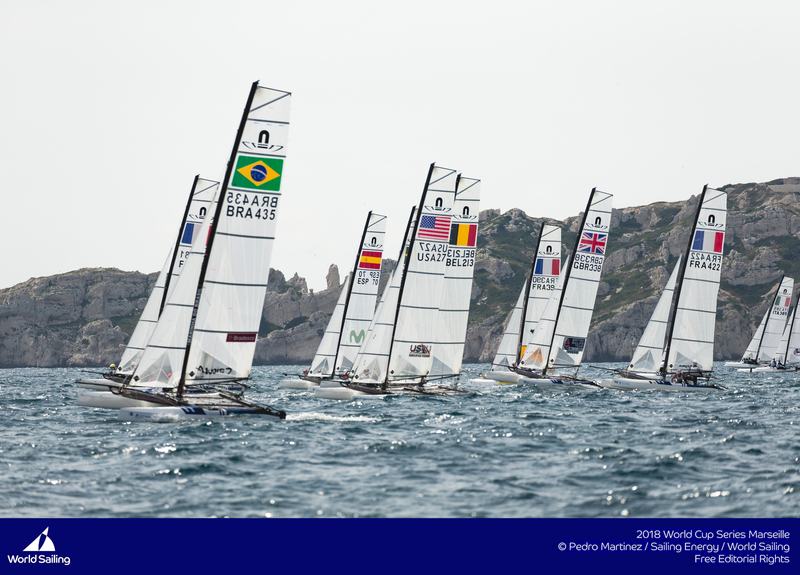 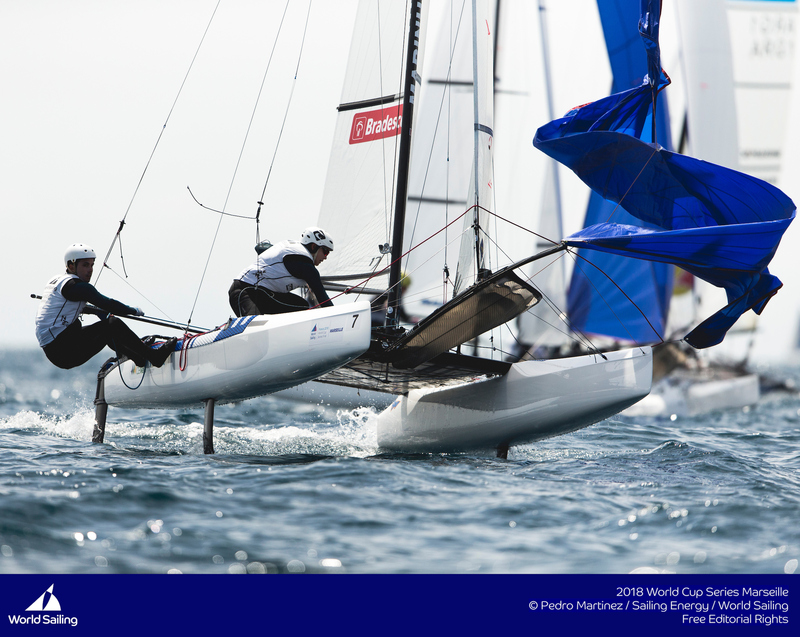 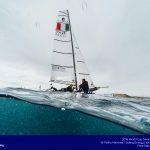 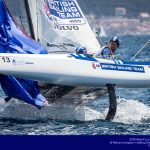 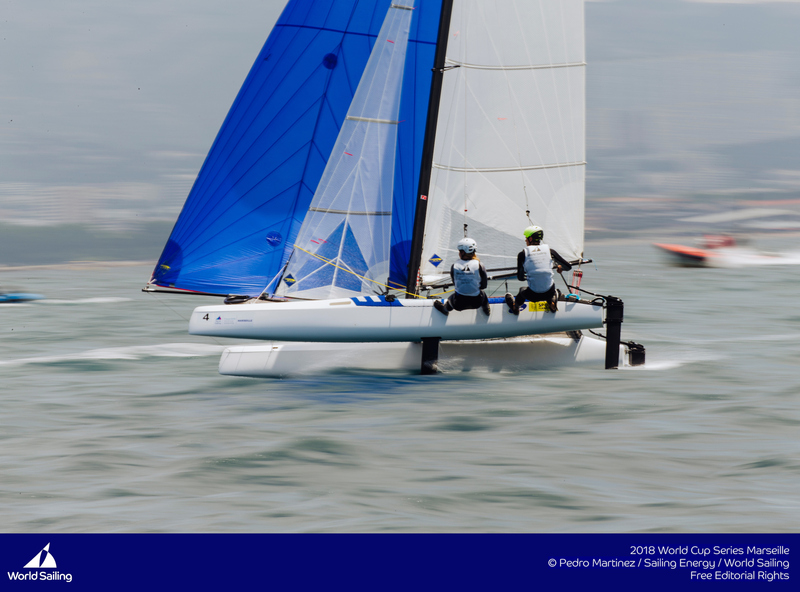 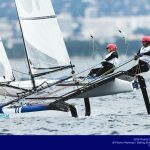 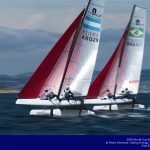 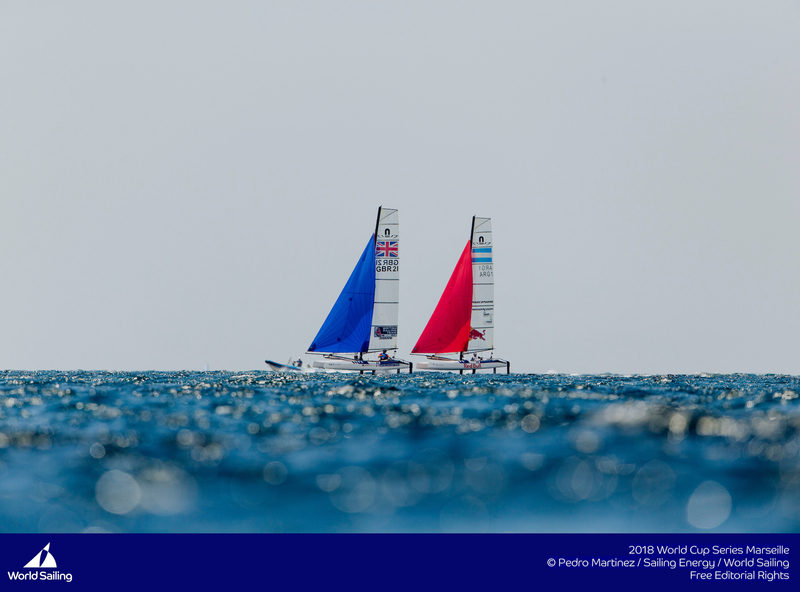 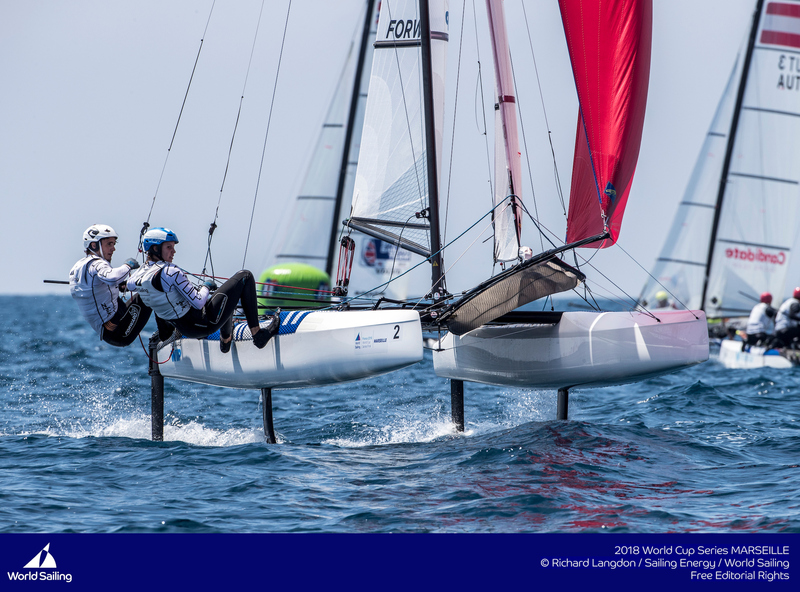 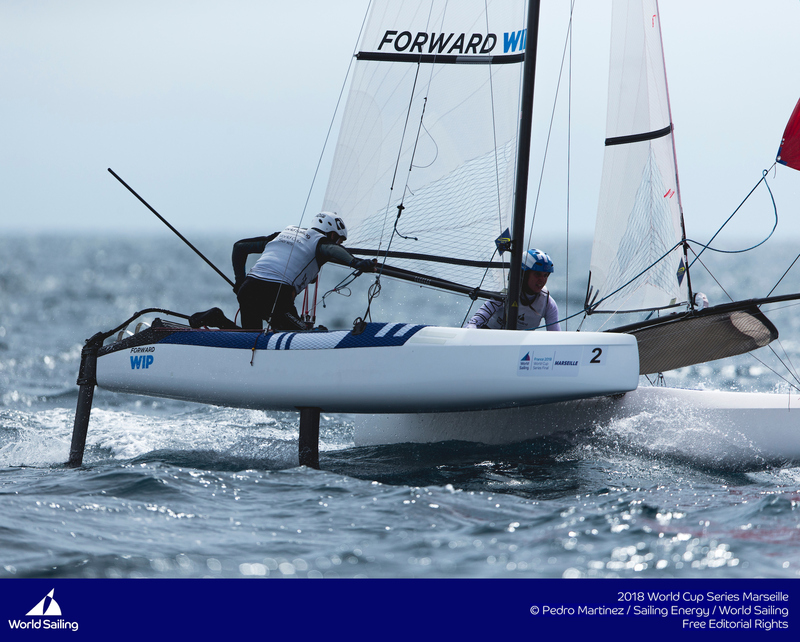 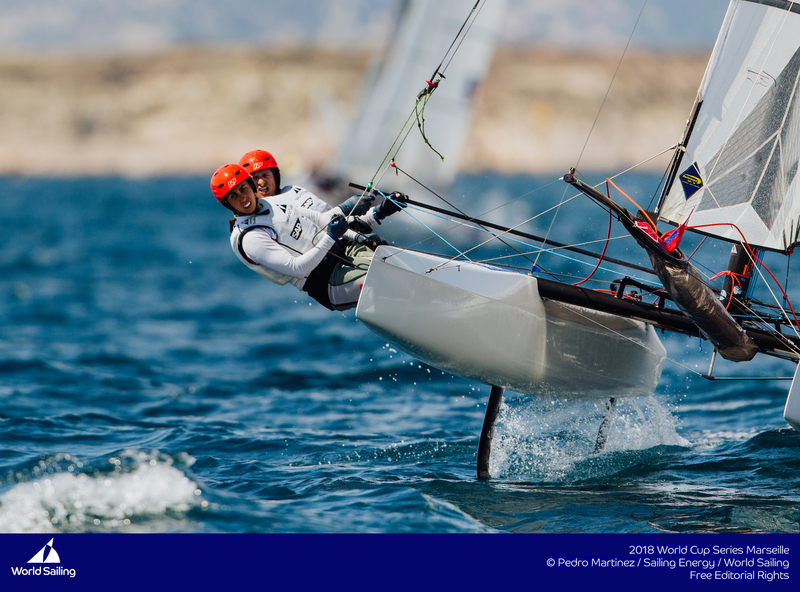 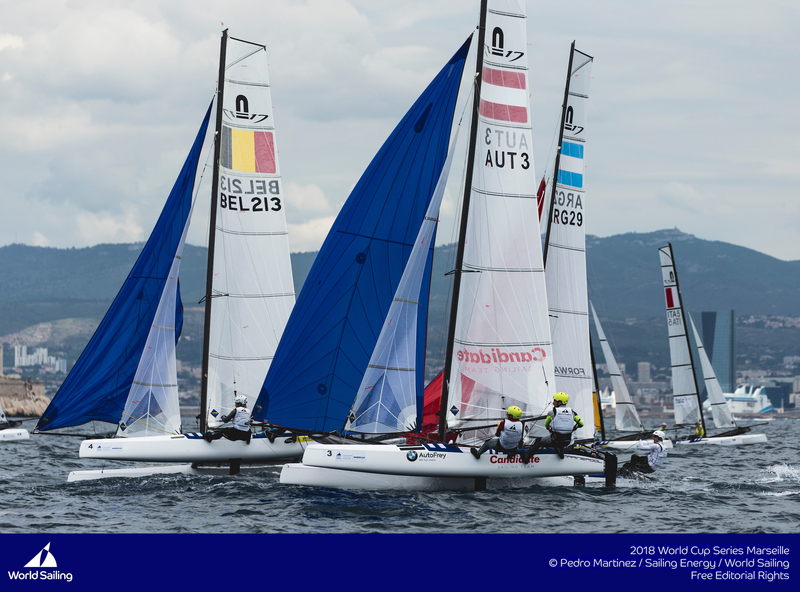 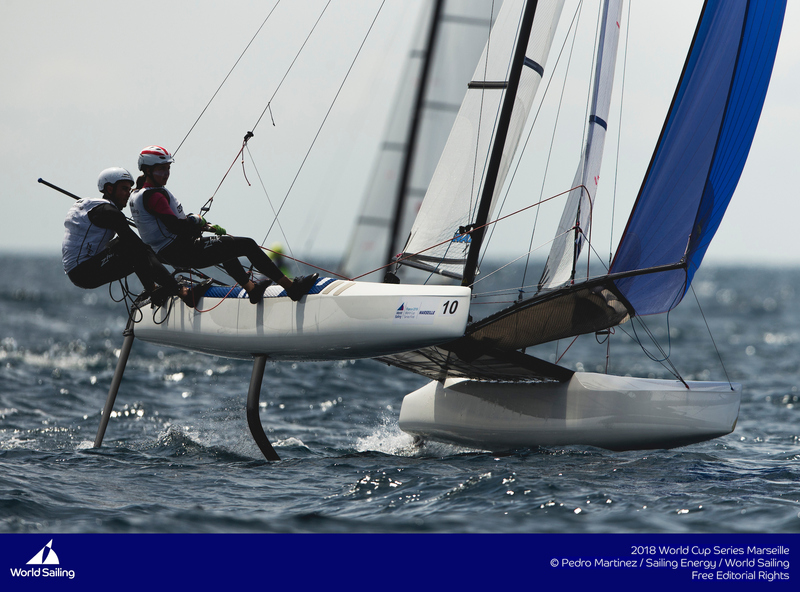 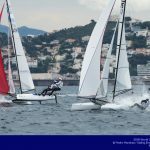 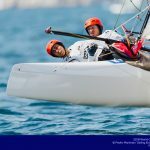 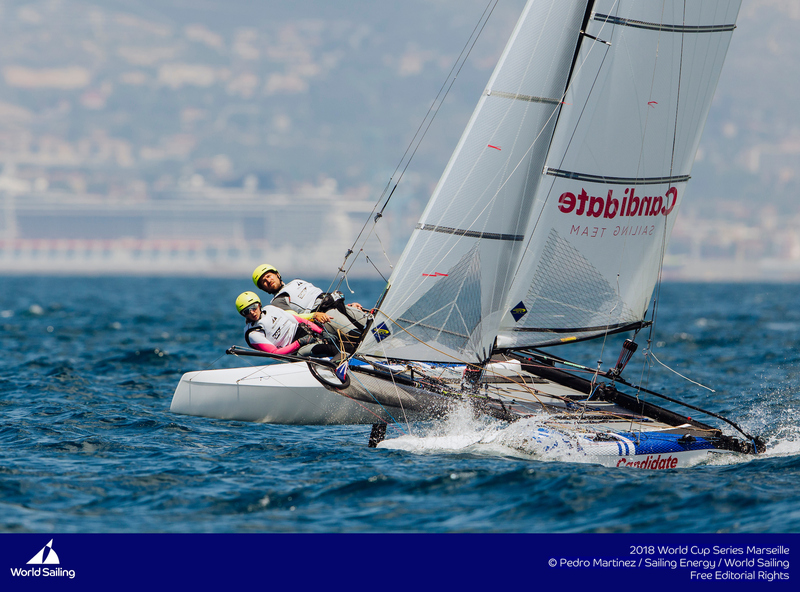 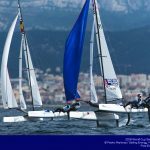 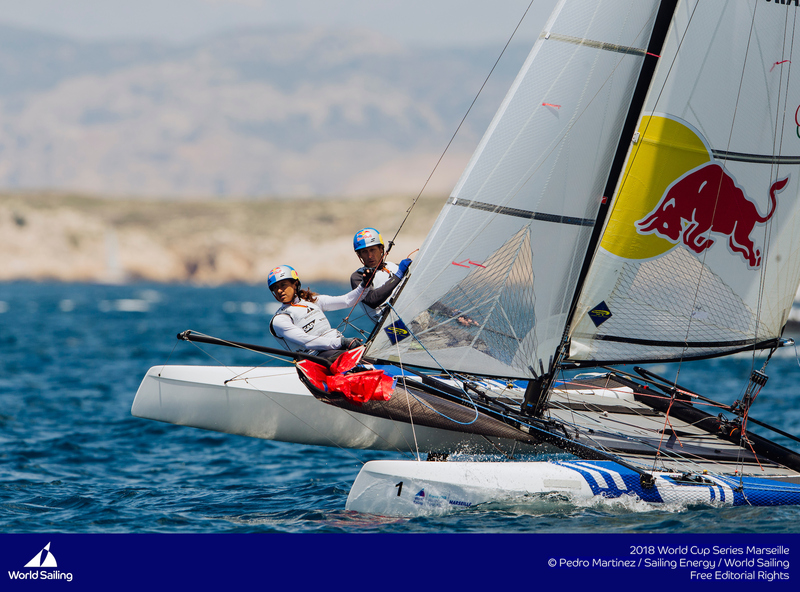 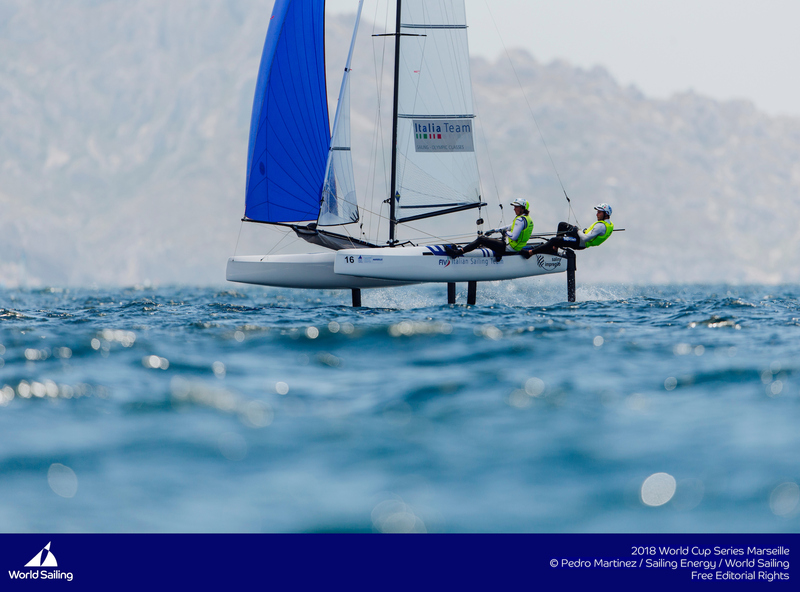 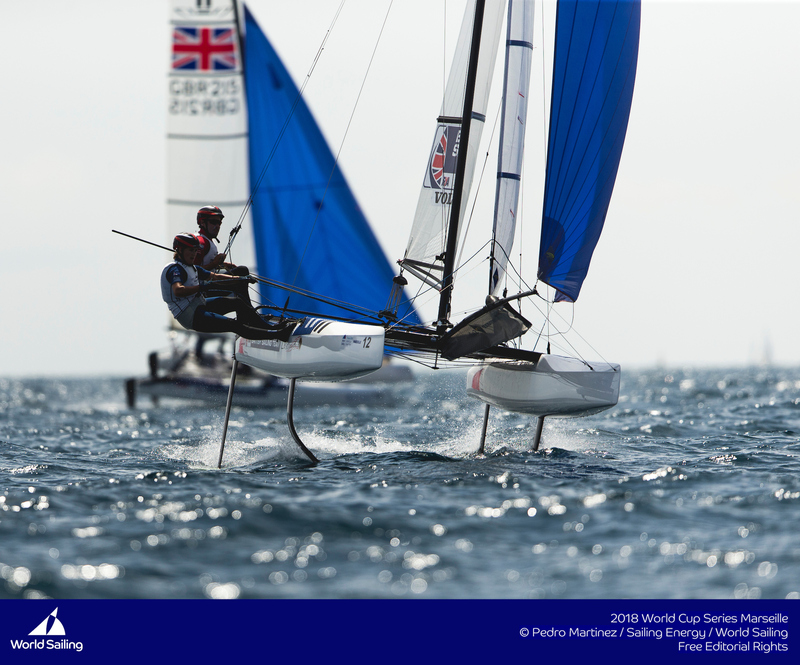 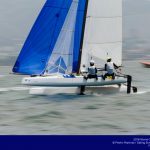 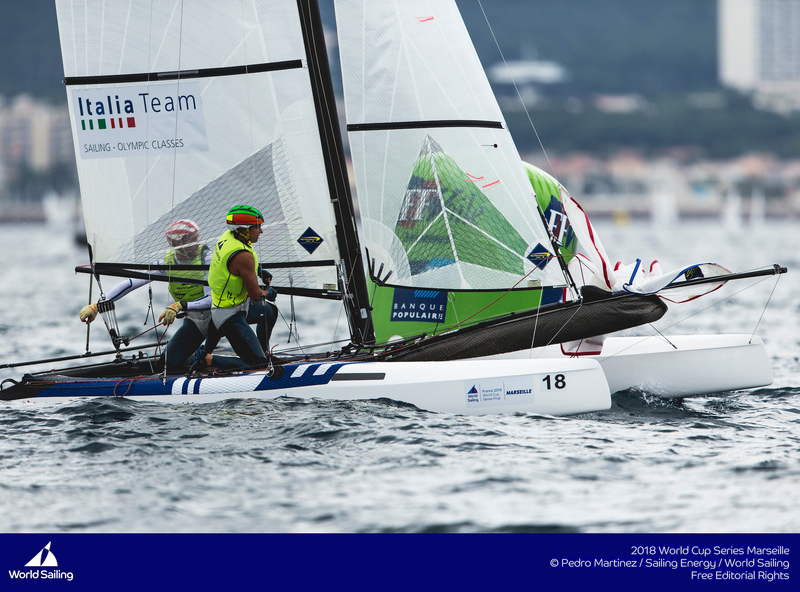 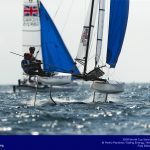 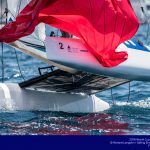 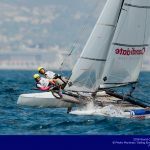 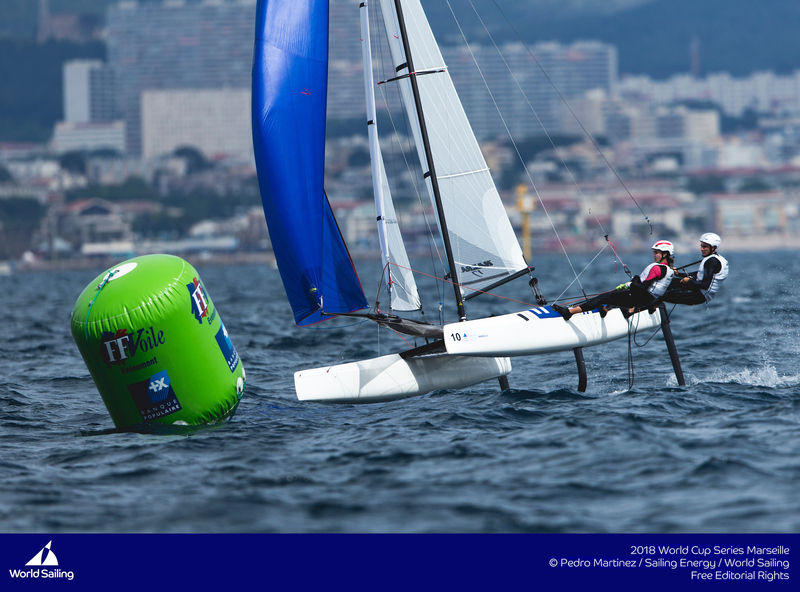 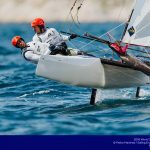 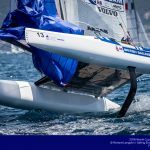 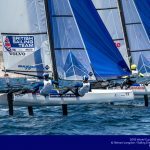 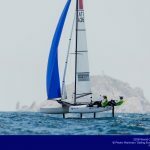 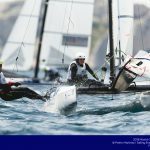 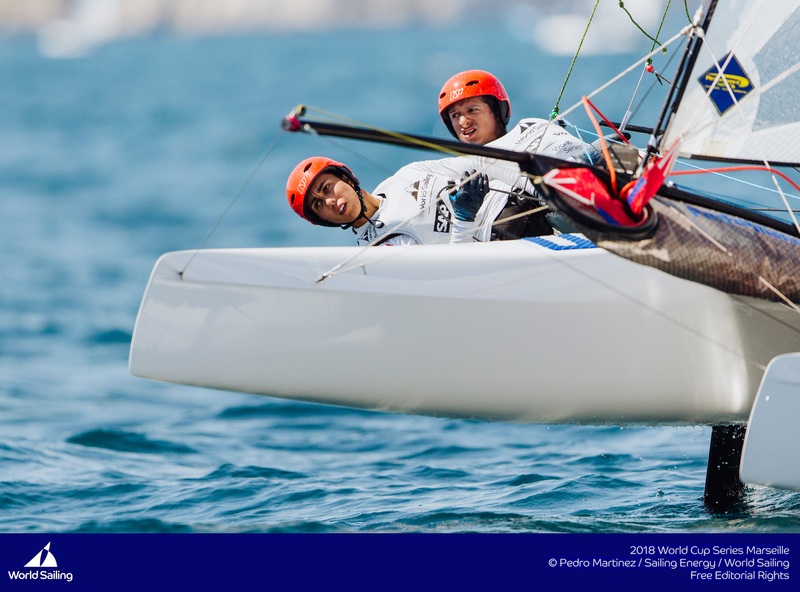 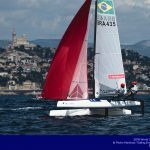 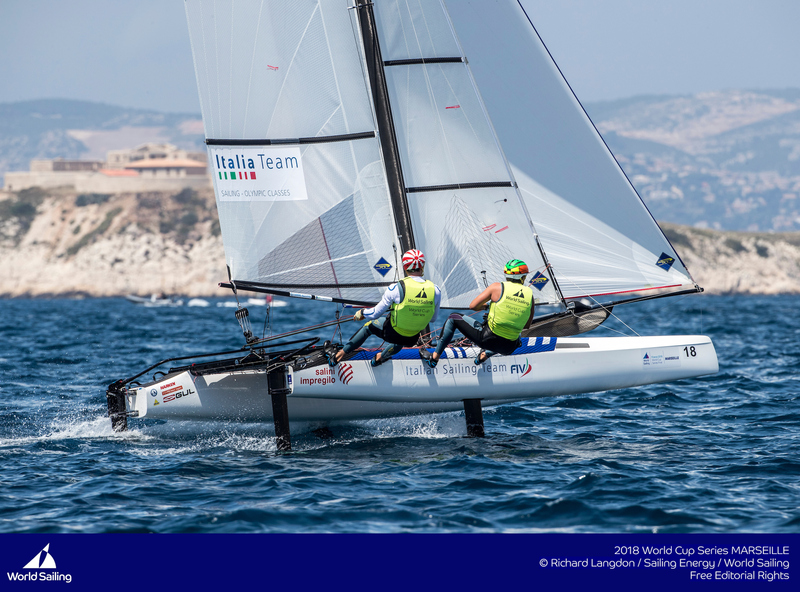 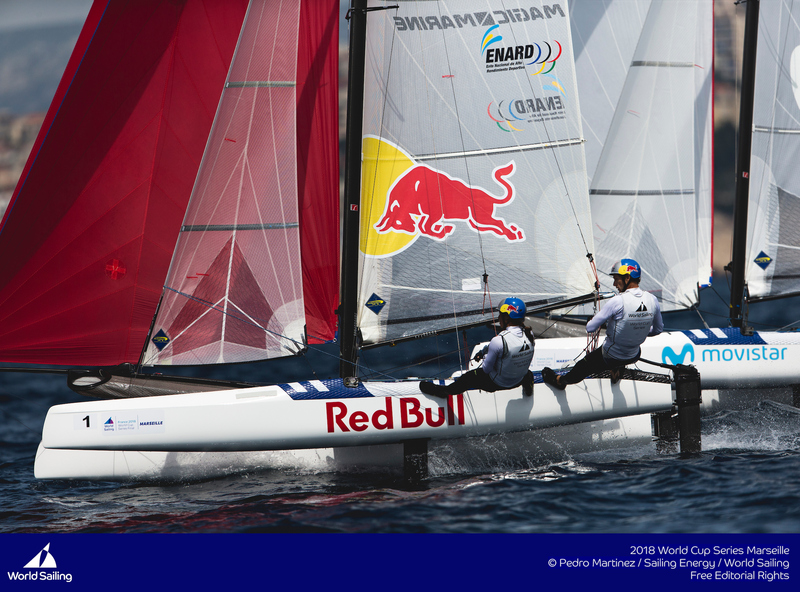 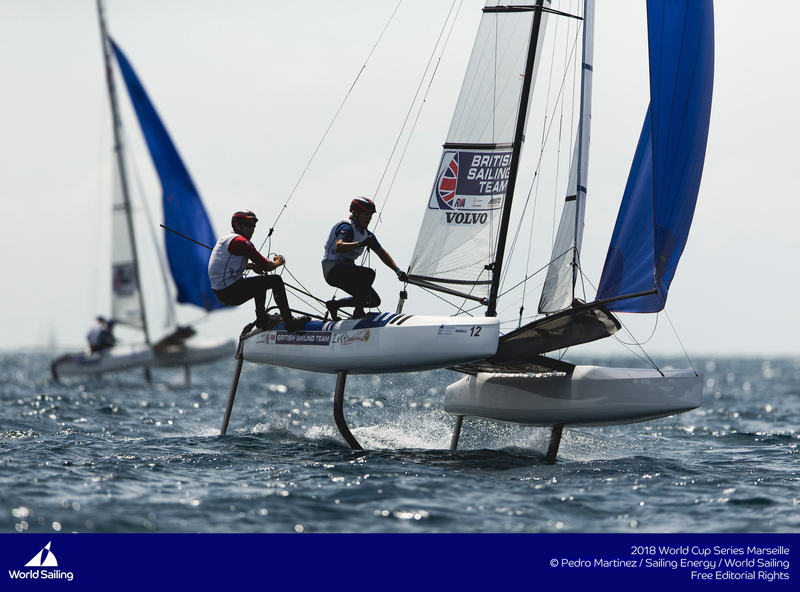 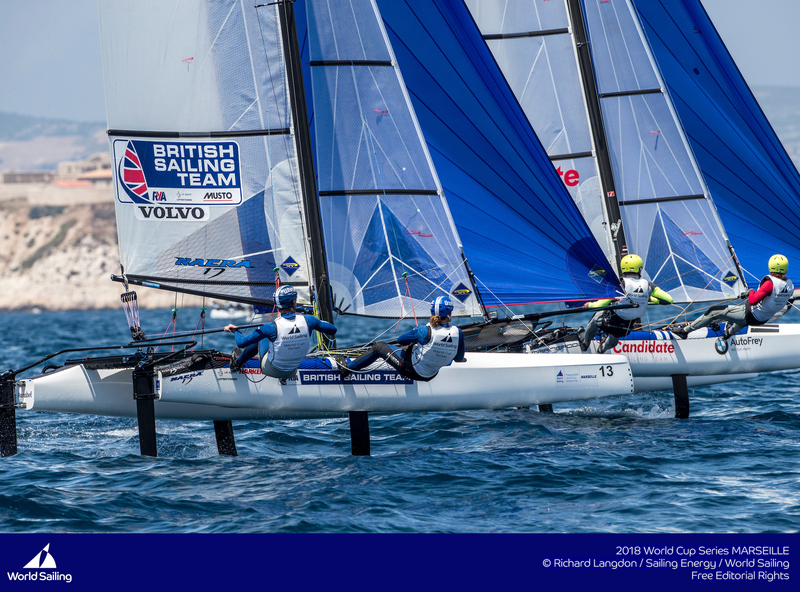 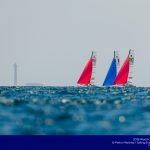 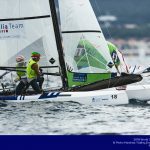 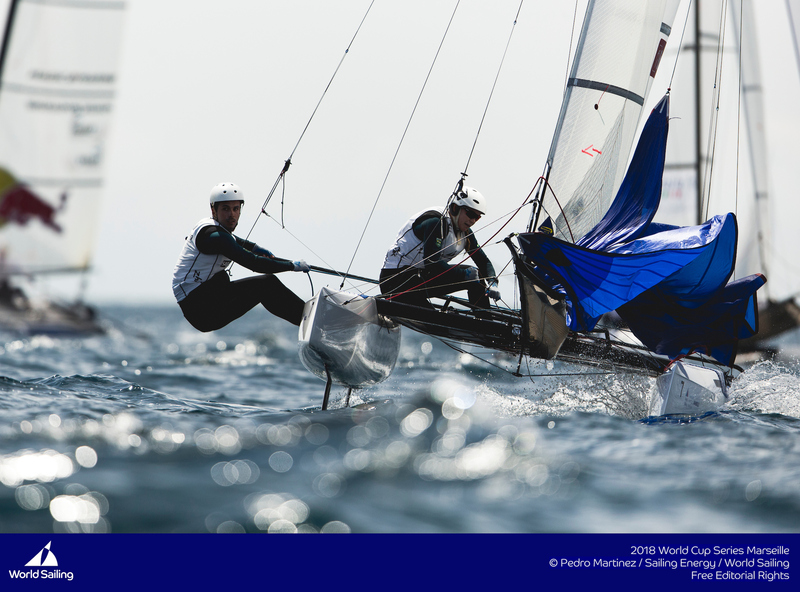 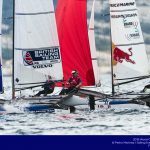 The very best Junior 2 person sailing teams will be getting a preview of Paris 2024 as the U23 49er, 49erFX, and Nacra 17 Junior World Championship is set for the end of August 2018. 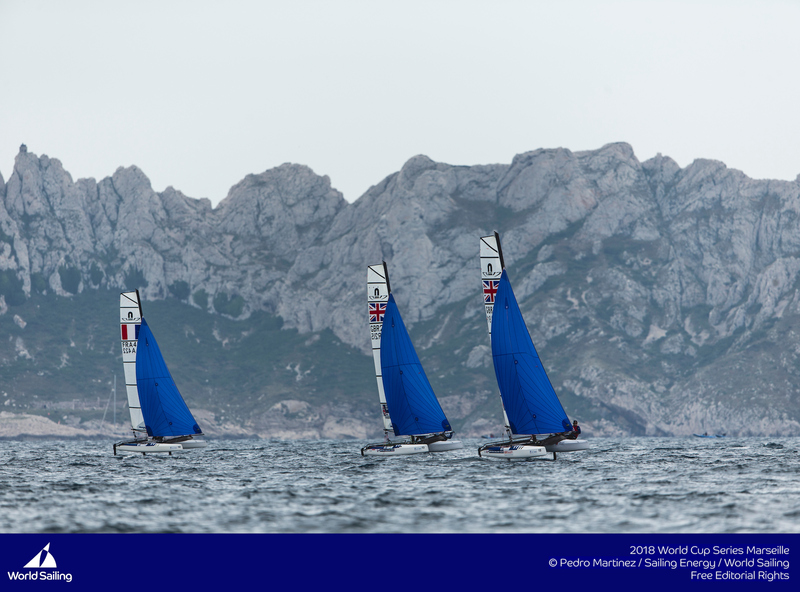 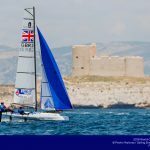 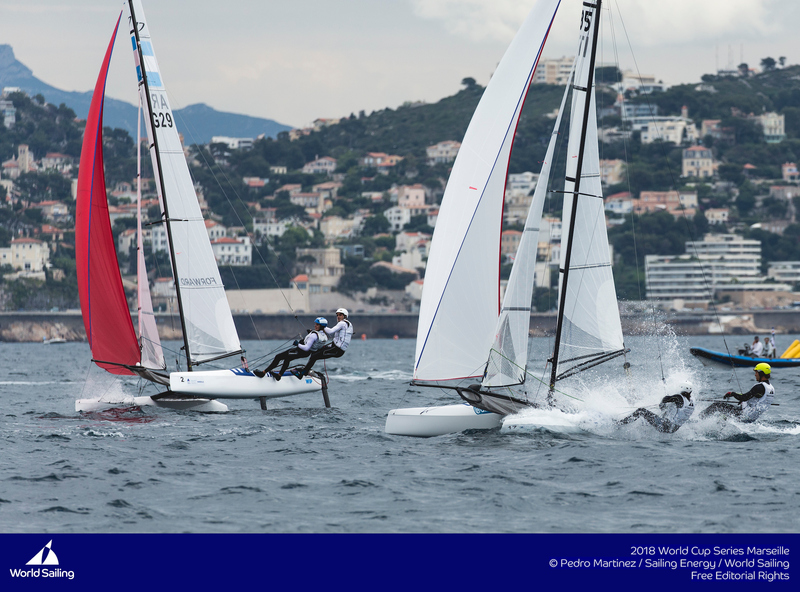 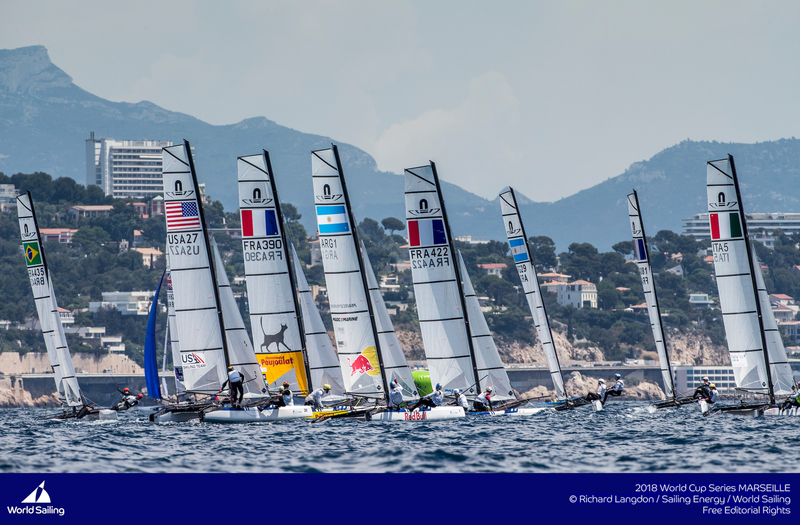 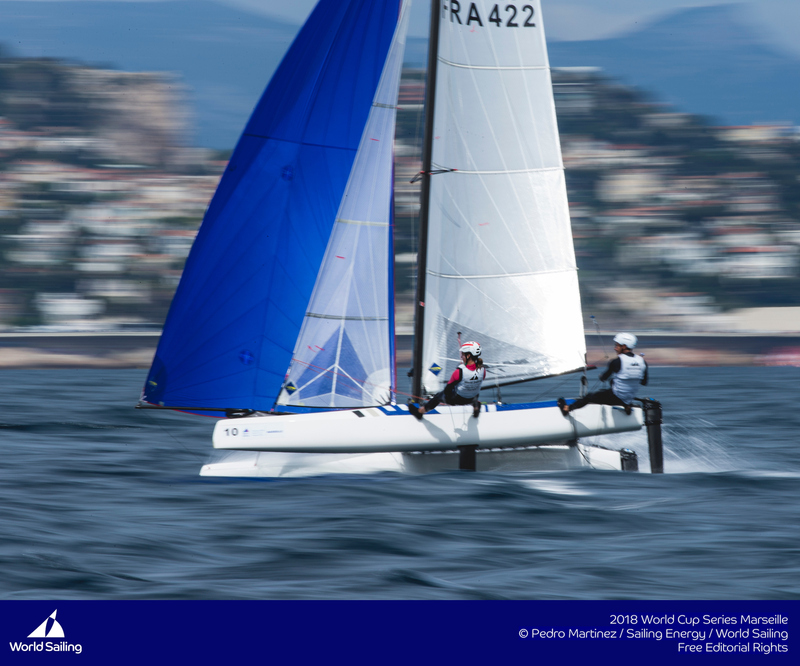 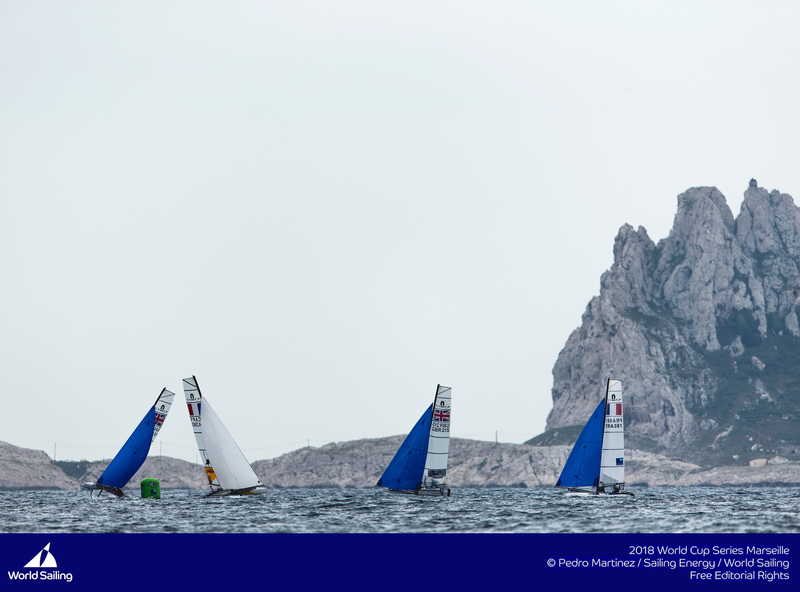 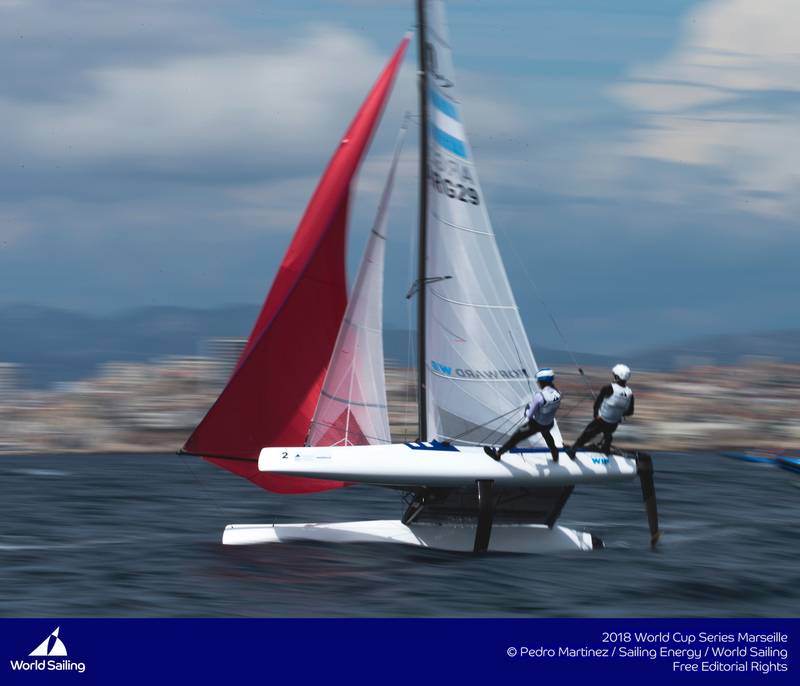 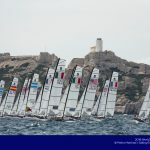 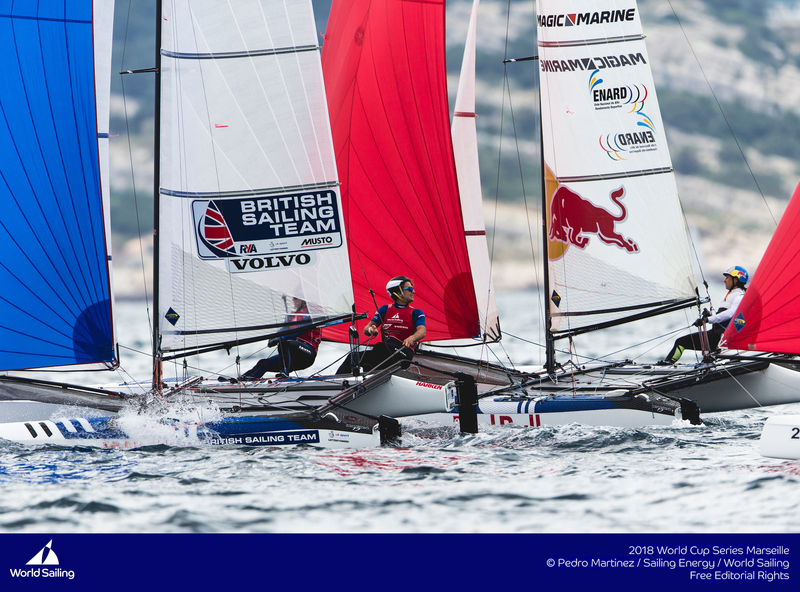 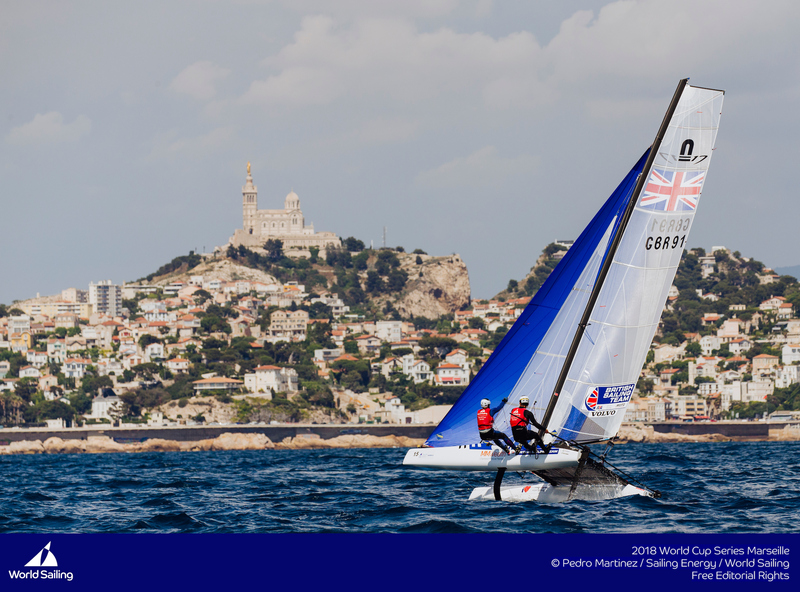 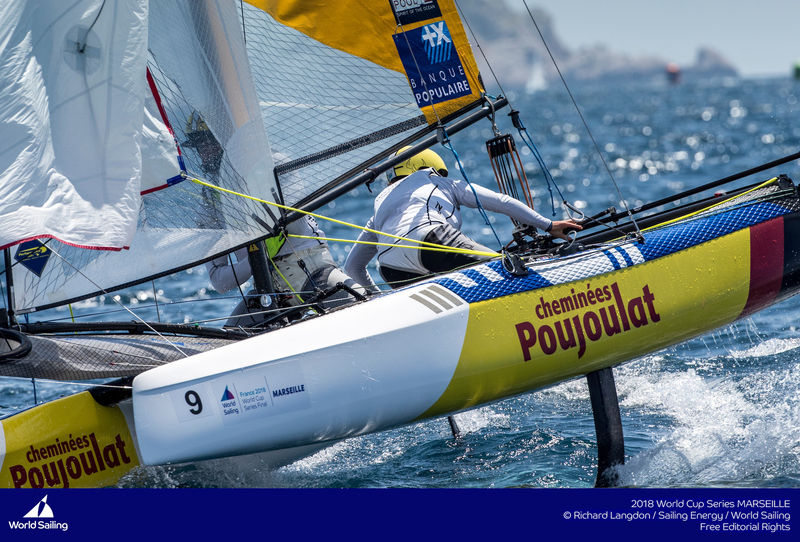 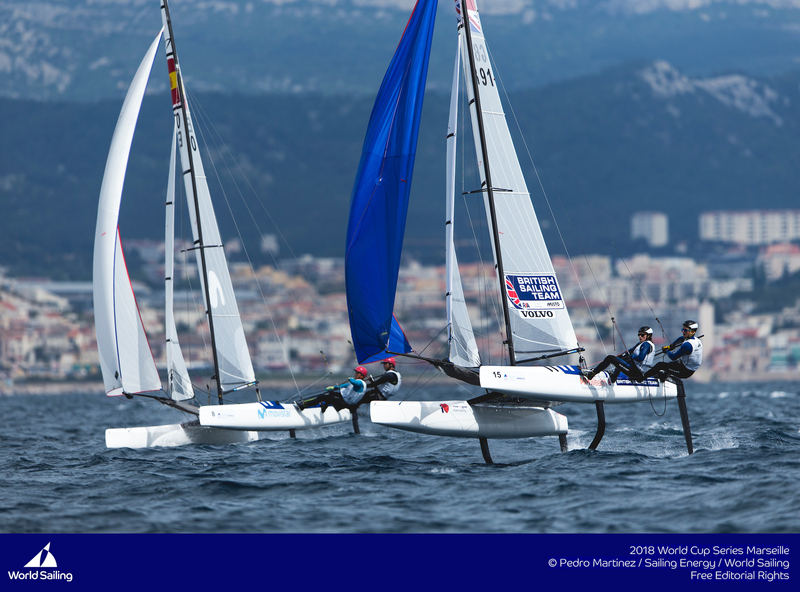 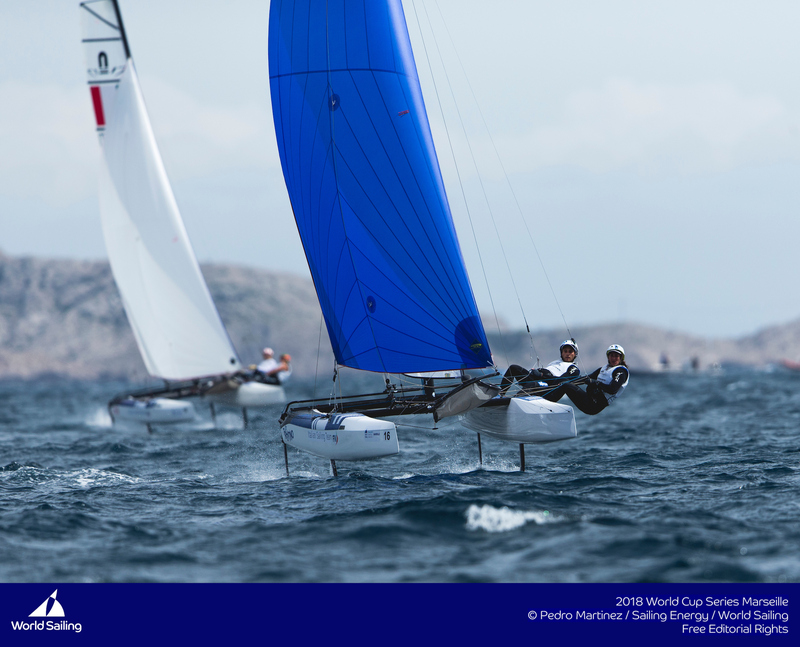 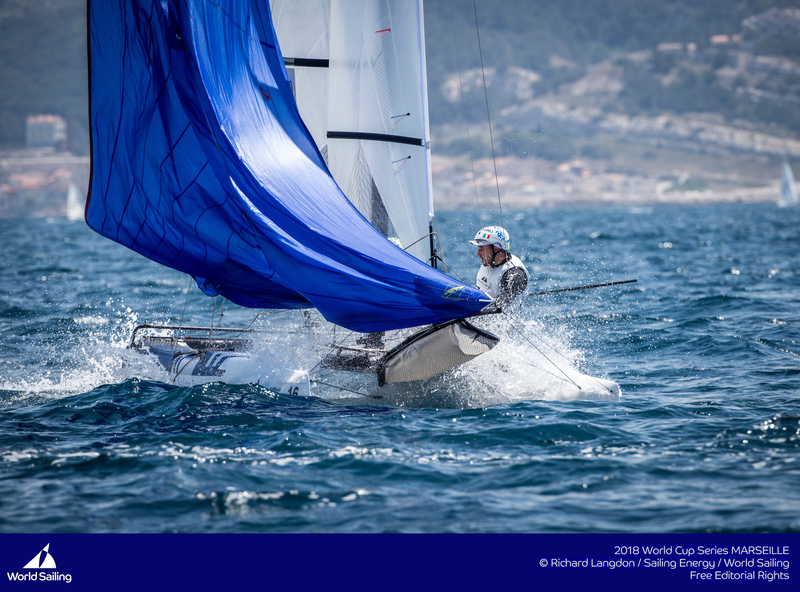 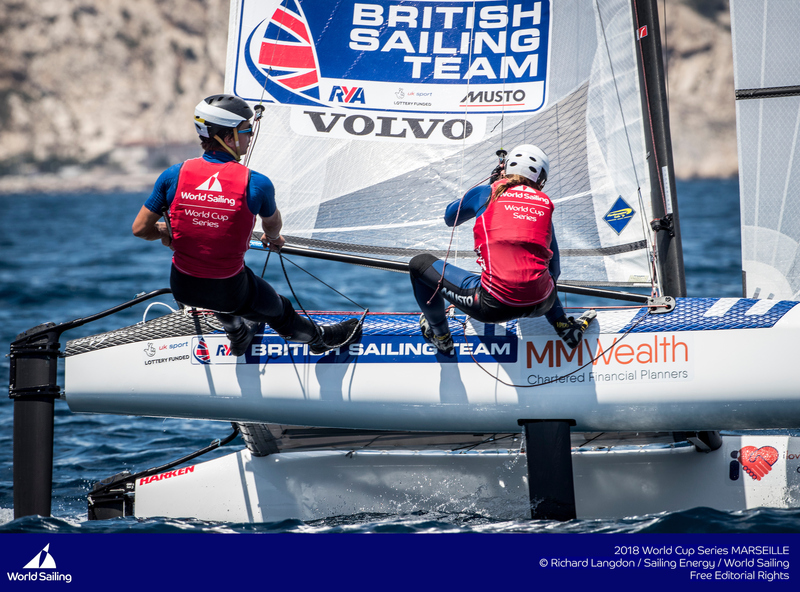 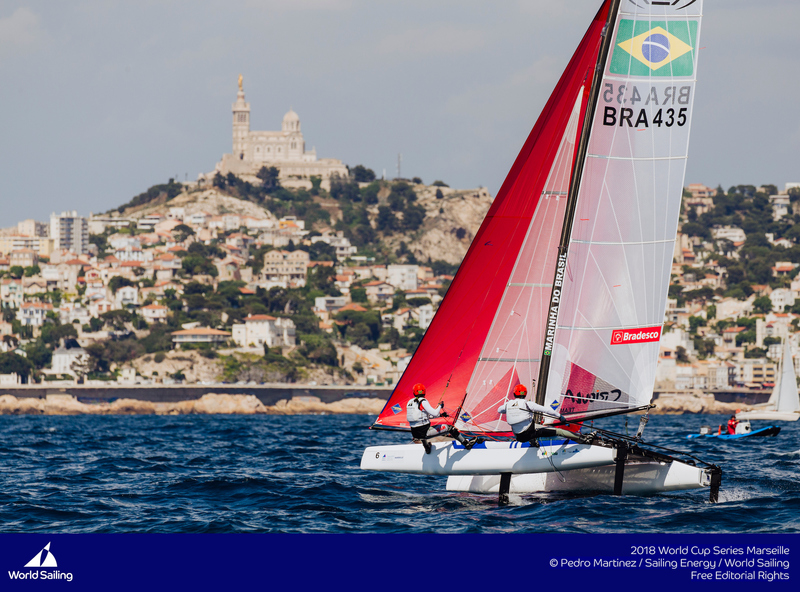 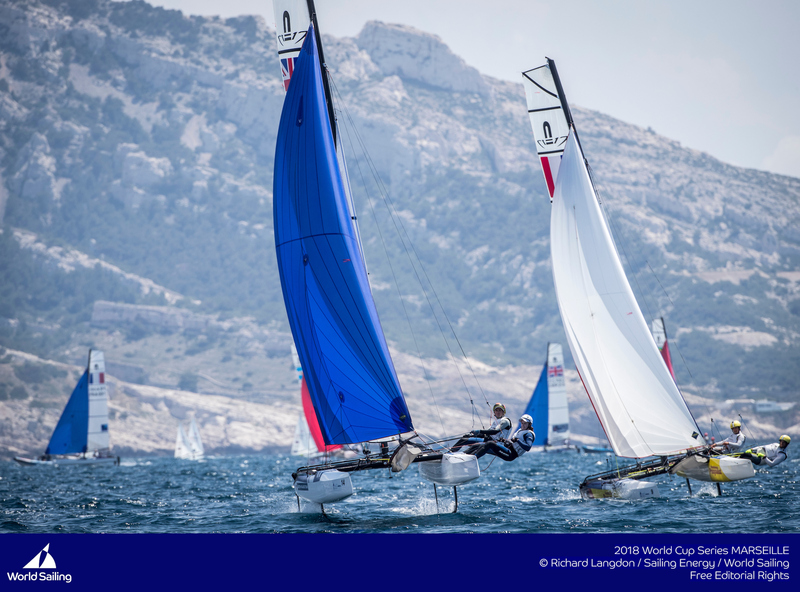 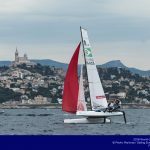 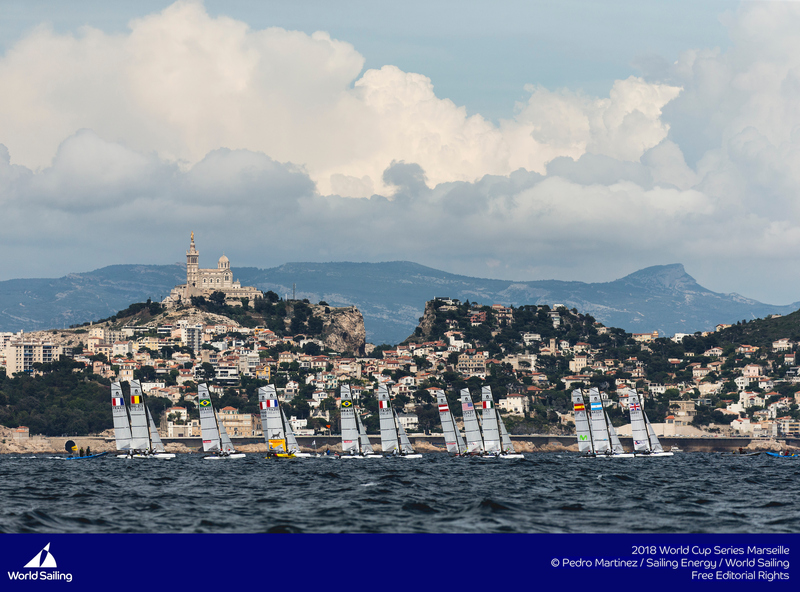 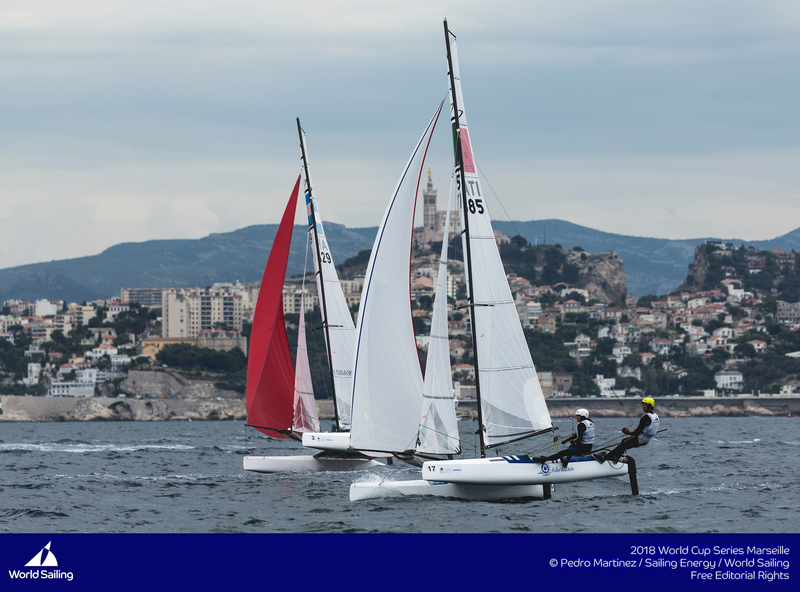 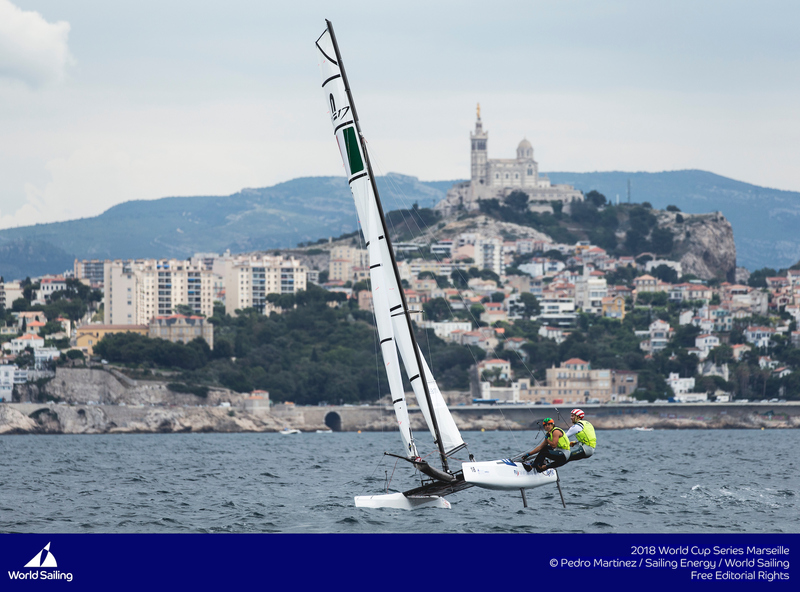 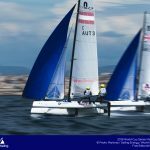 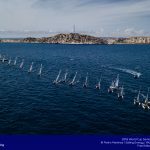 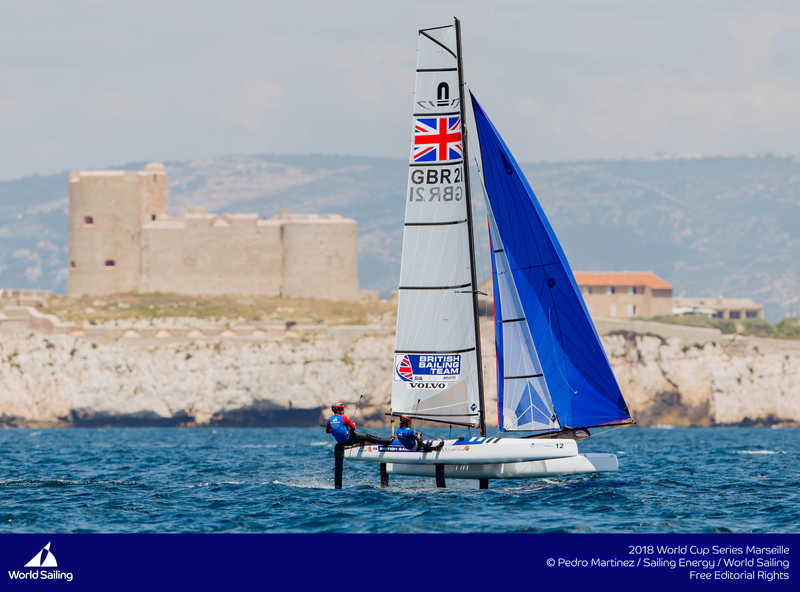 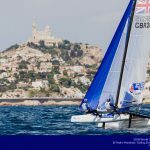 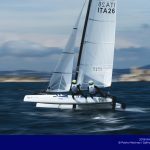 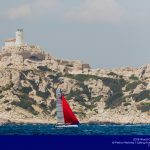 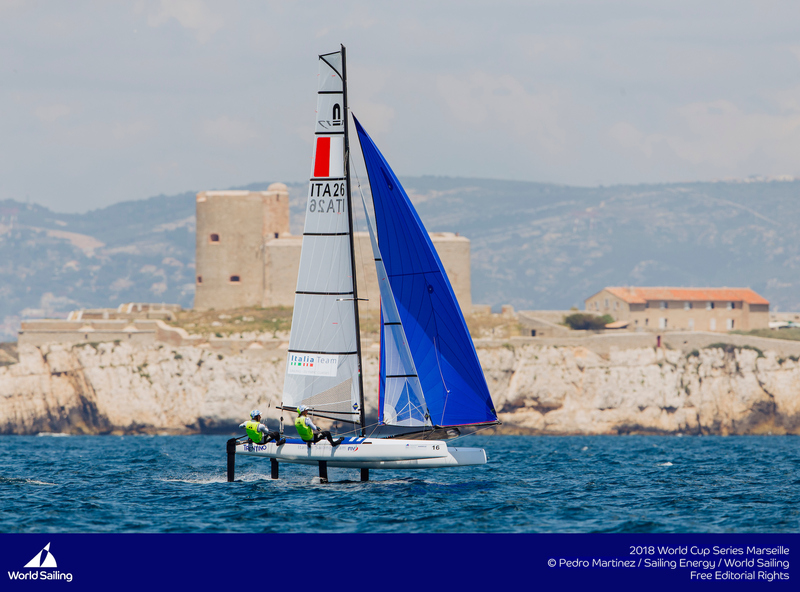 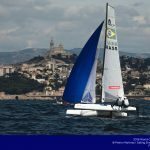 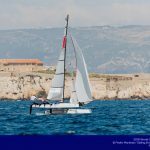 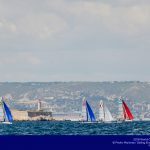 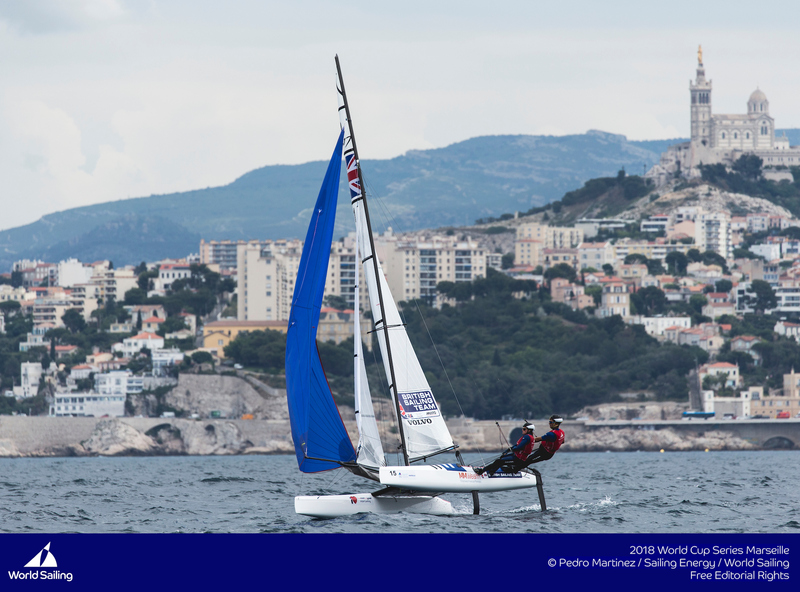 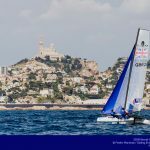 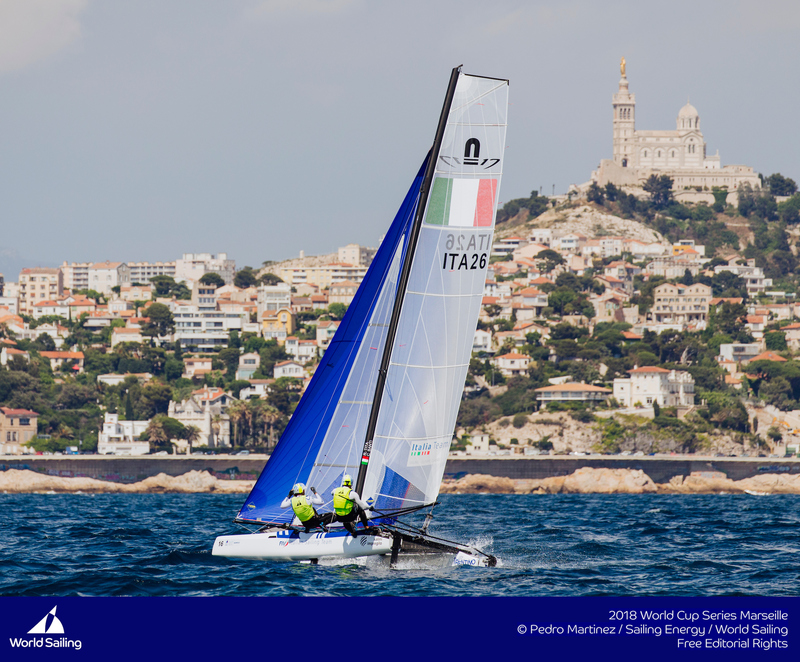 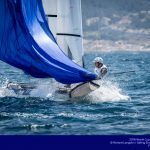 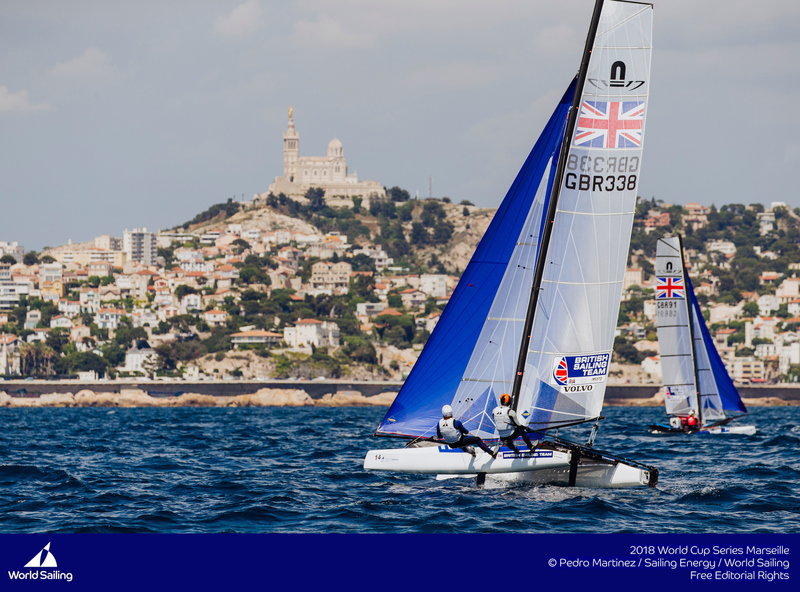 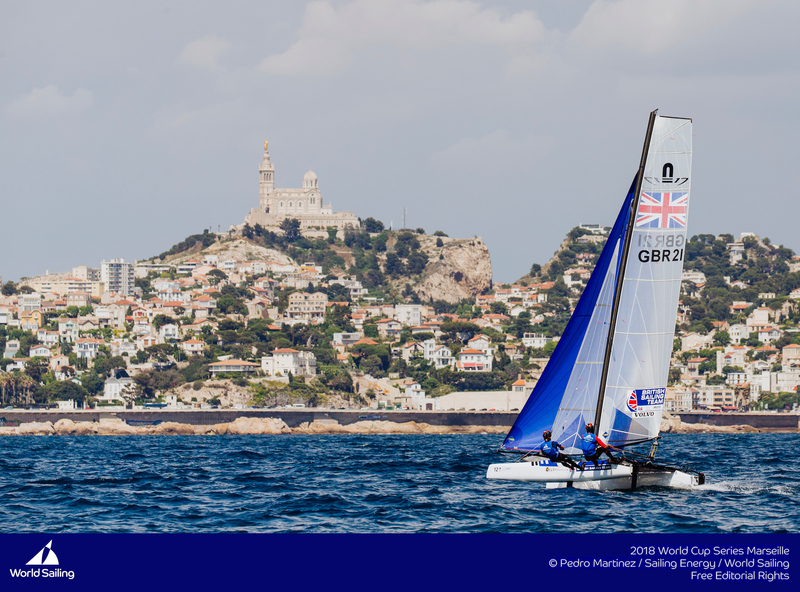 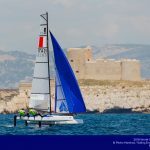 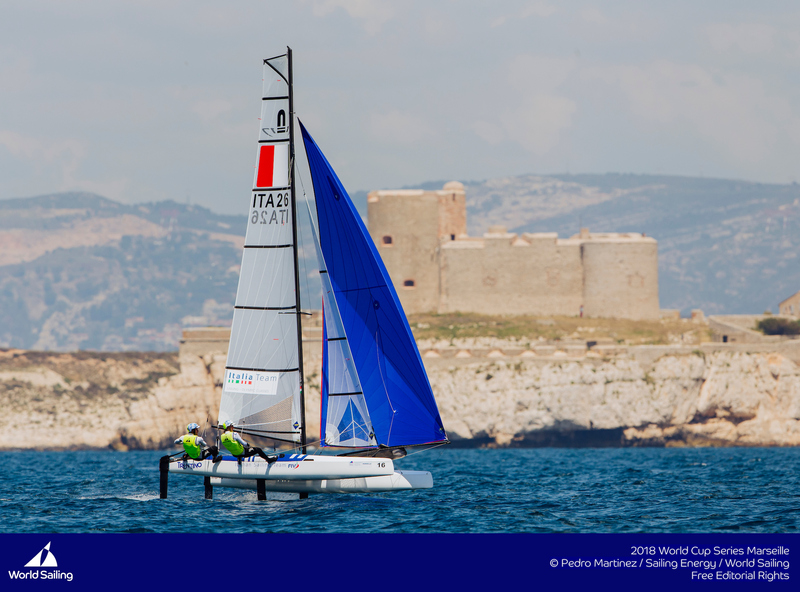 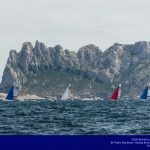 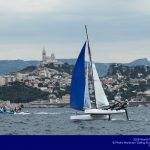 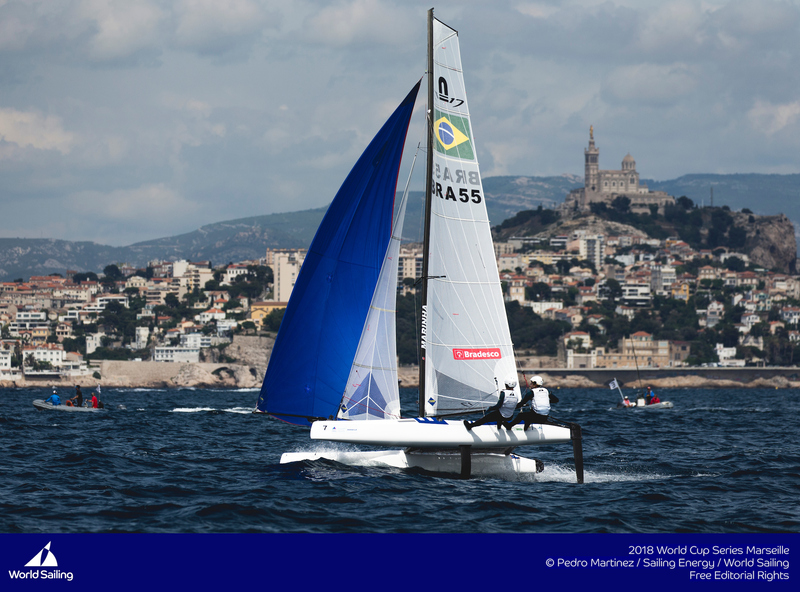 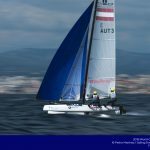 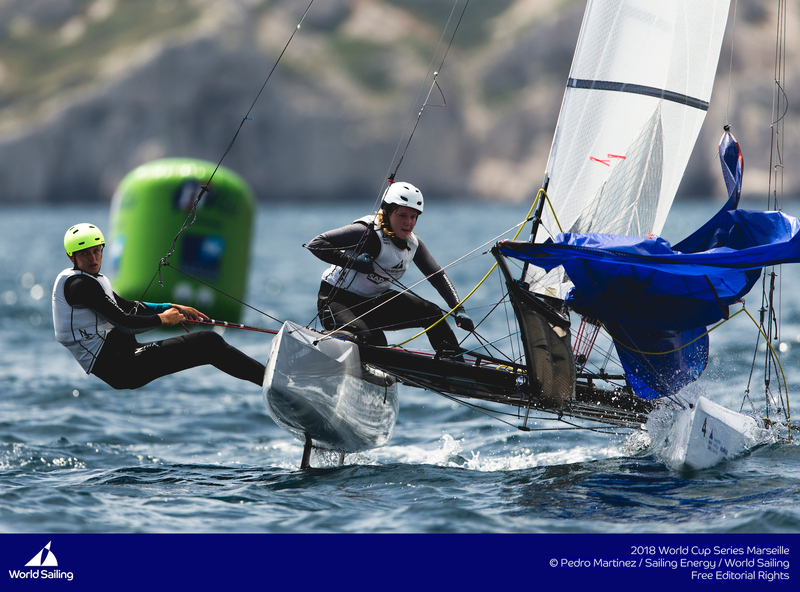 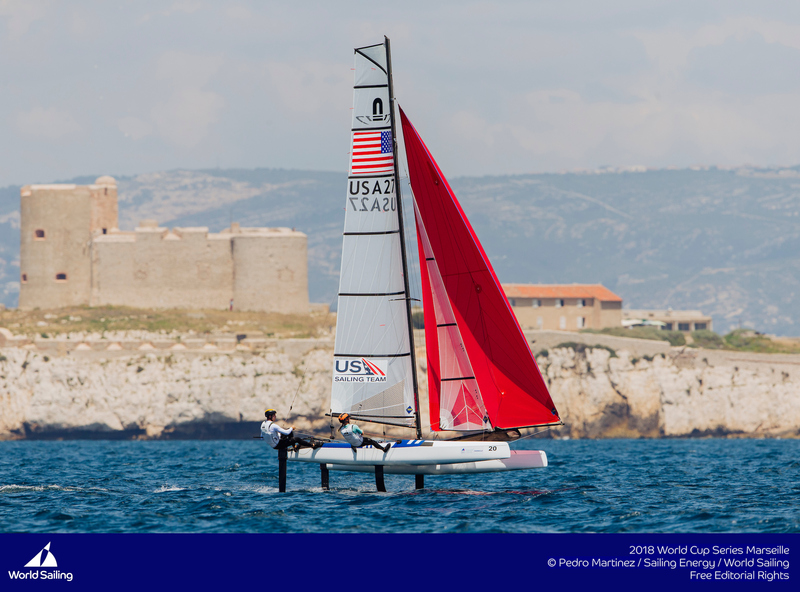 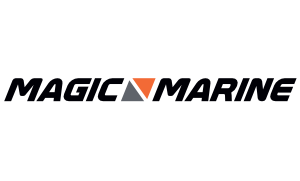 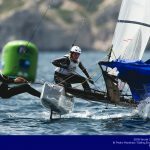 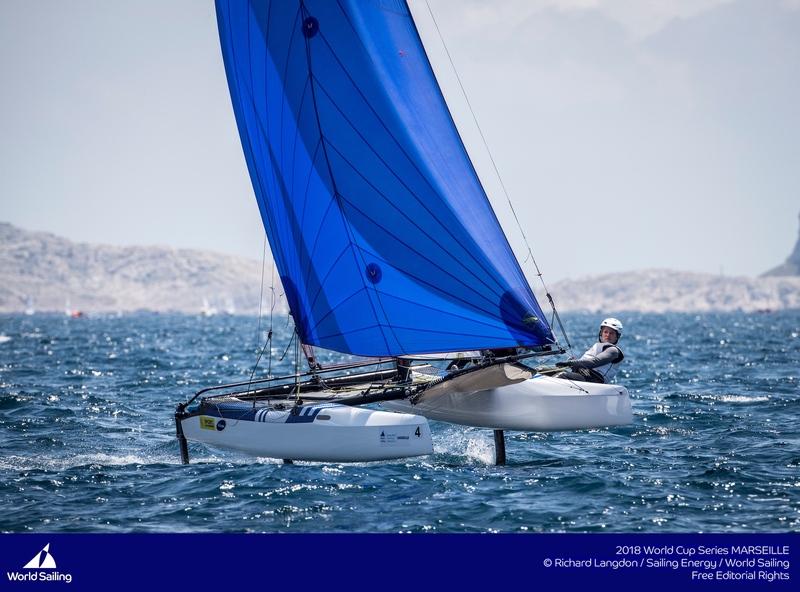 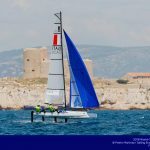 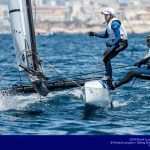 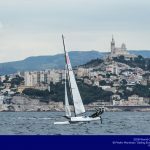 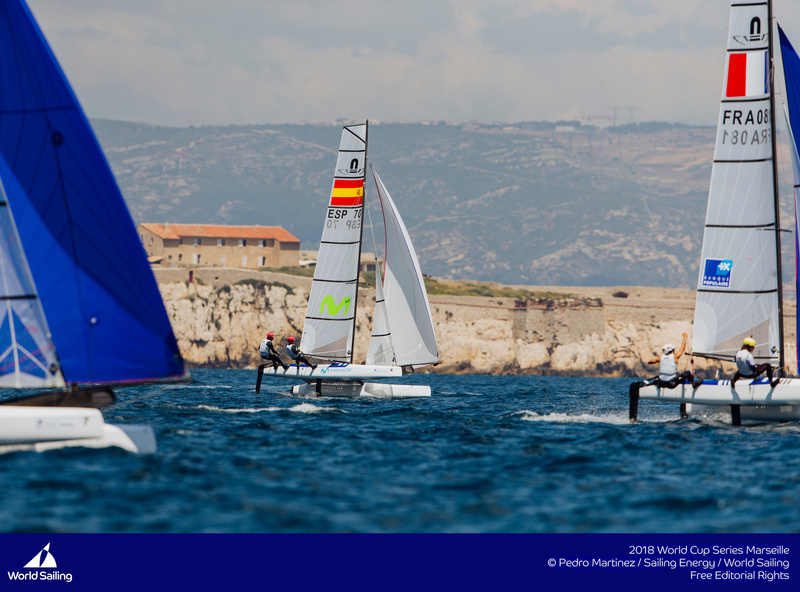 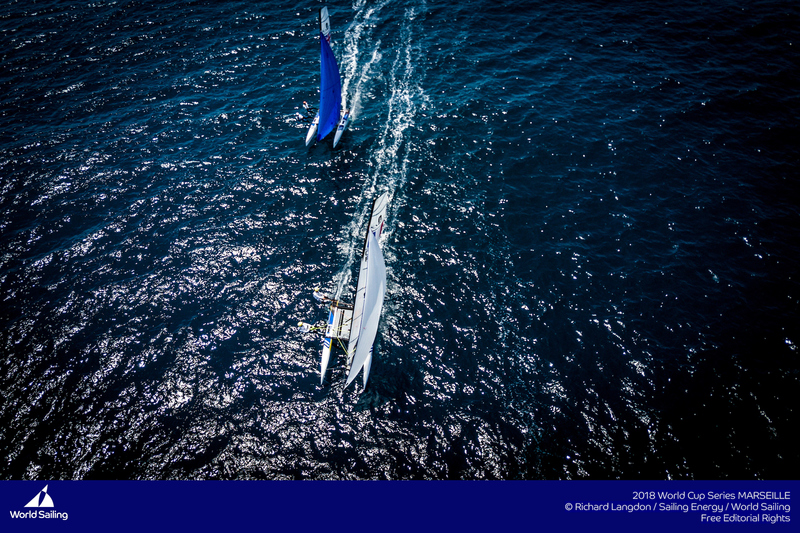 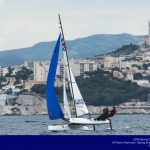 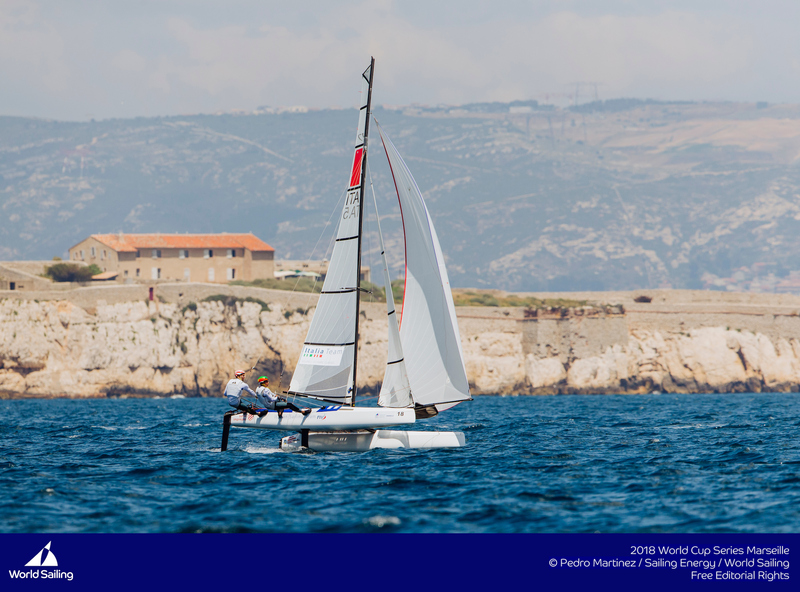 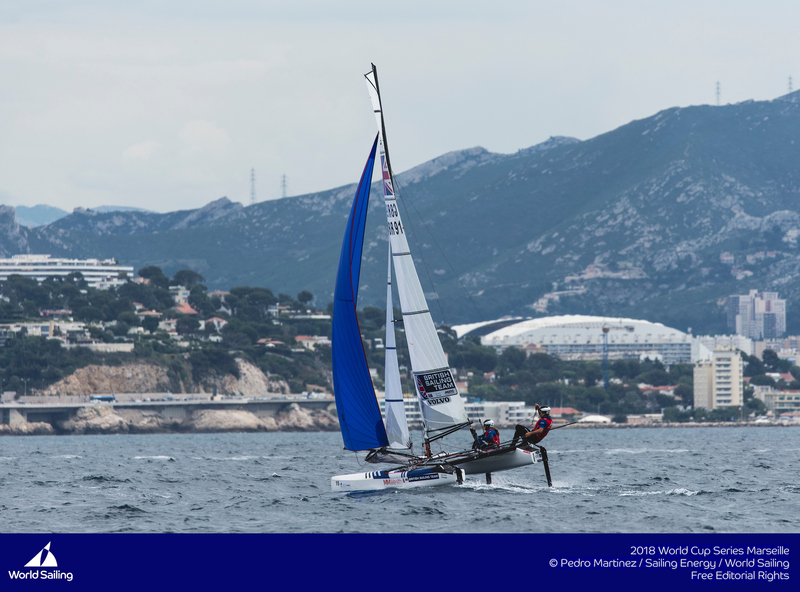 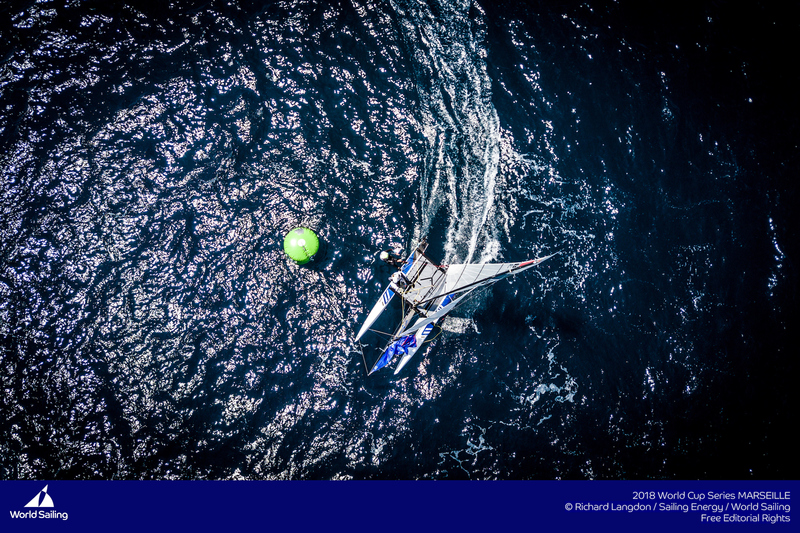 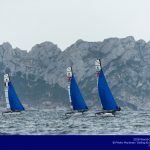 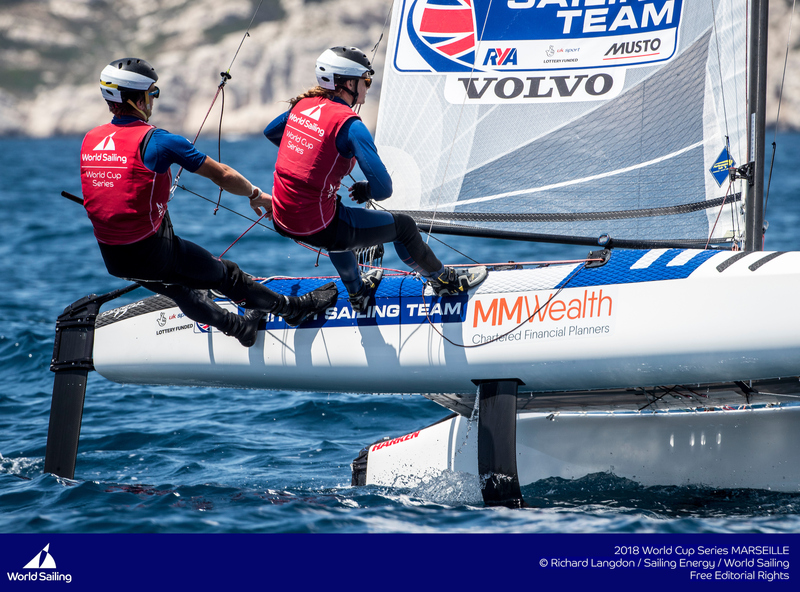 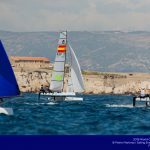 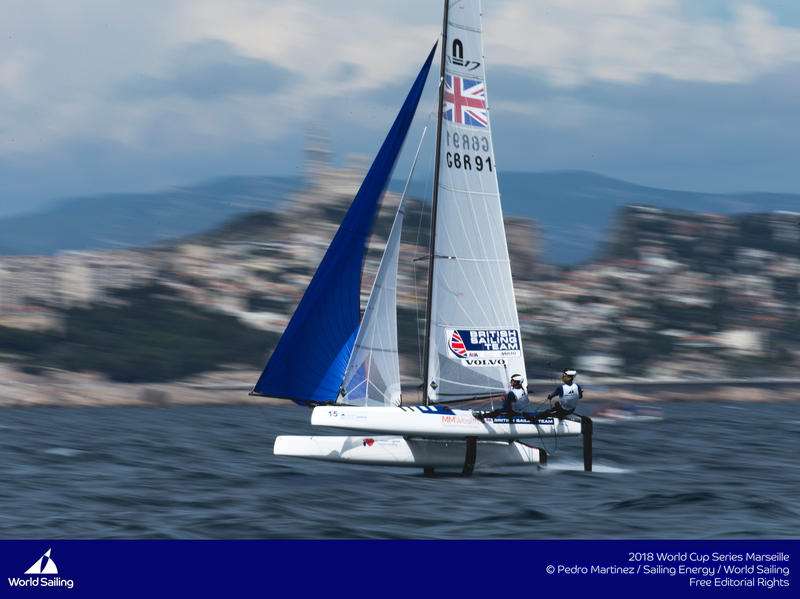 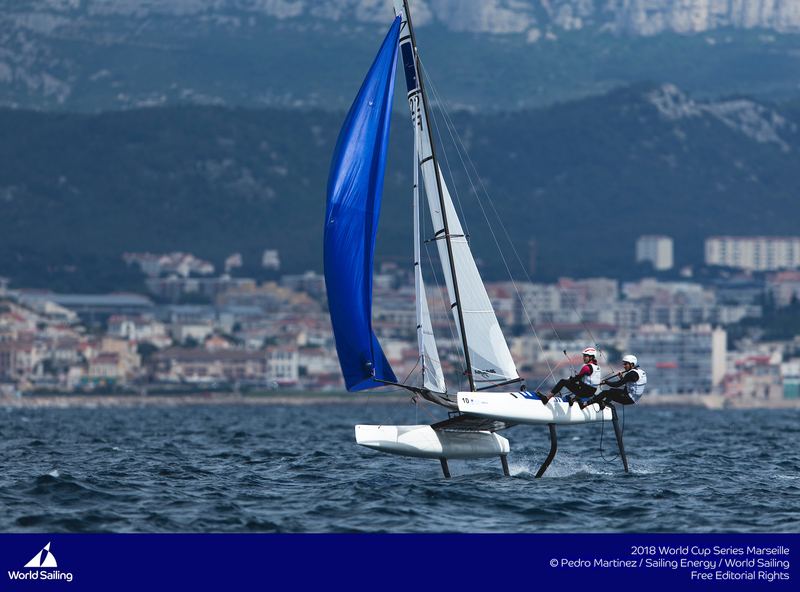 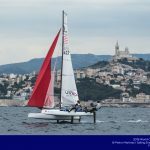 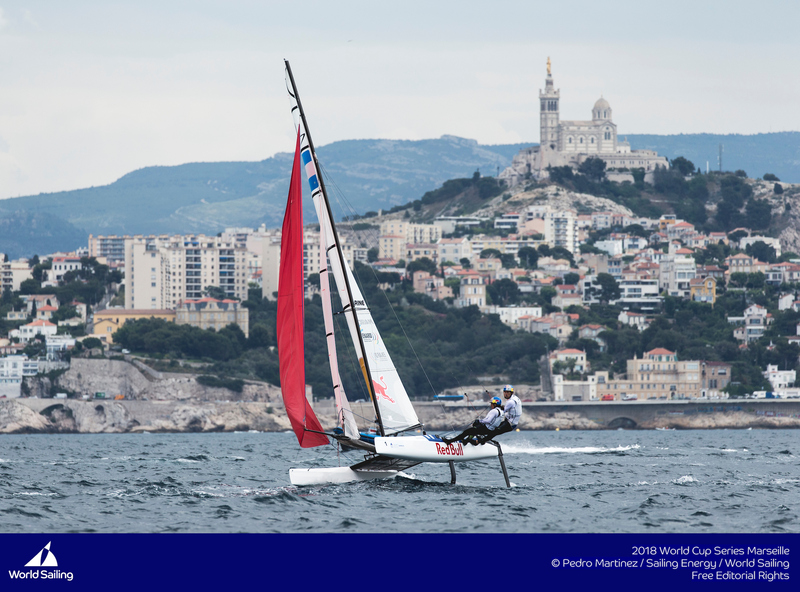 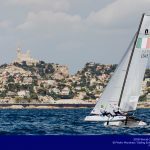 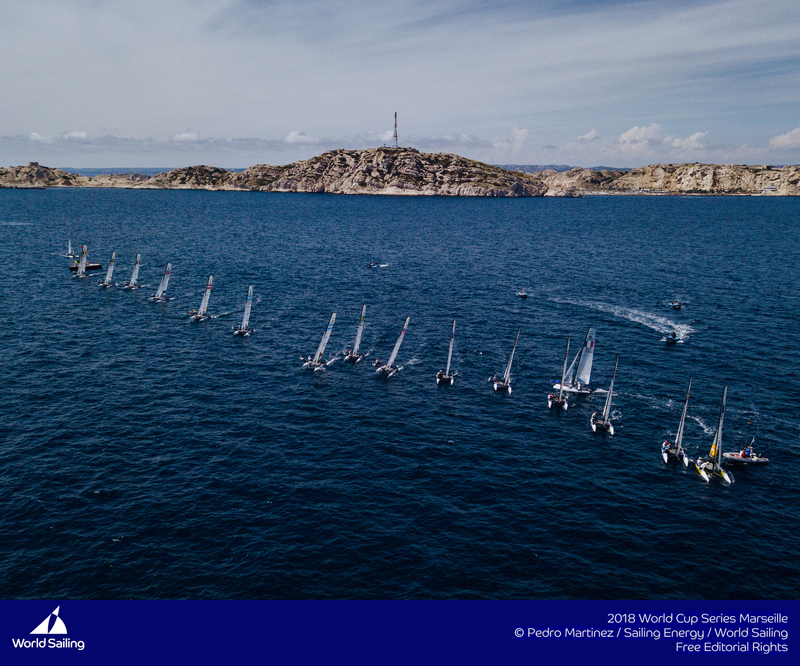 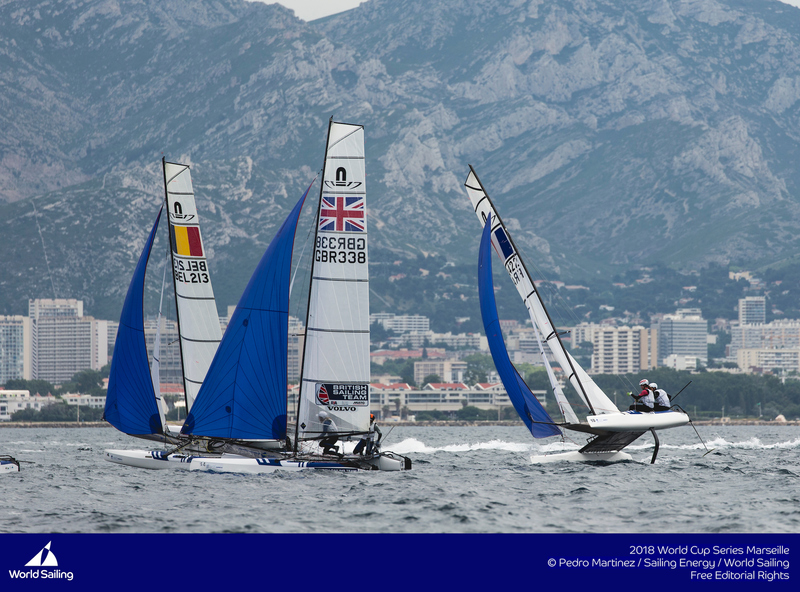 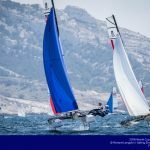 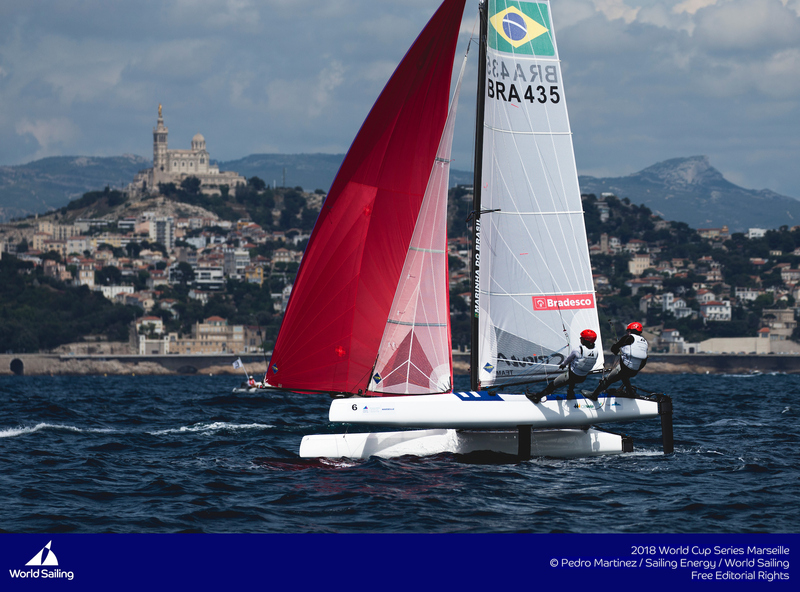 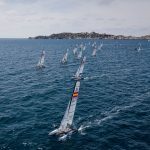 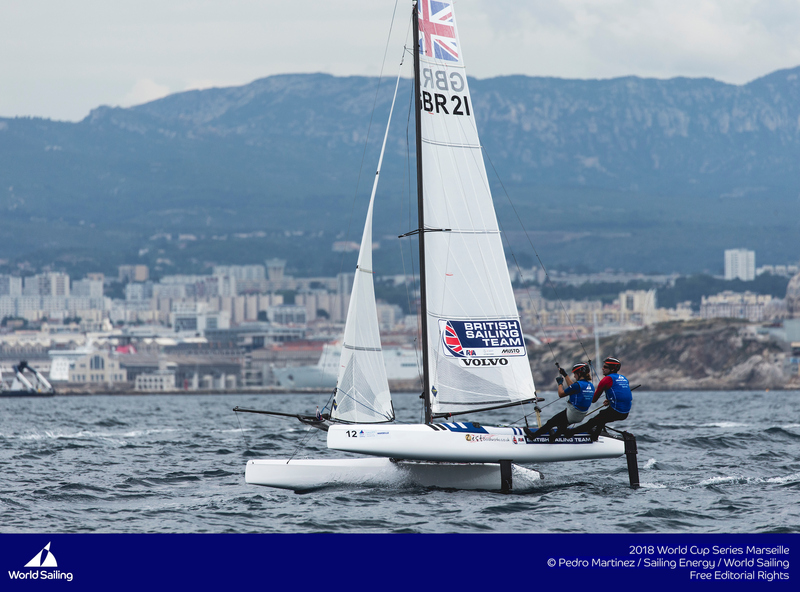 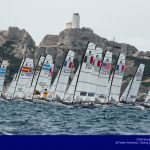 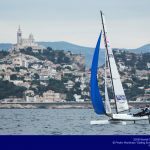 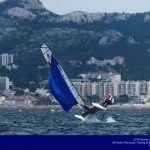 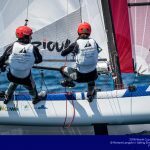 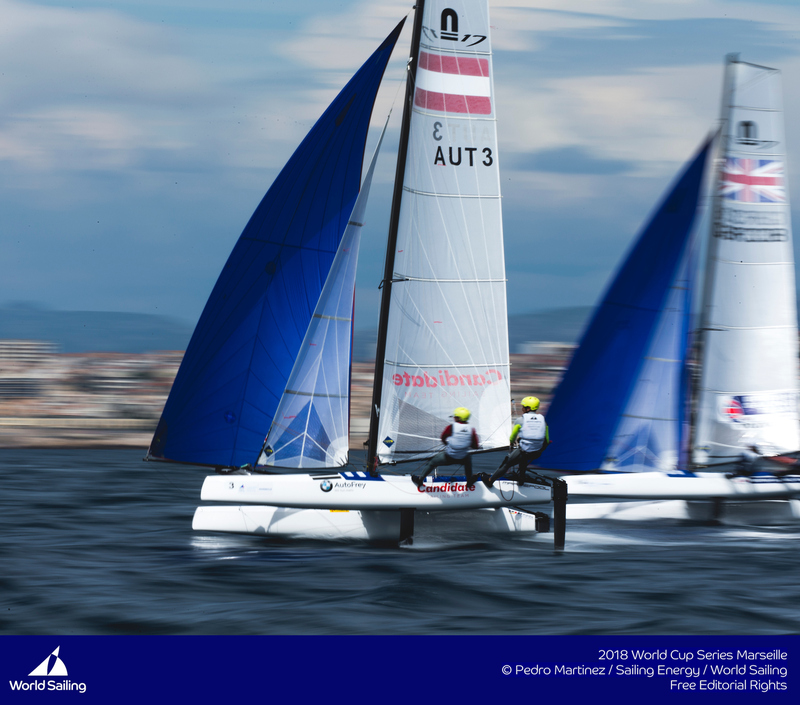 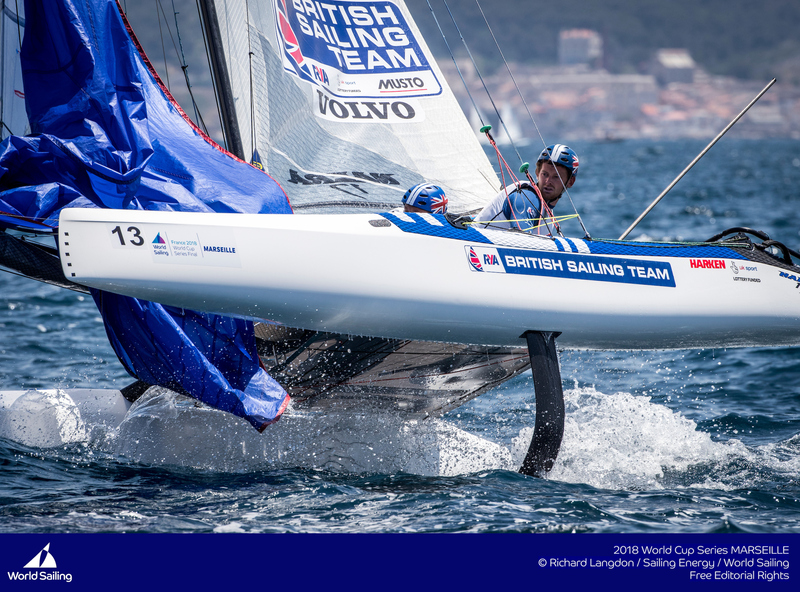 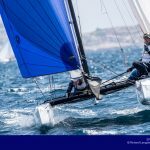 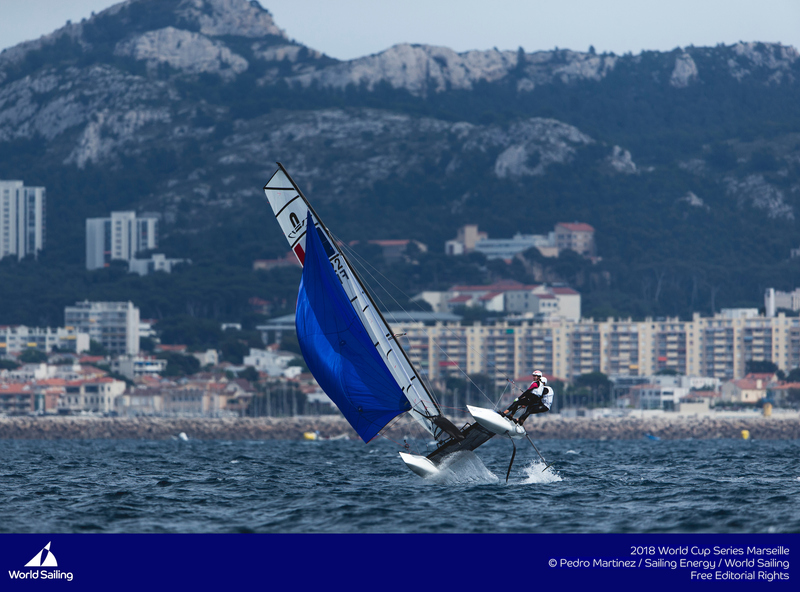 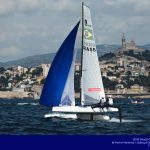 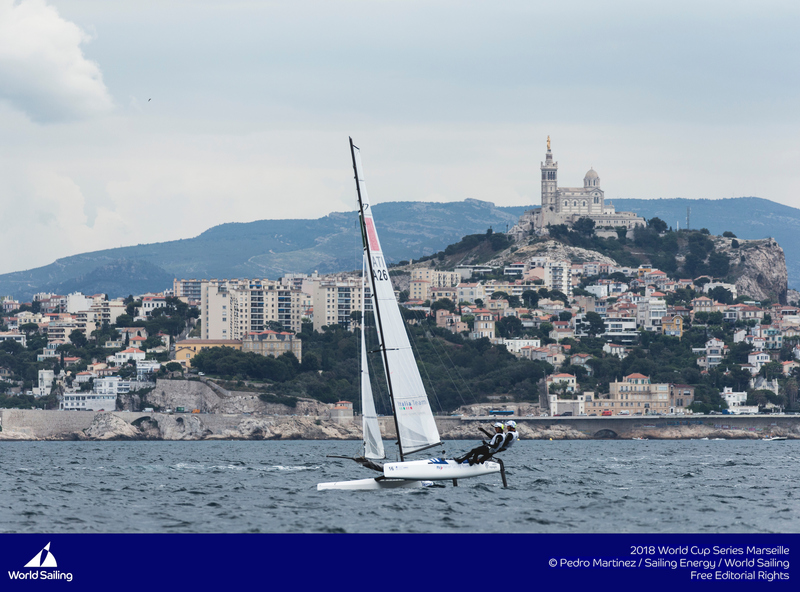 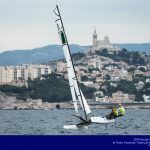 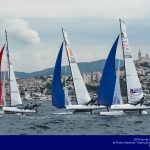 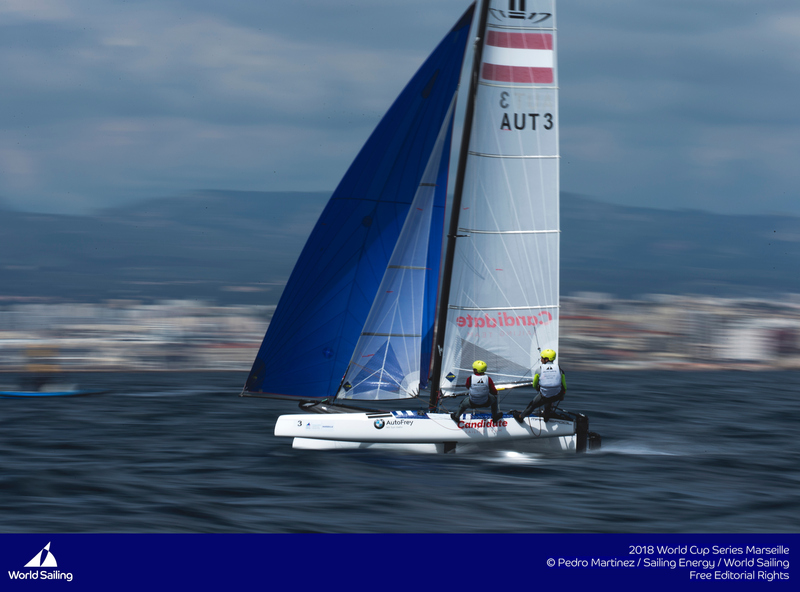 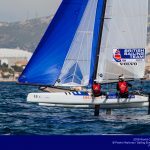 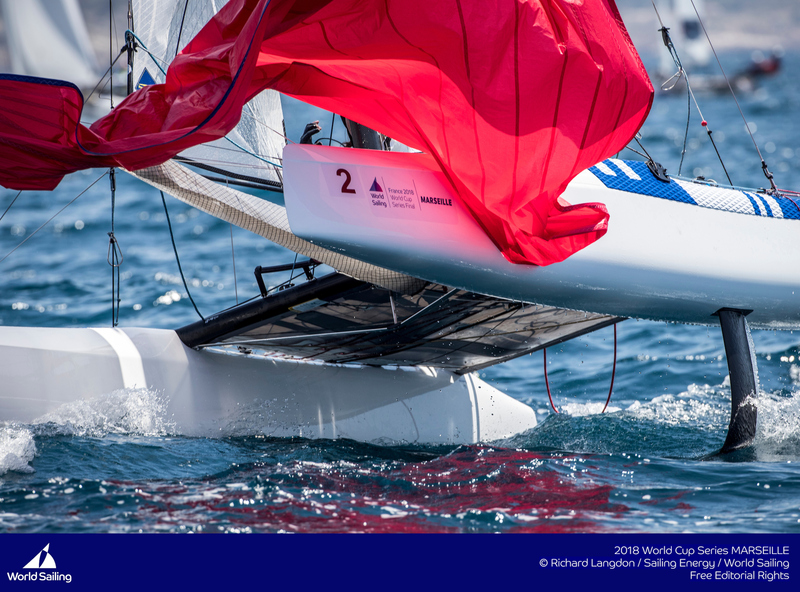 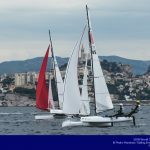 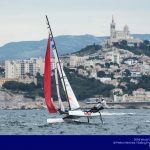 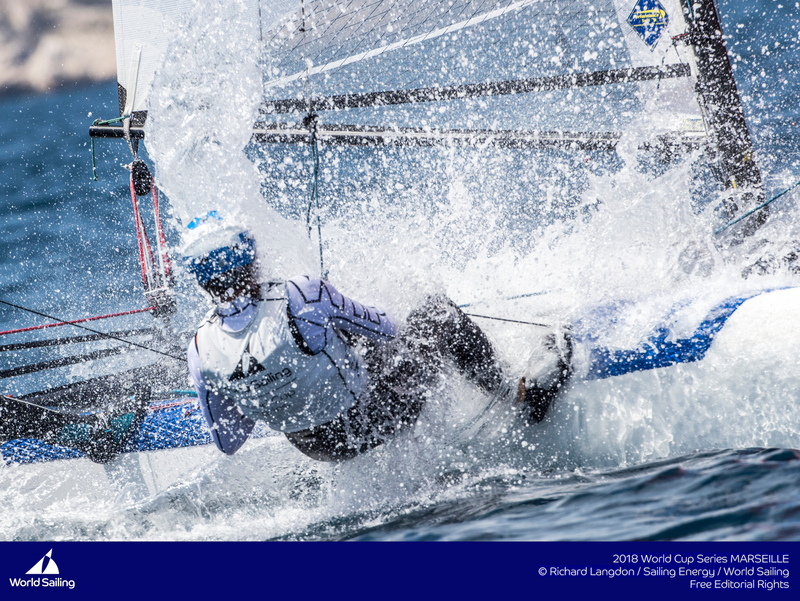 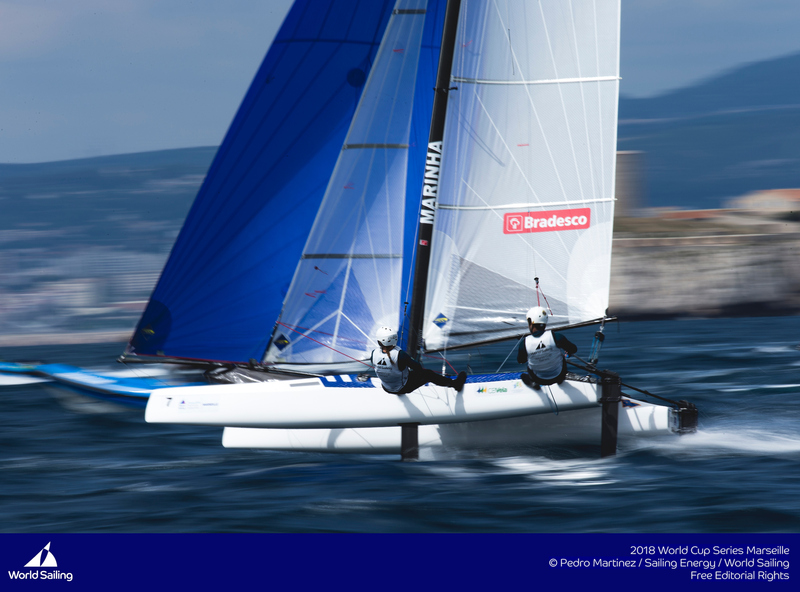 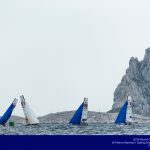 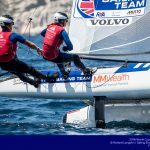 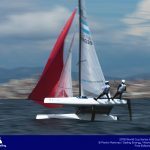 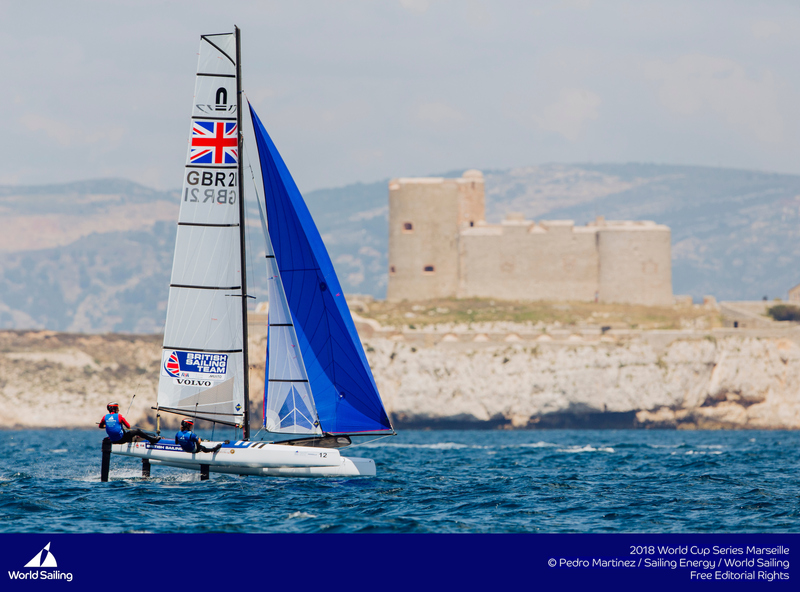 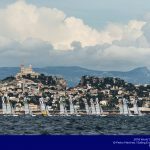 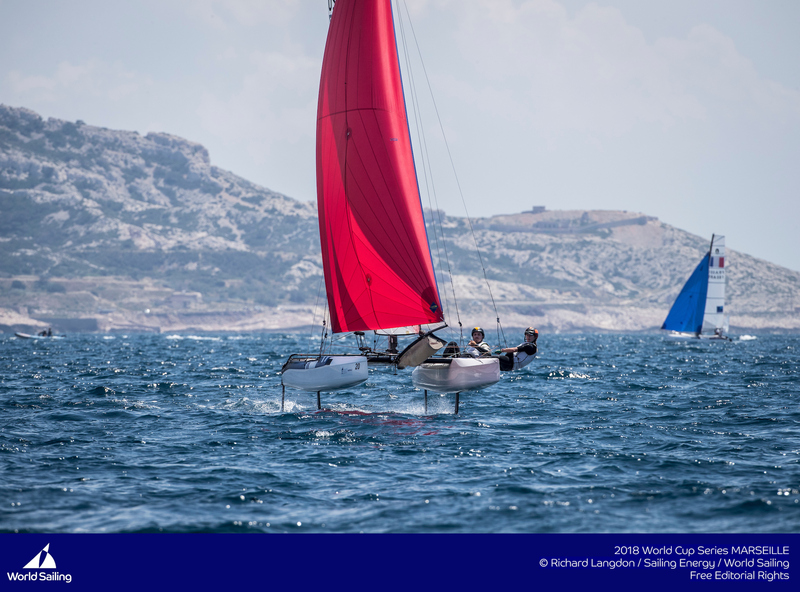 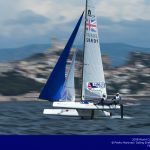 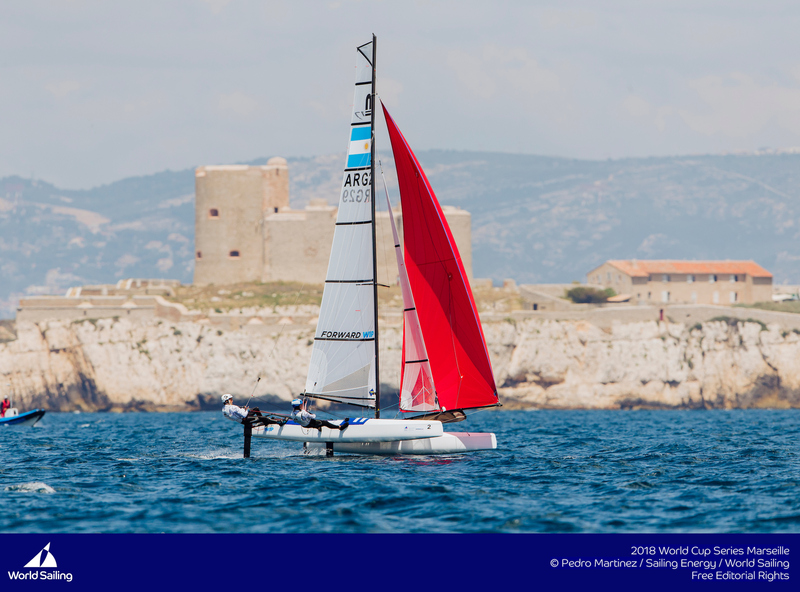 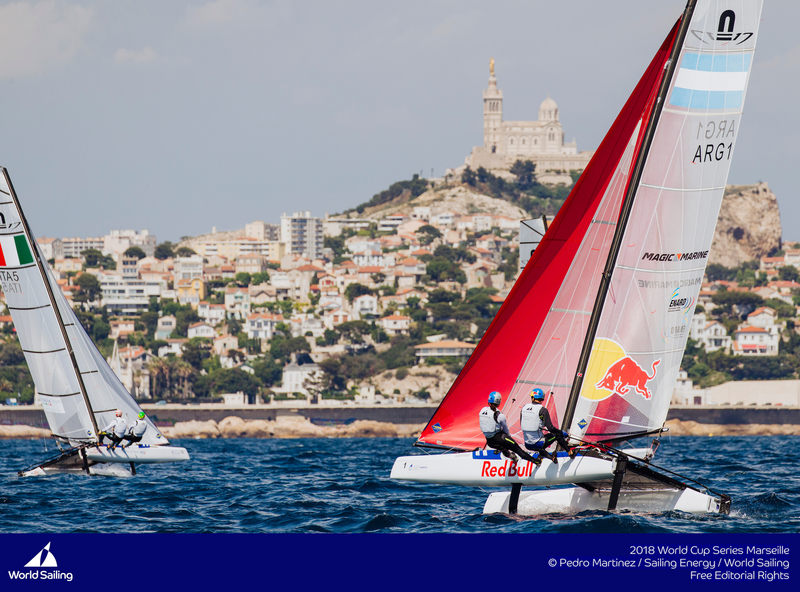 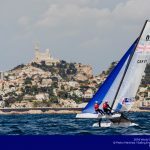 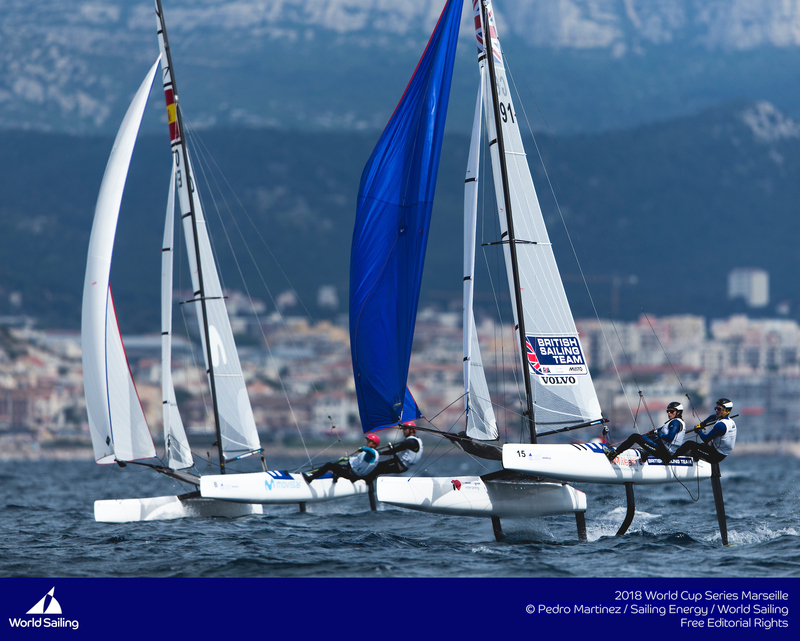 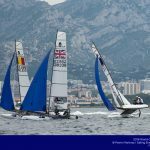 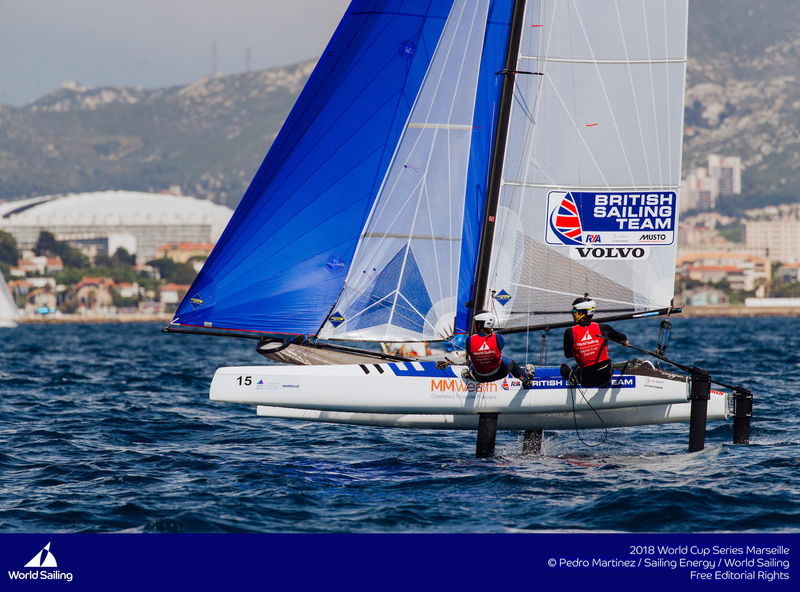 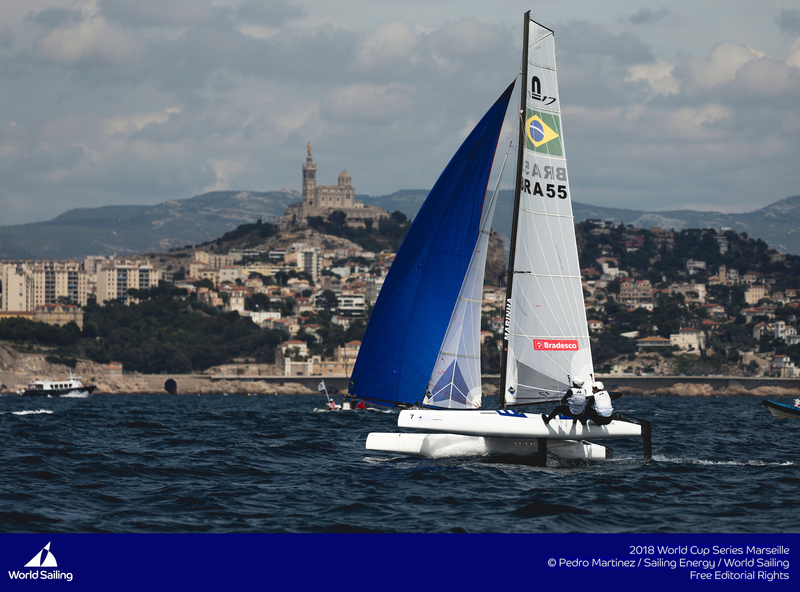 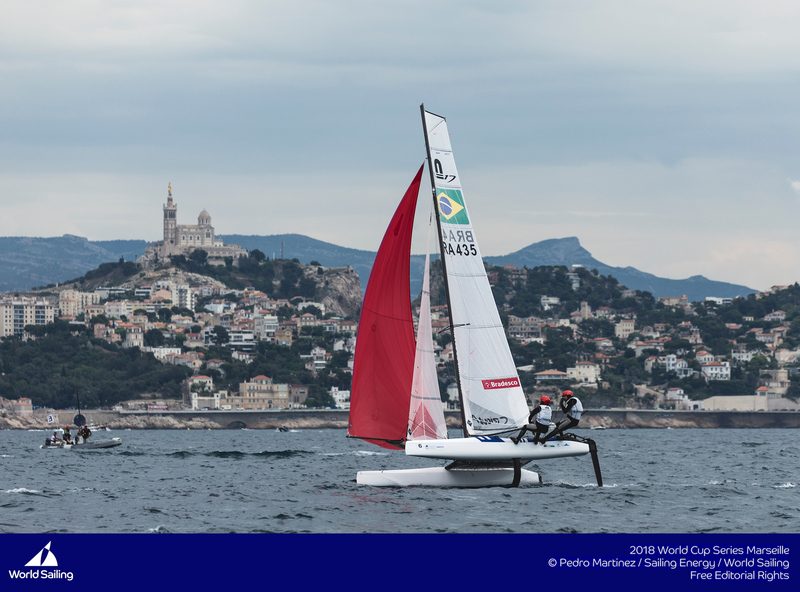 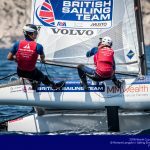 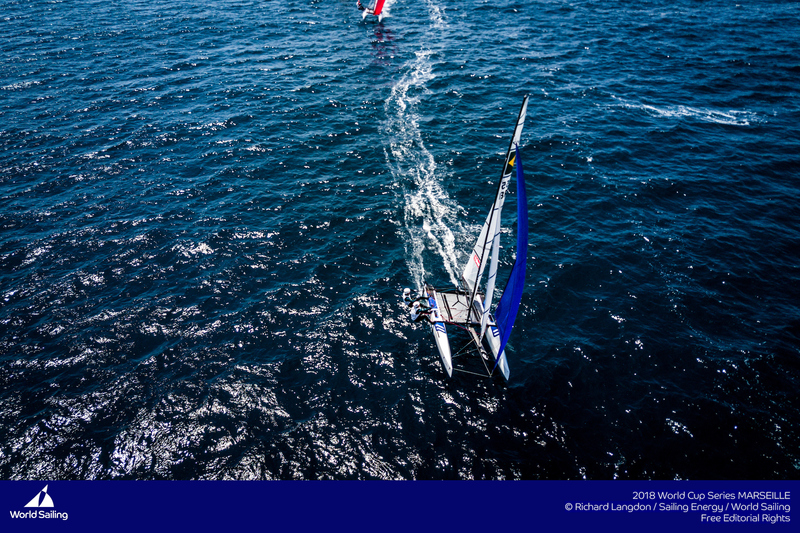 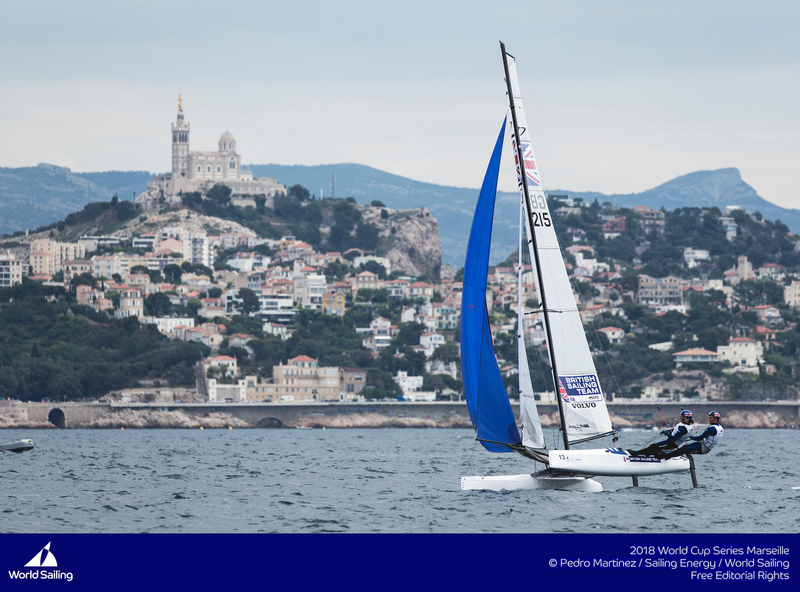 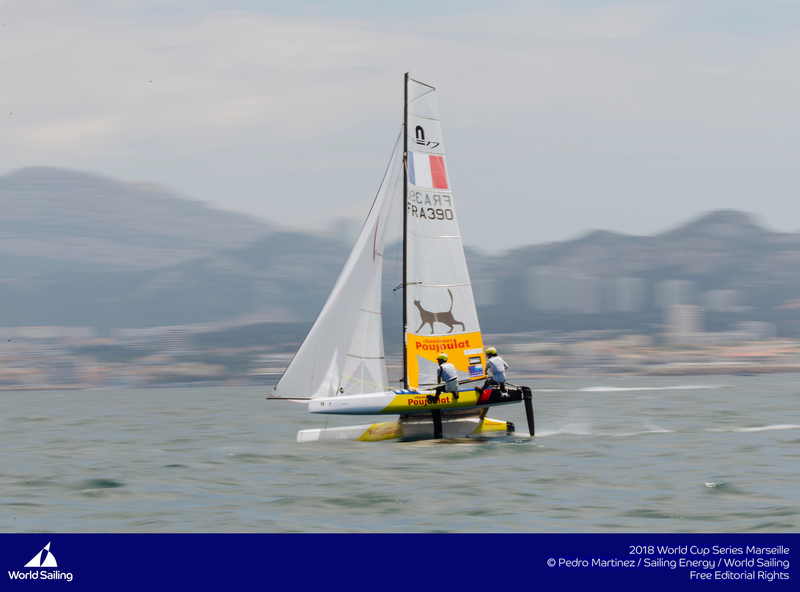 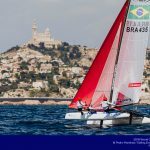 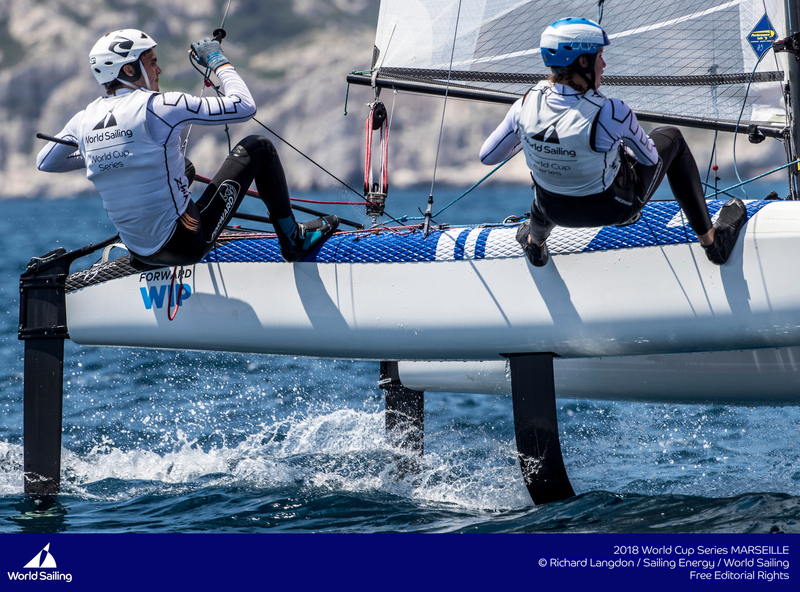 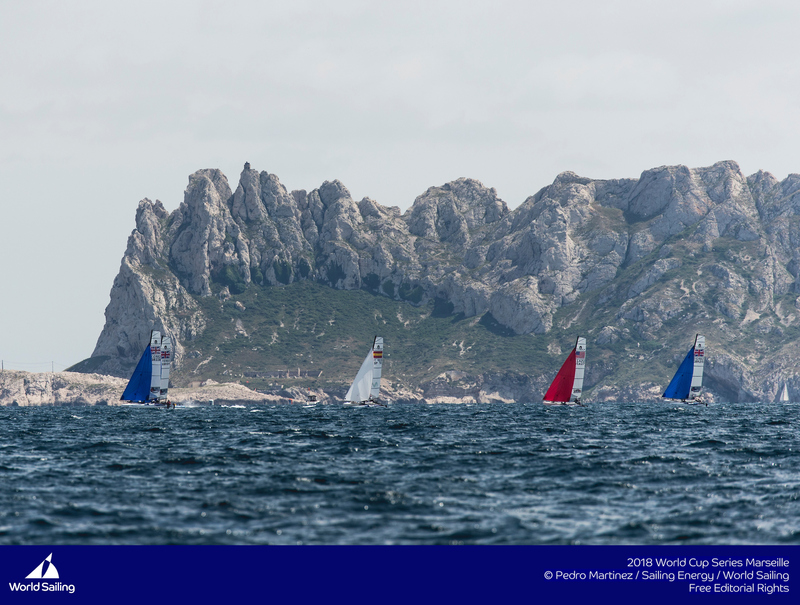 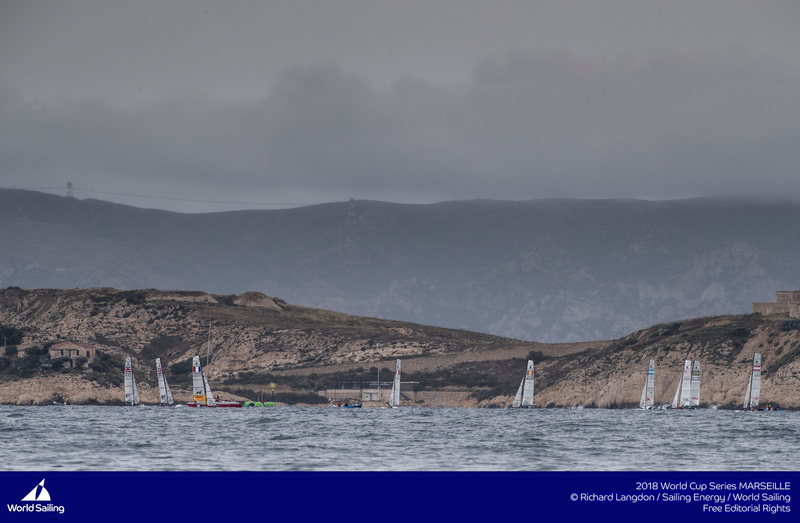 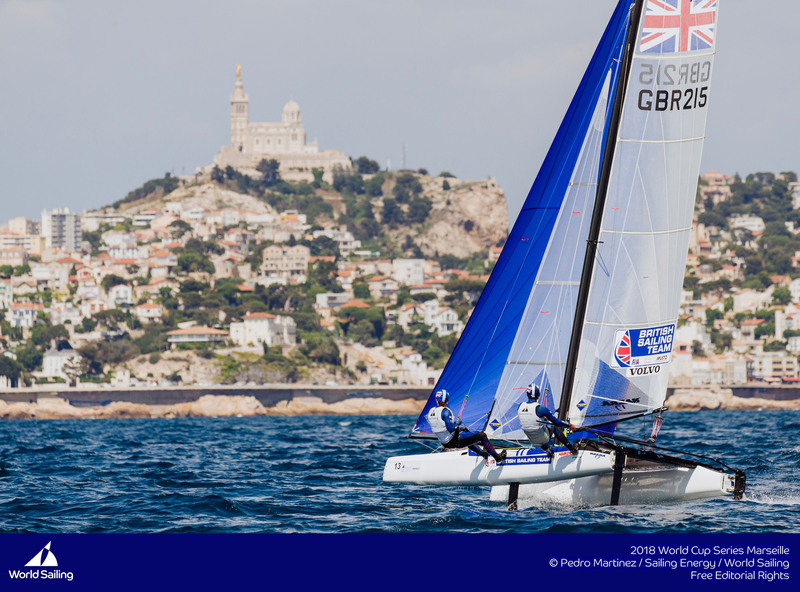 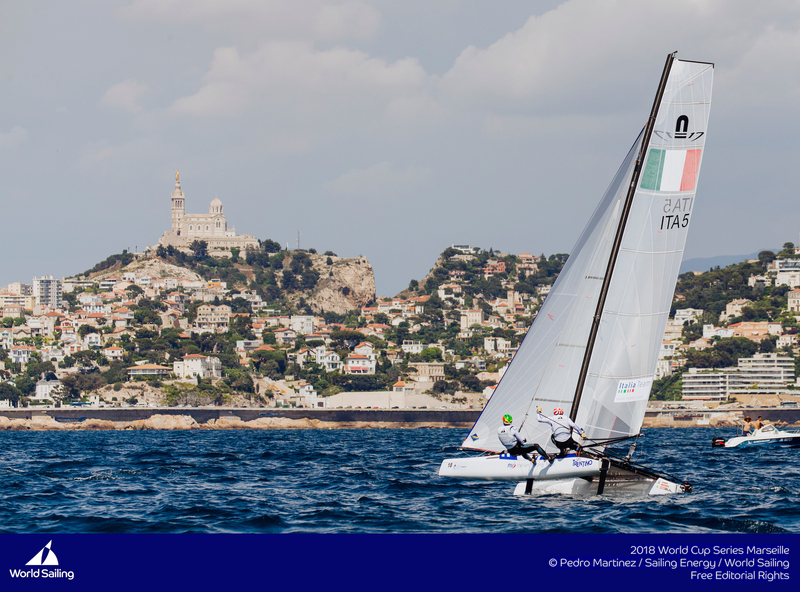 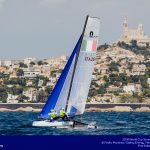 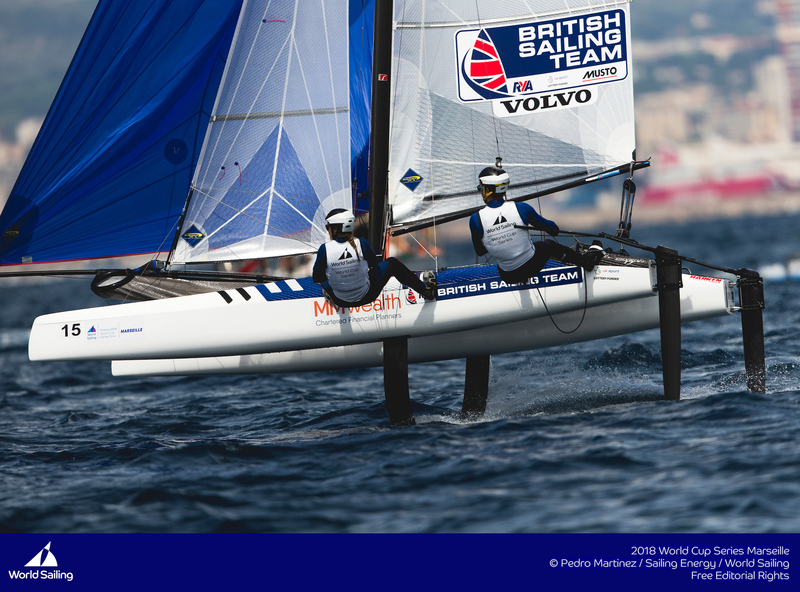 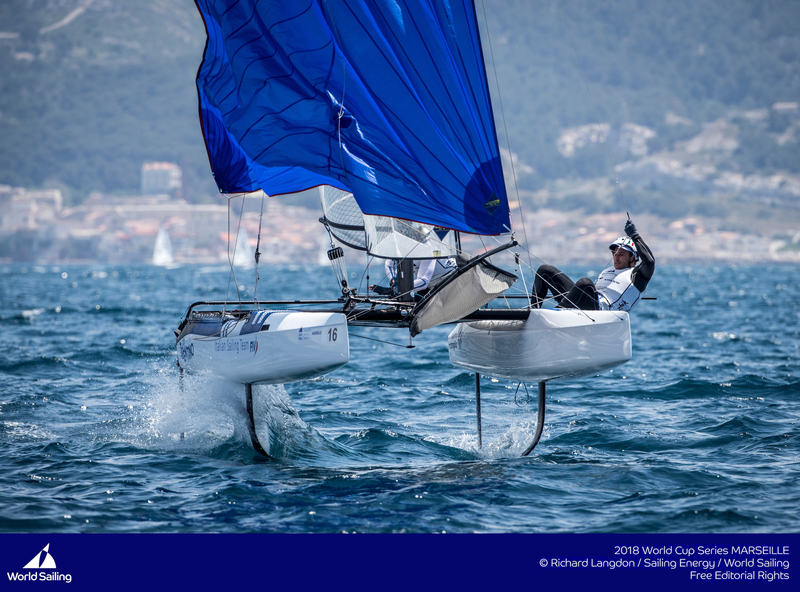 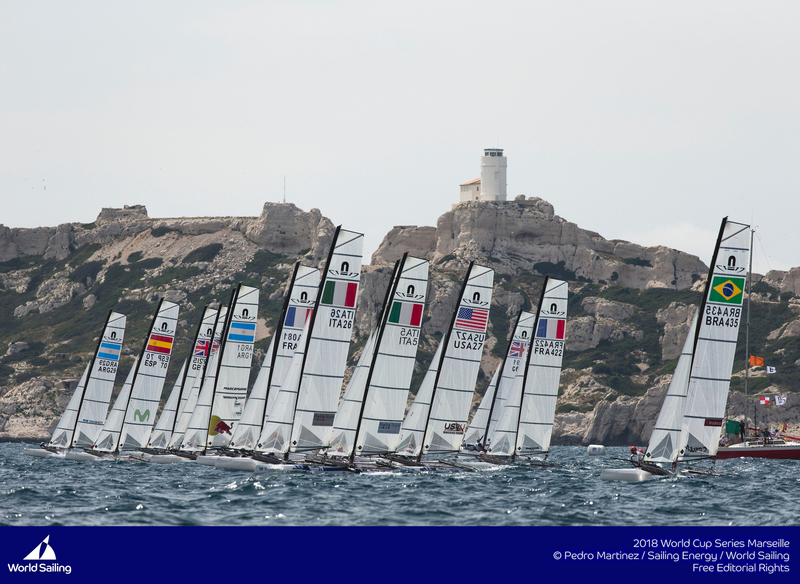 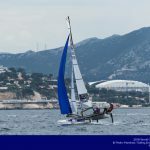 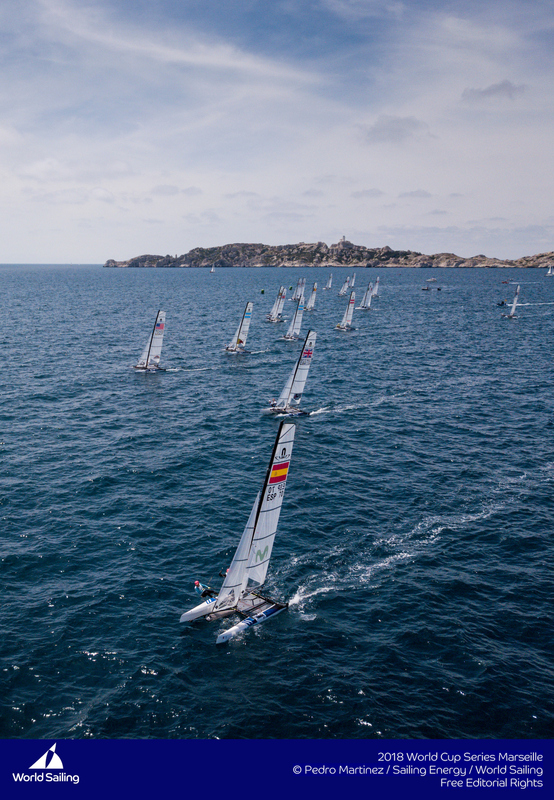 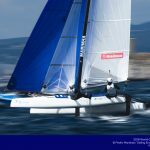 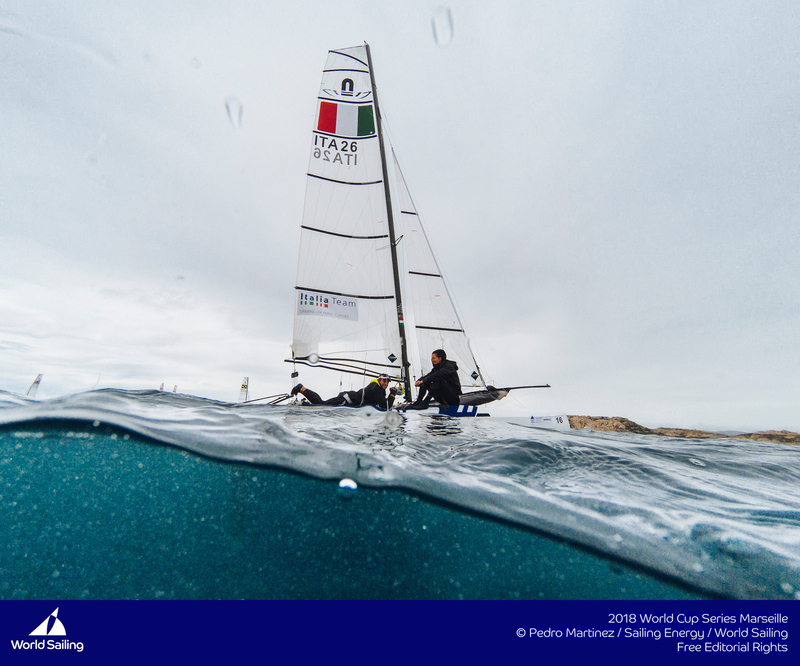 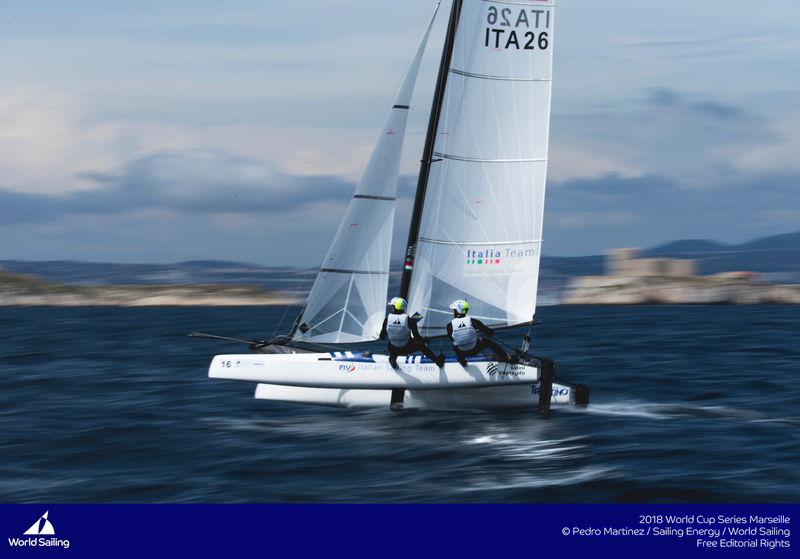 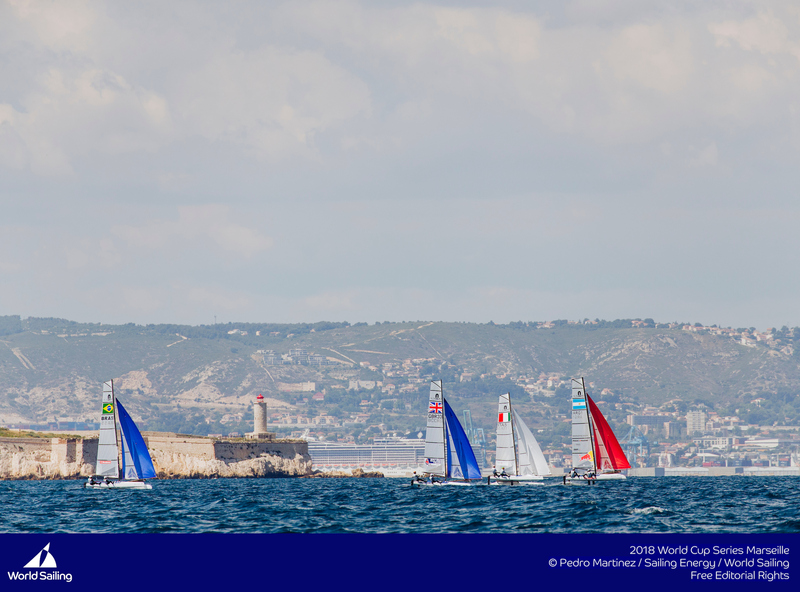 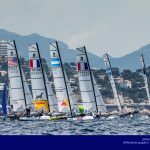 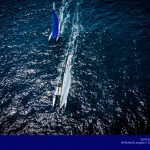 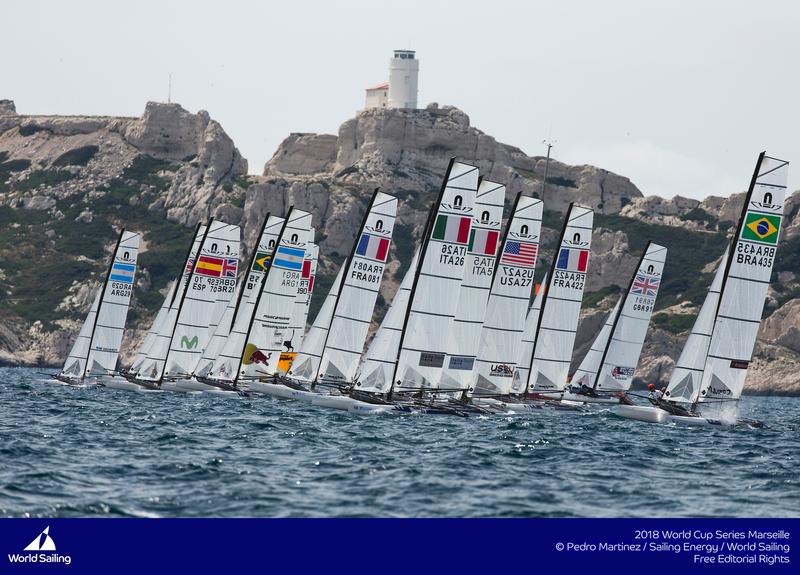 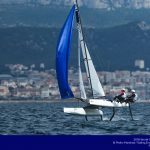 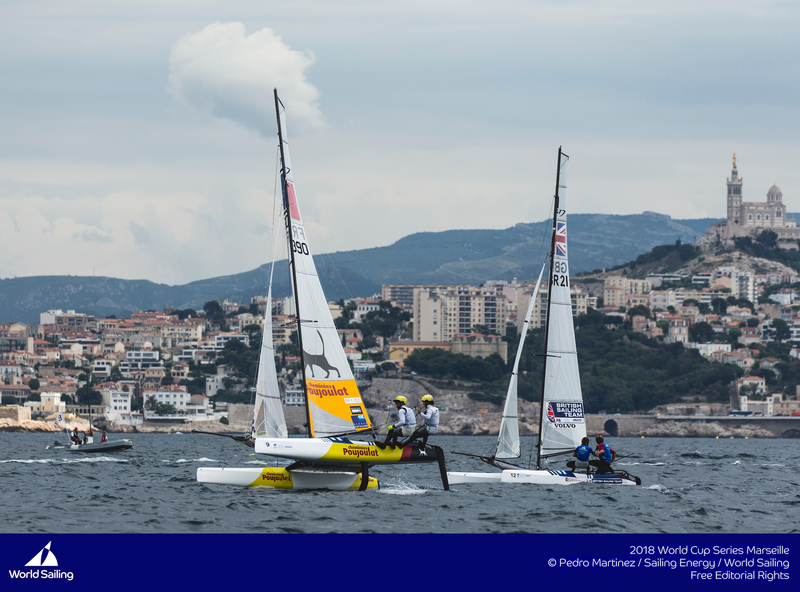 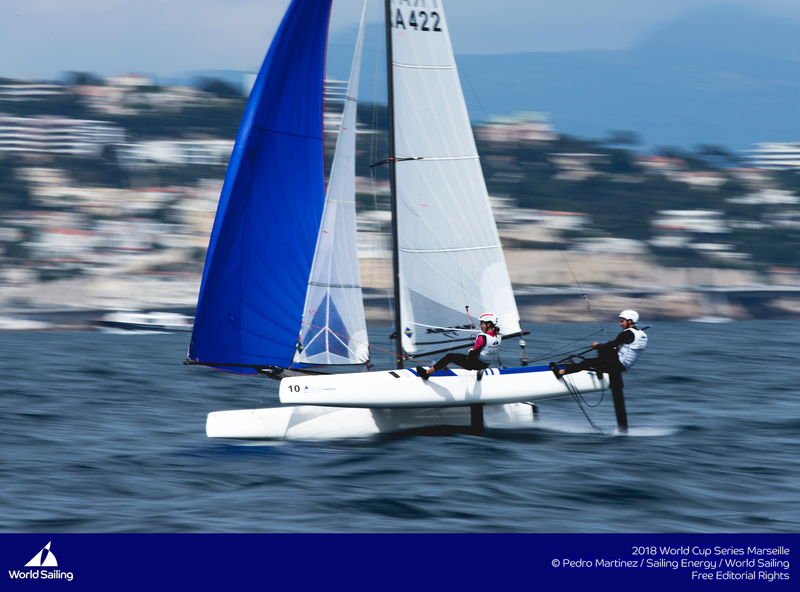 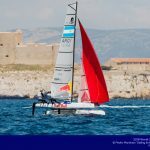 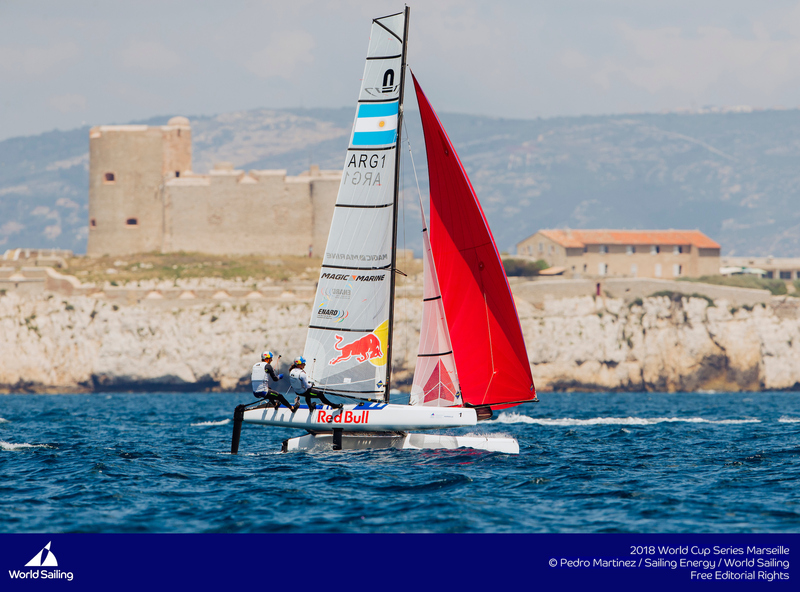 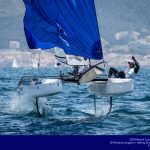 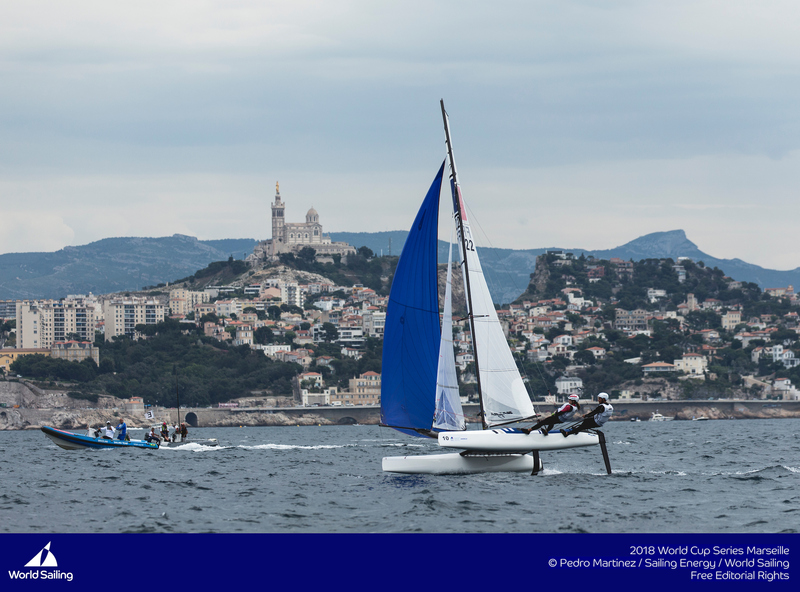 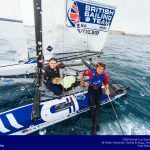 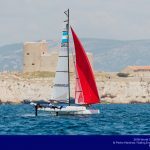 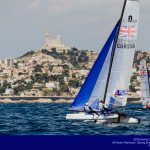 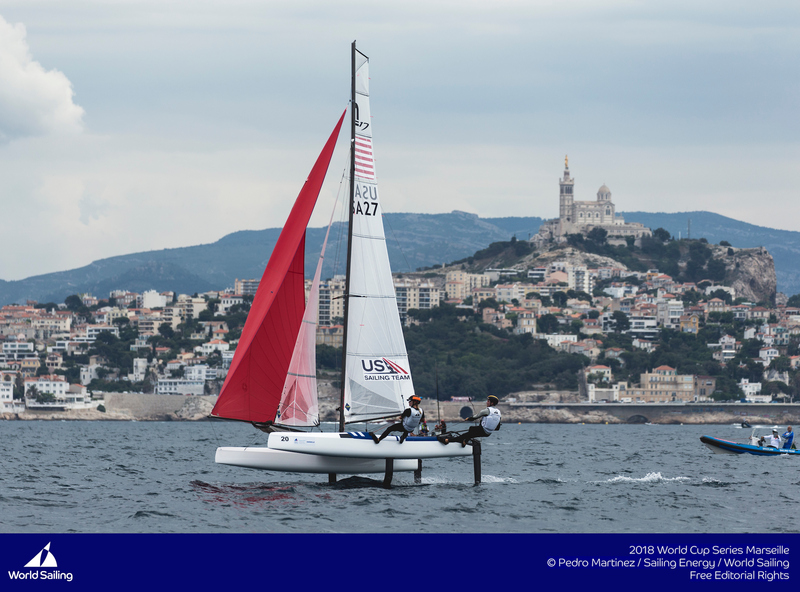 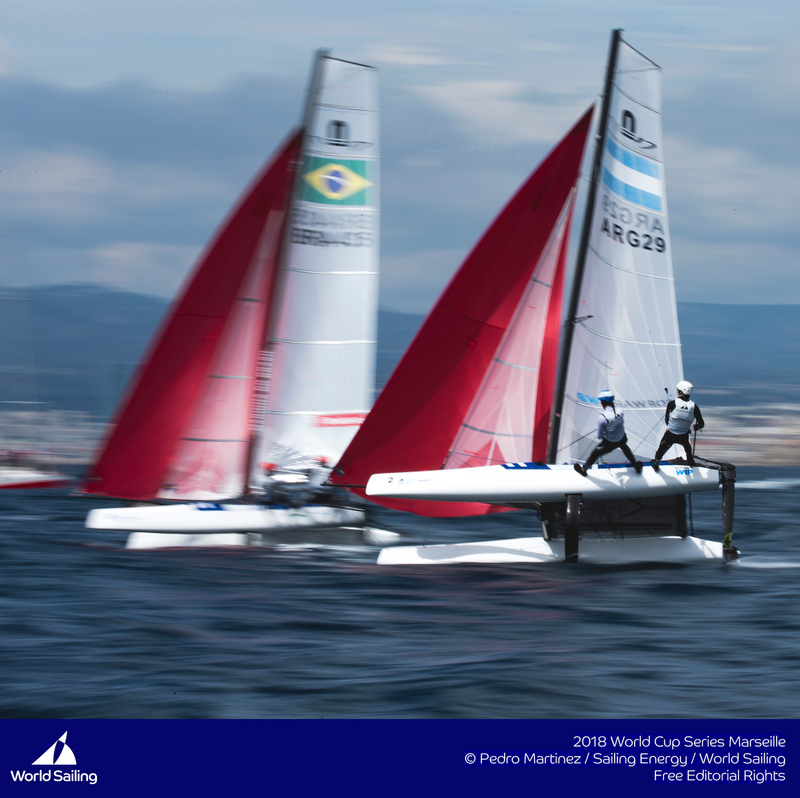 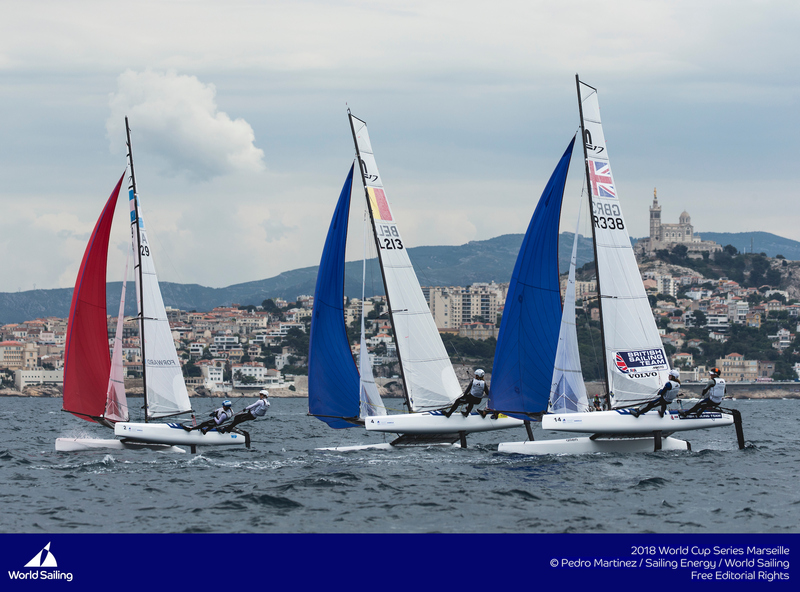 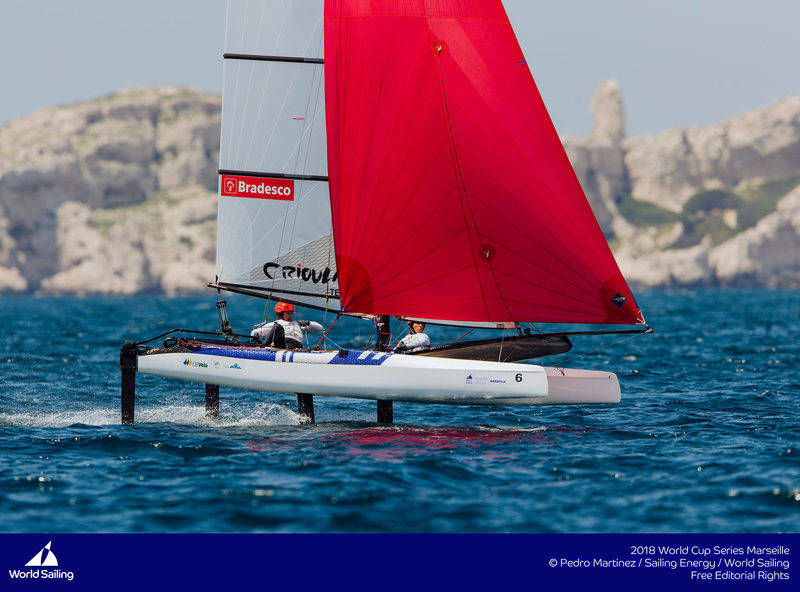 Marseille will host the championship, and the Olympic racing six years later, giving sailors, officials, and fans a look at both the venue and the likely stars of this future championship. 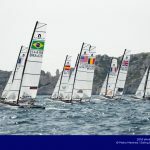 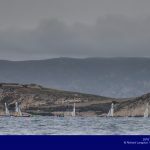 Junior racing at the U23 are category is gaining increasing importance in sailing as teams use Olympic class age restricted racing to gauge the progress of their sailors, and giving younger sailors a chance to race against their peer group, often closer to the front of the pack than they might otherwise be at a senior world championship. 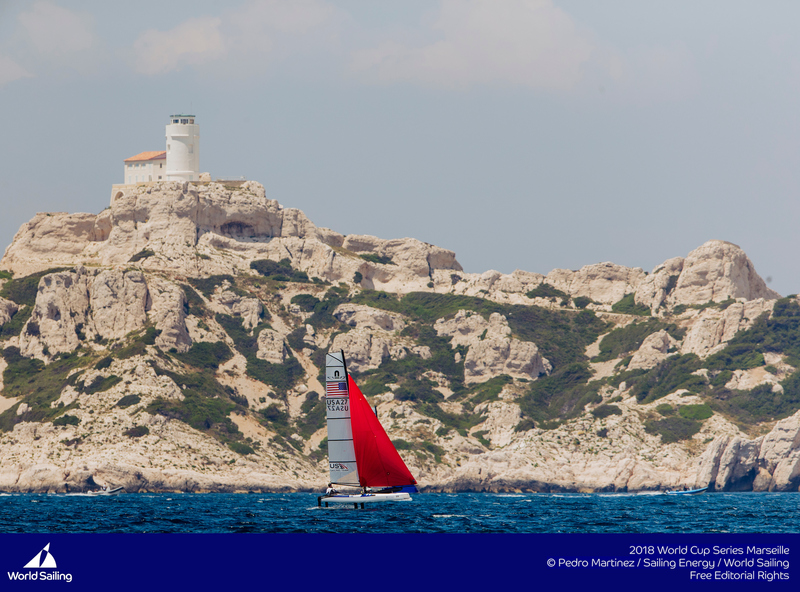 Marseilles provides a fantastic racing venue, with multiple natural amphitheater backdrops as well a beautiful and stunning coastline backdrop. 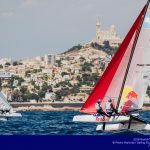 The harbor is already in place, and while the full extent of the Paris 2024 experience will not yet be in place, the waters, winds, and hospitality will all be ready. 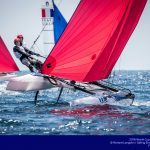 The experienced team at Yacht Club Pointe Rouge (YCPR) have hosted numerous successful championships in the past and we look forward to working with them on this event.